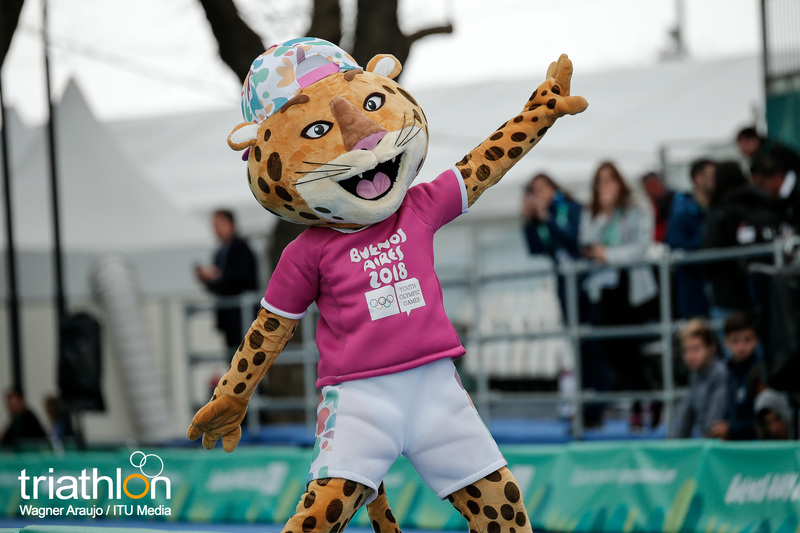 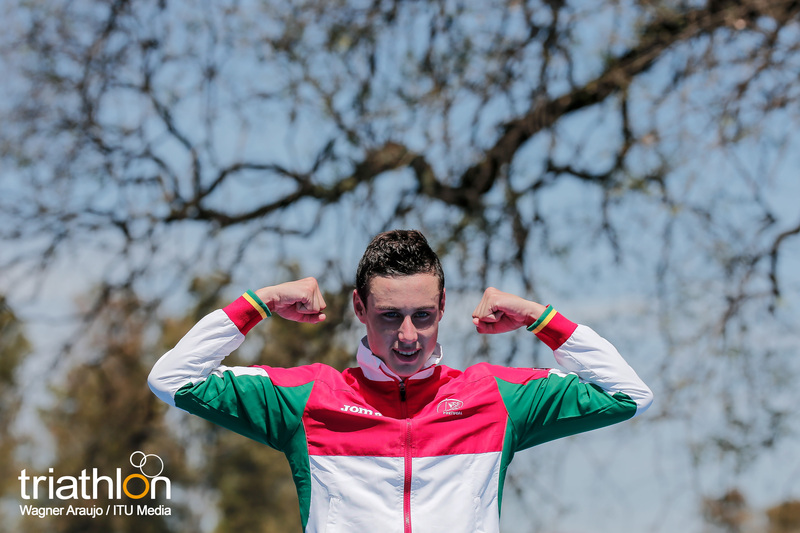 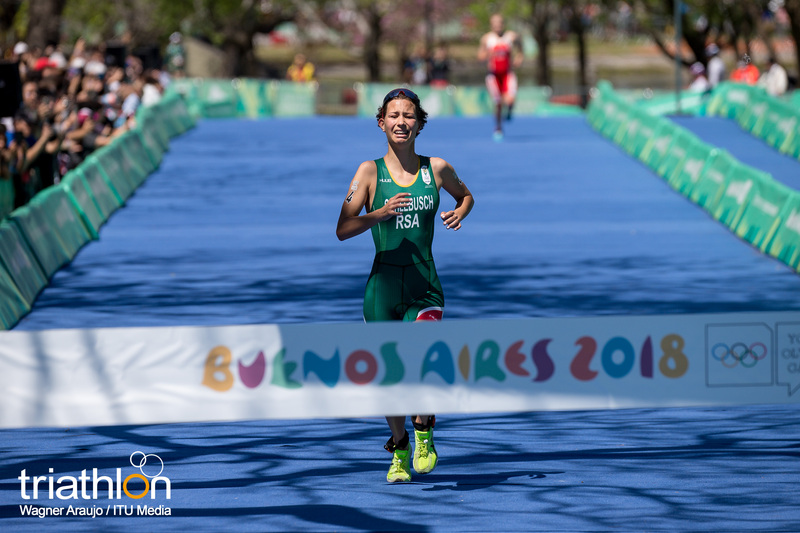 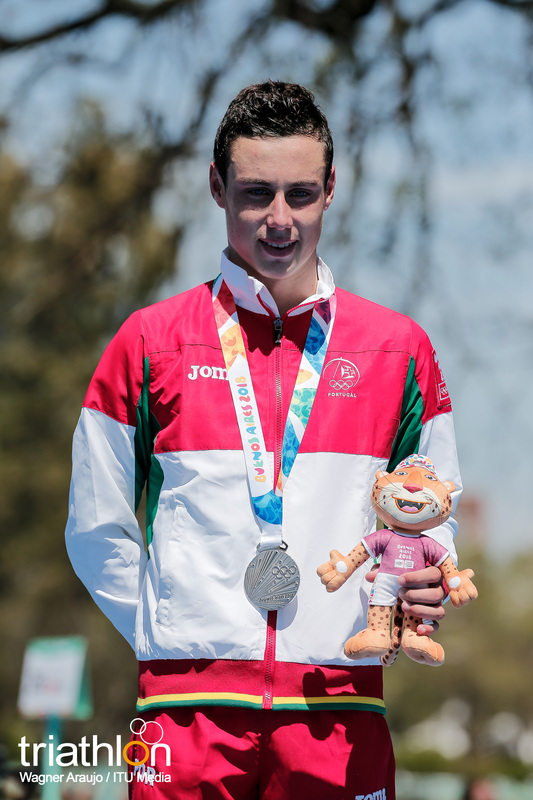 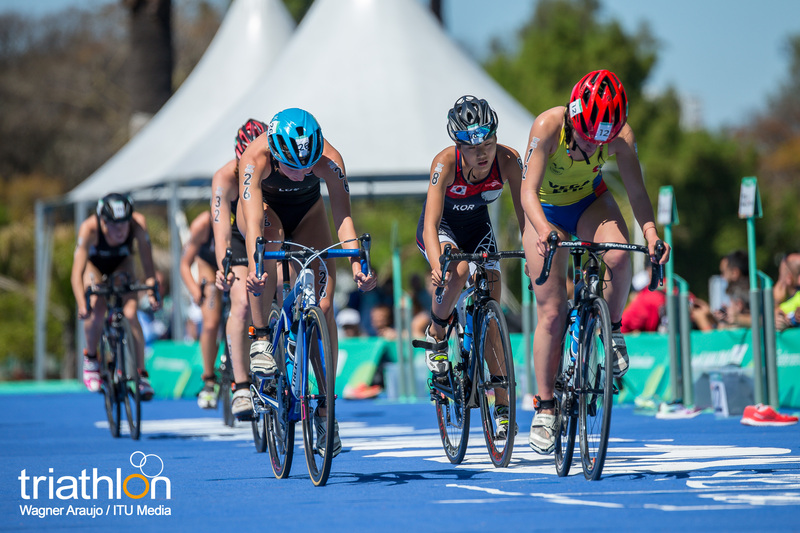 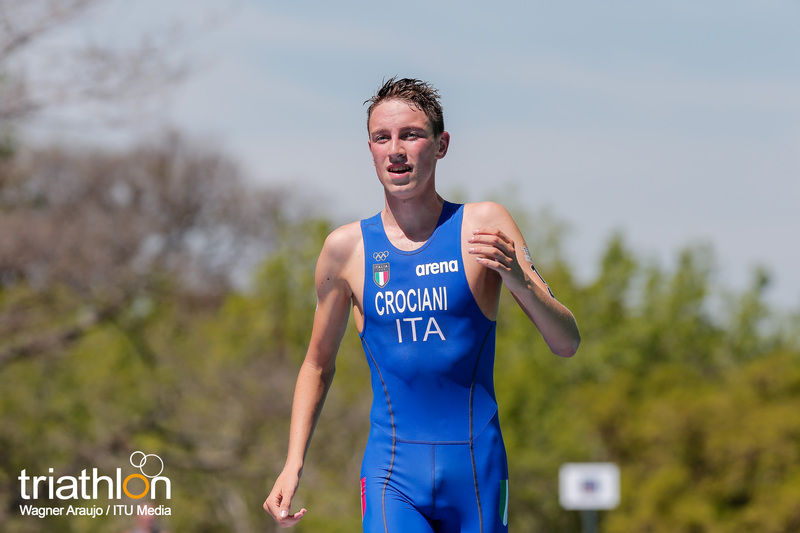 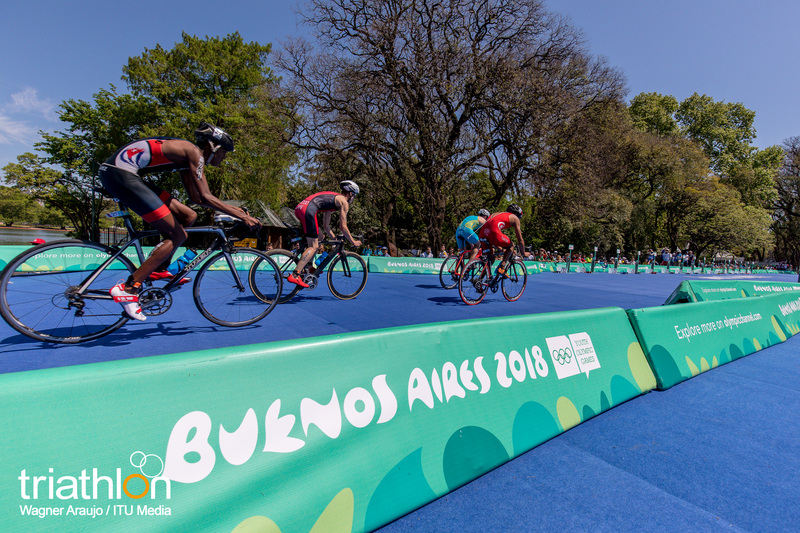 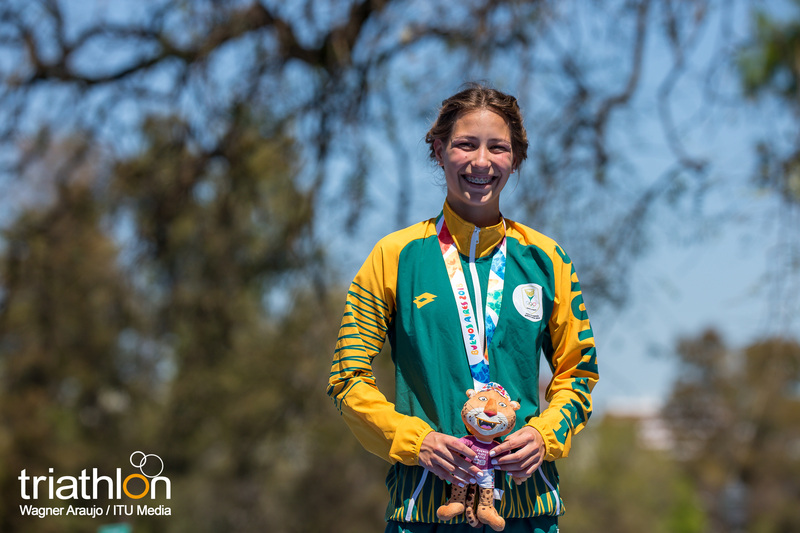 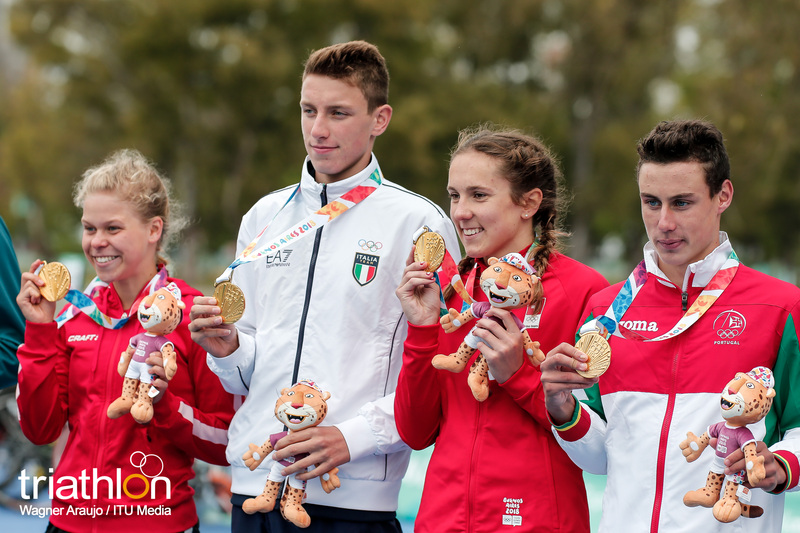 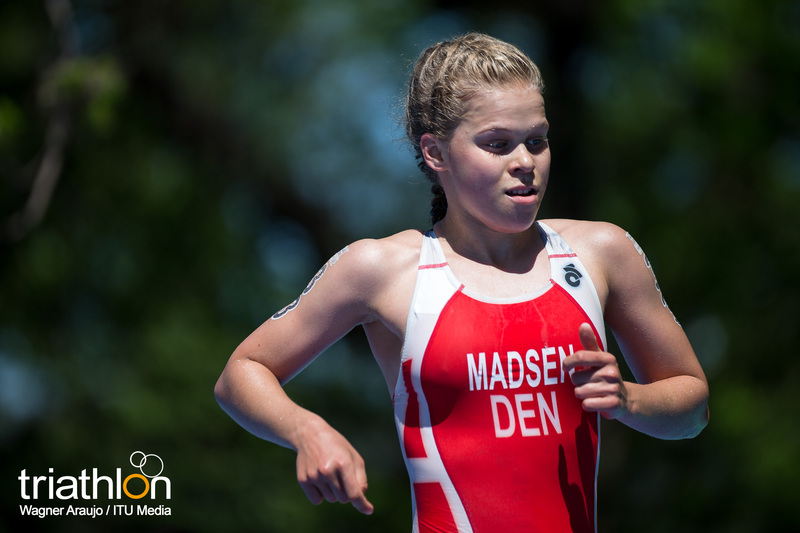 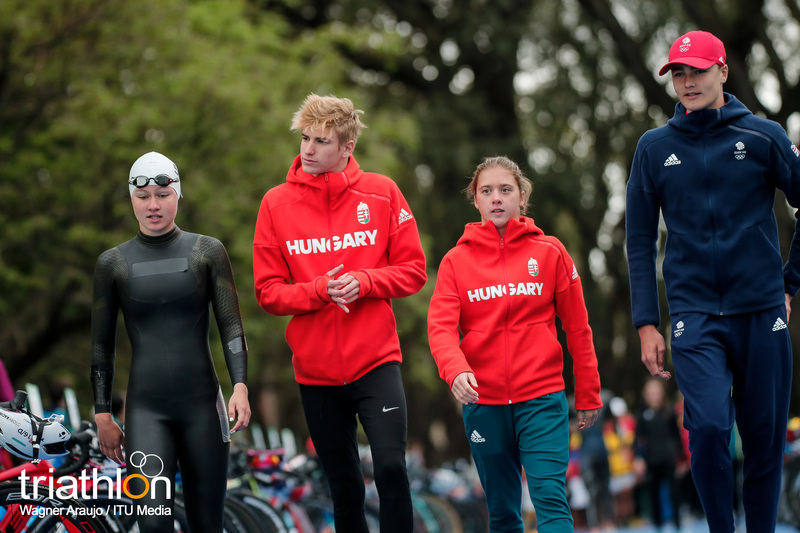 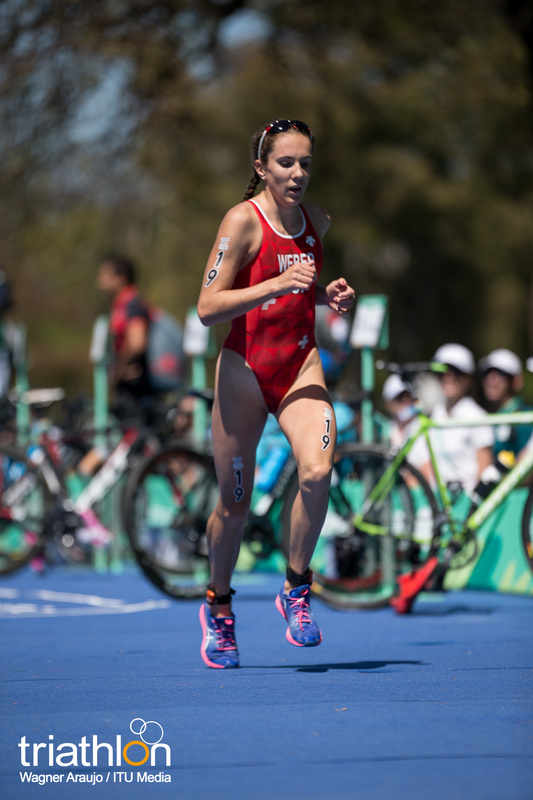 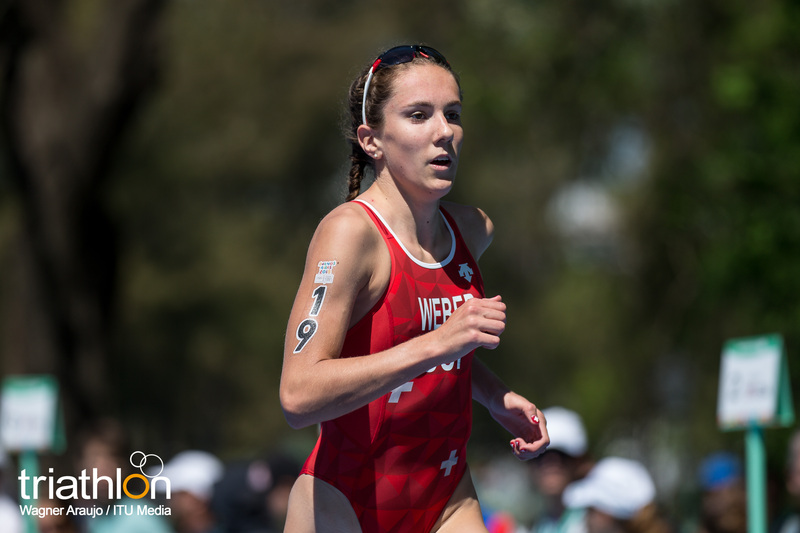 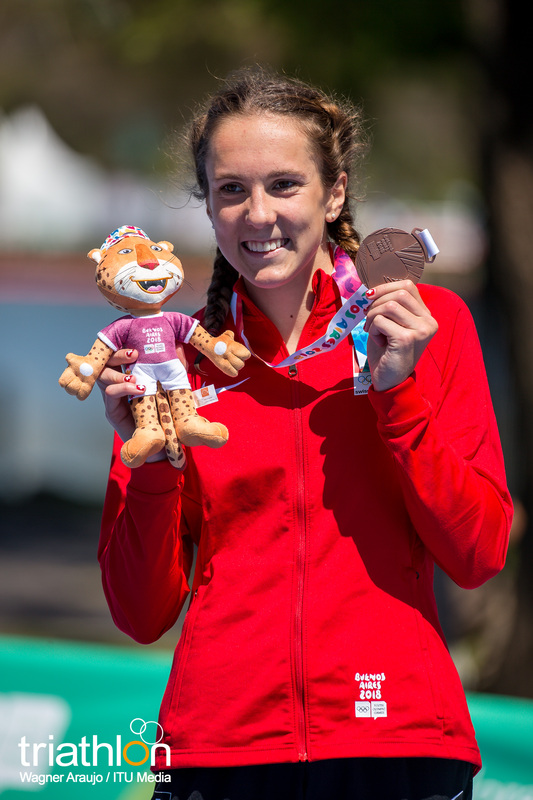 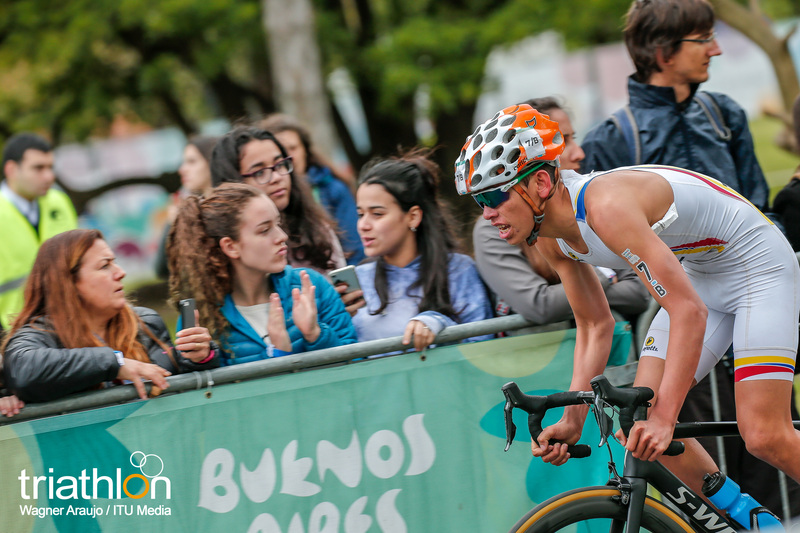 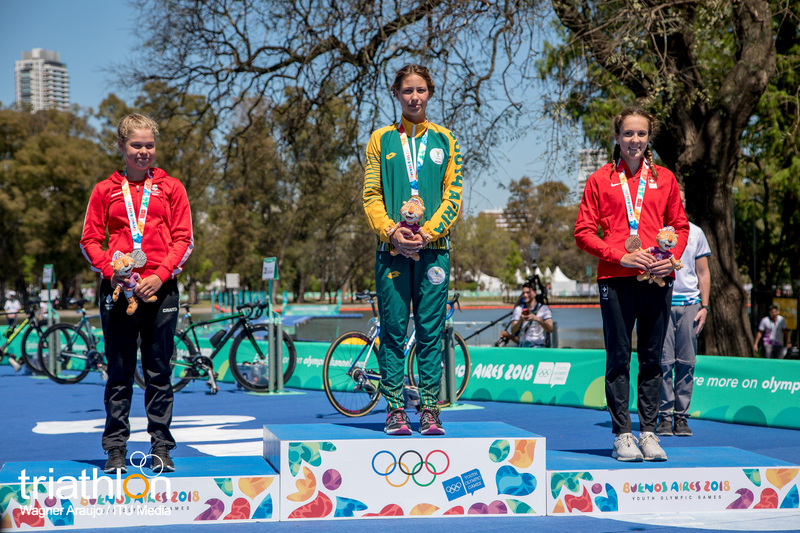 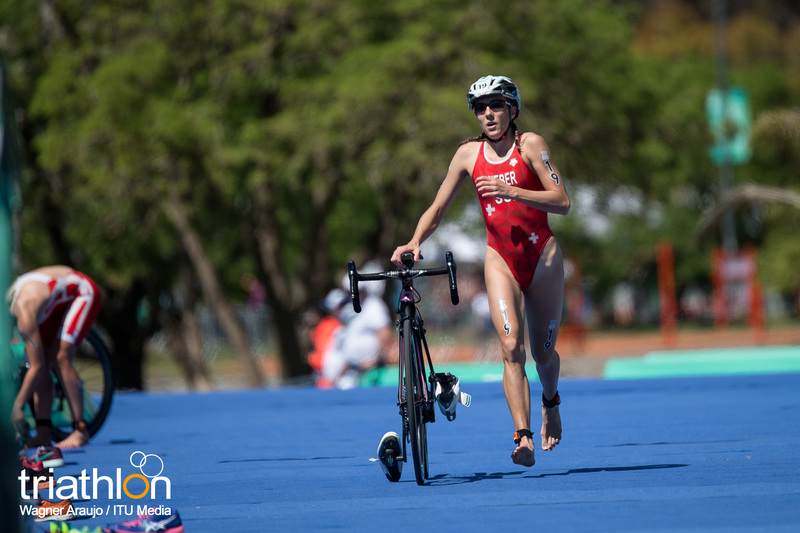 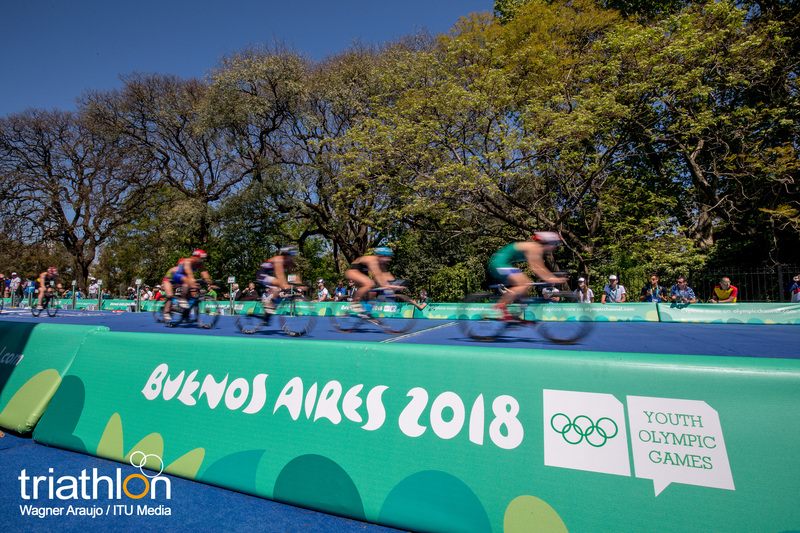 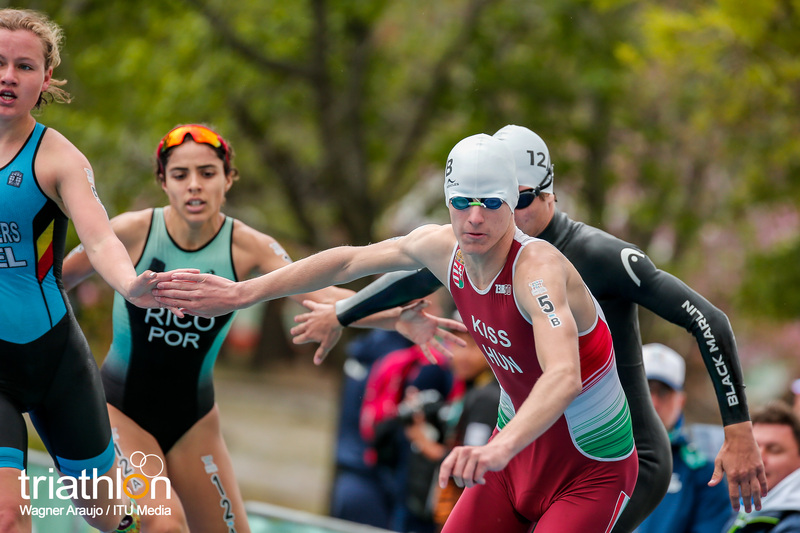 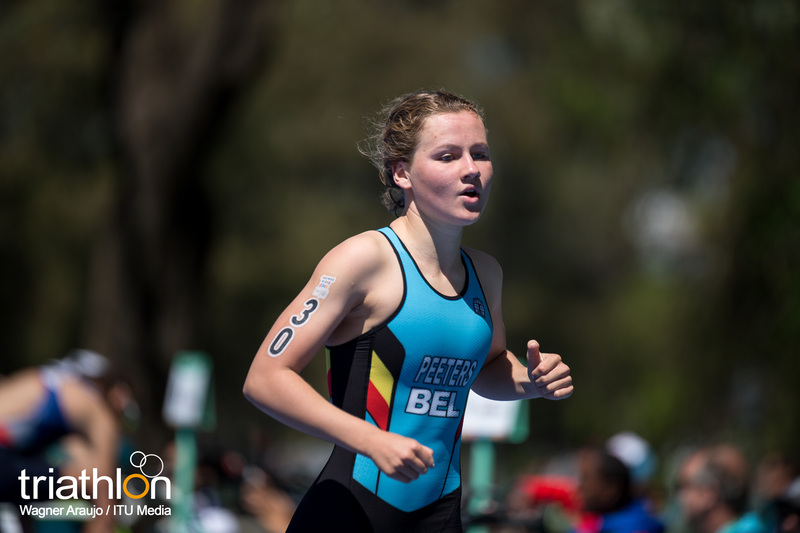 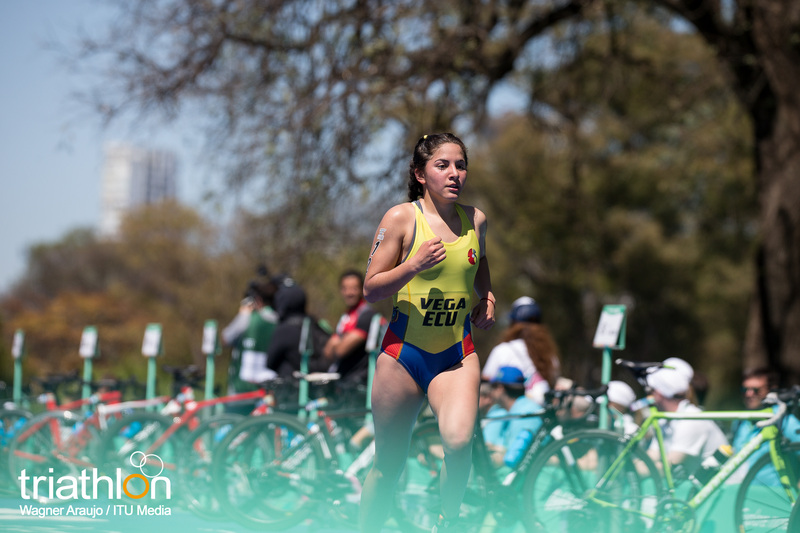 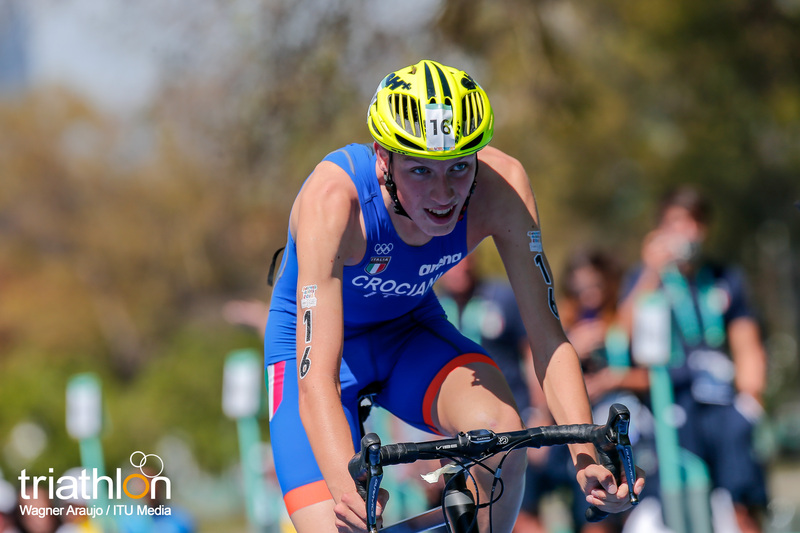 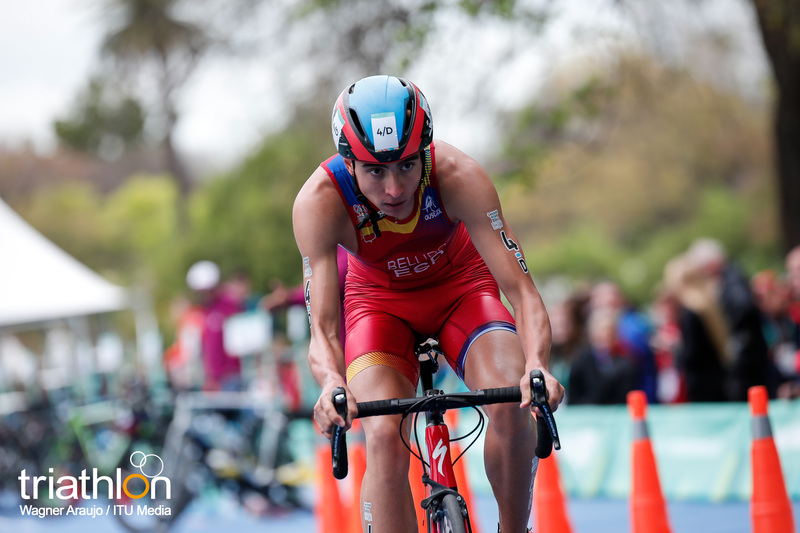 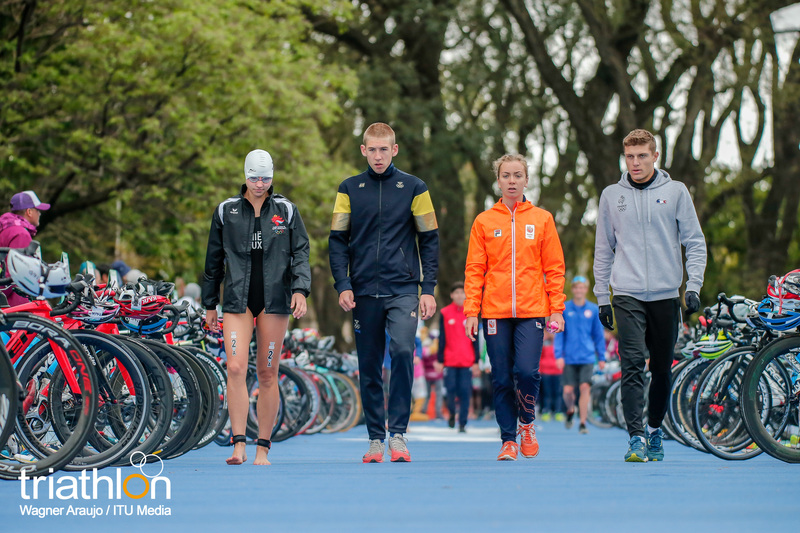 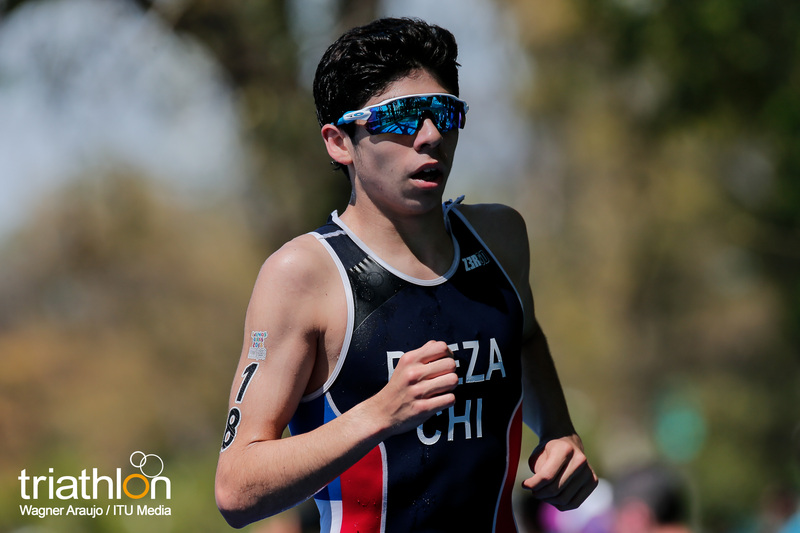 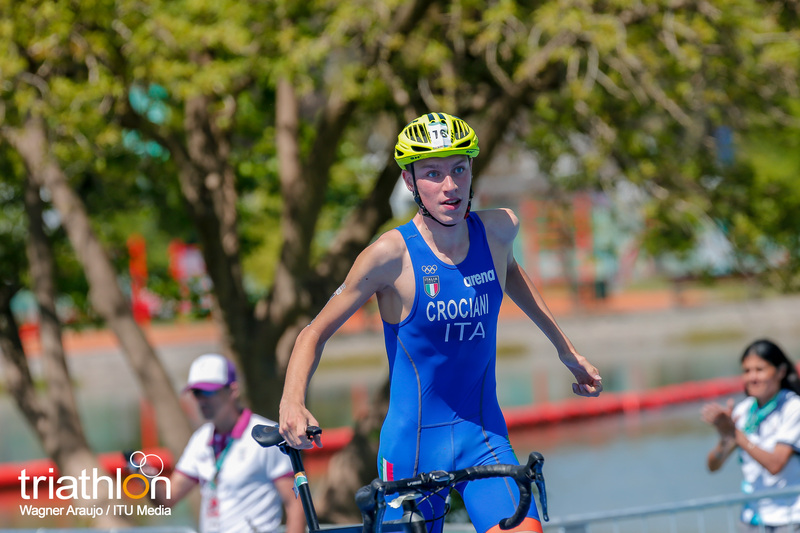 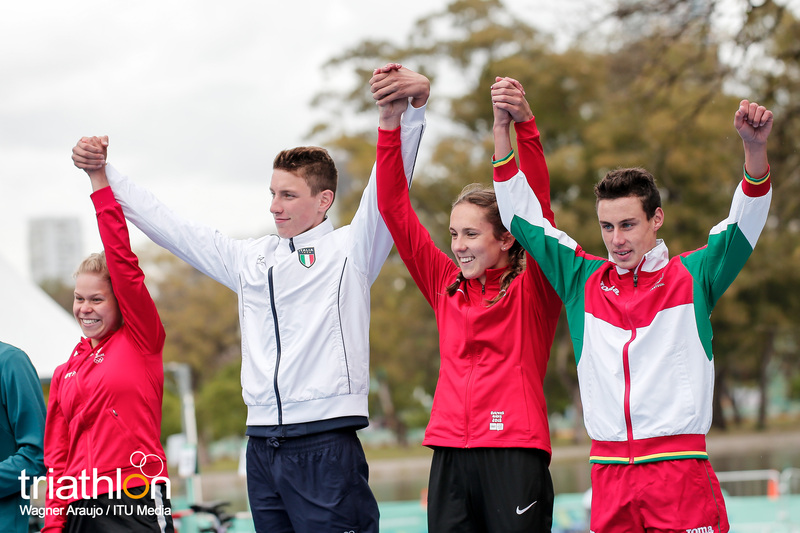 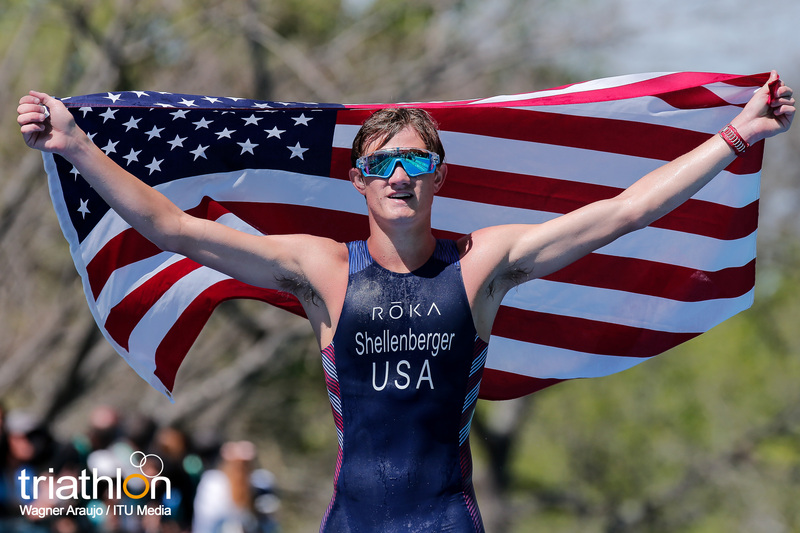 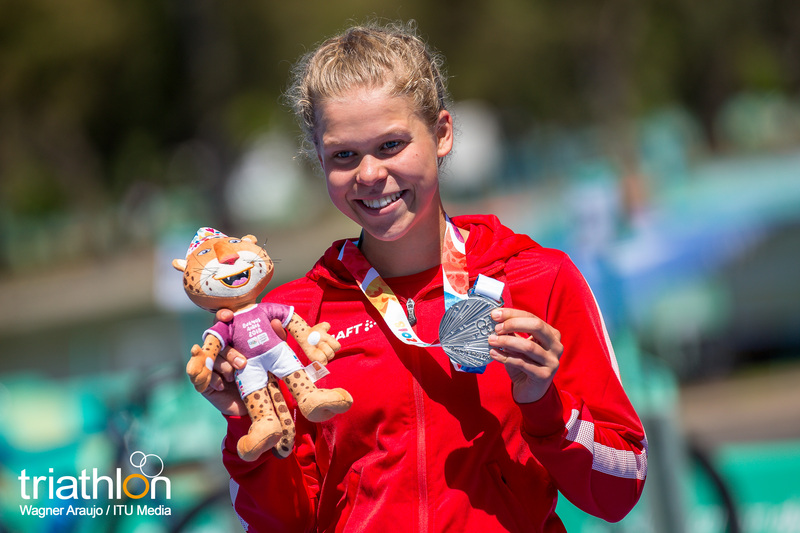 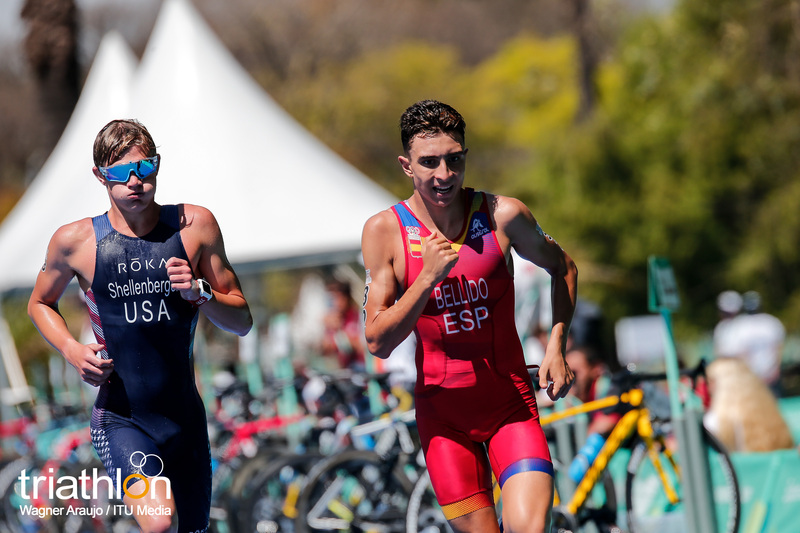 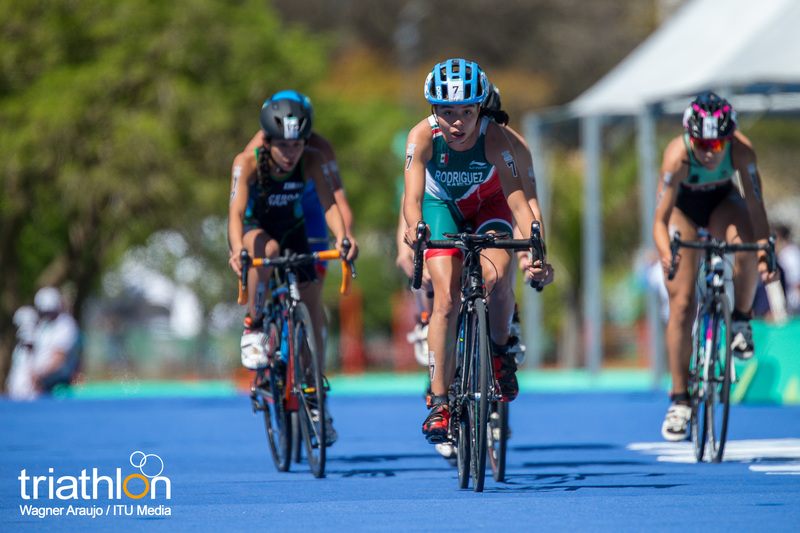 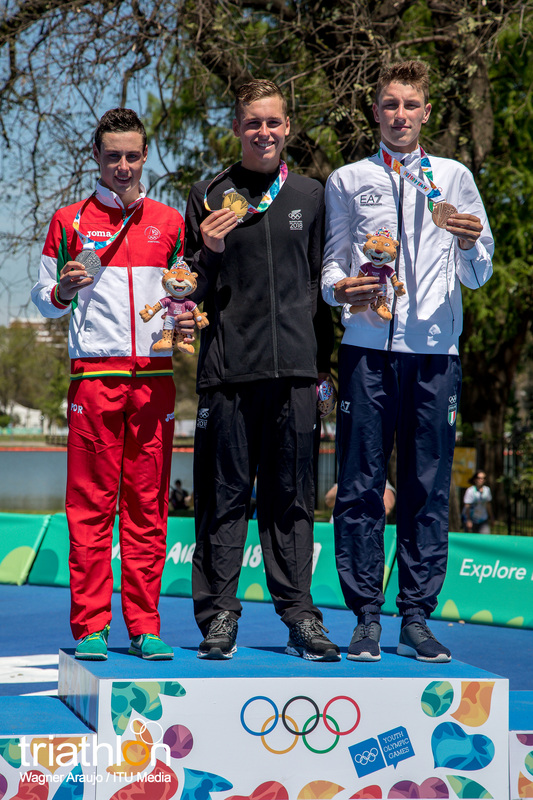 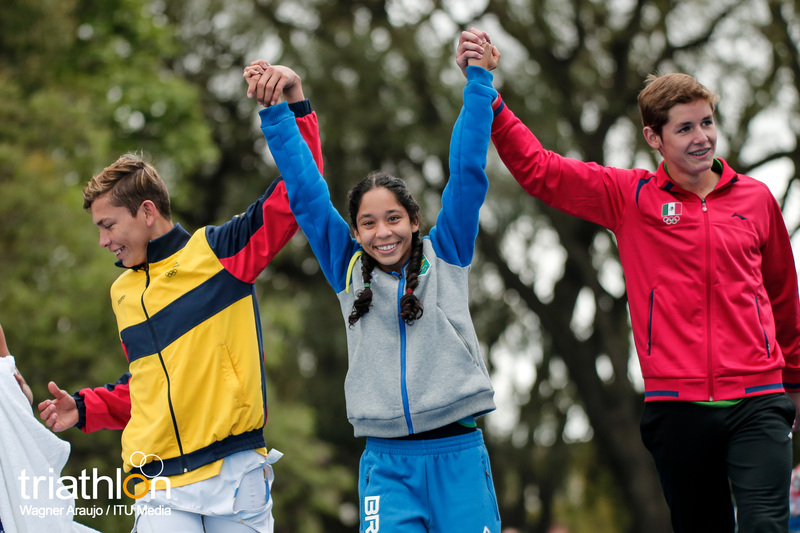 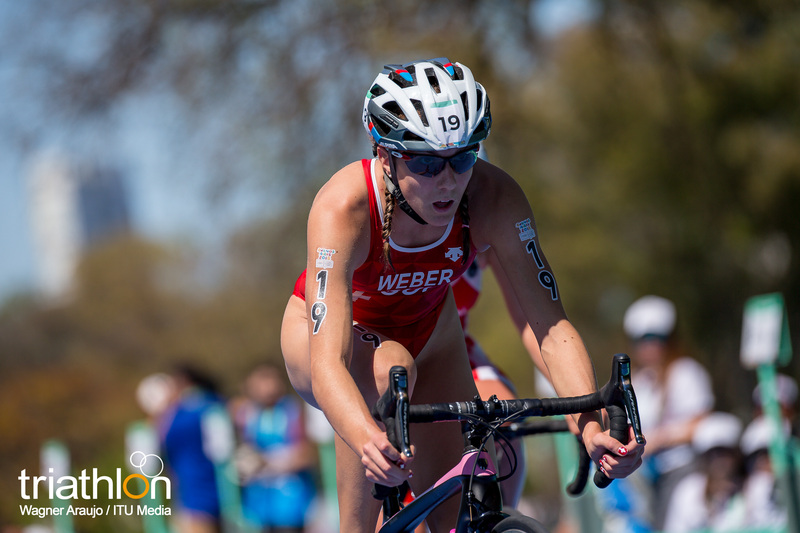 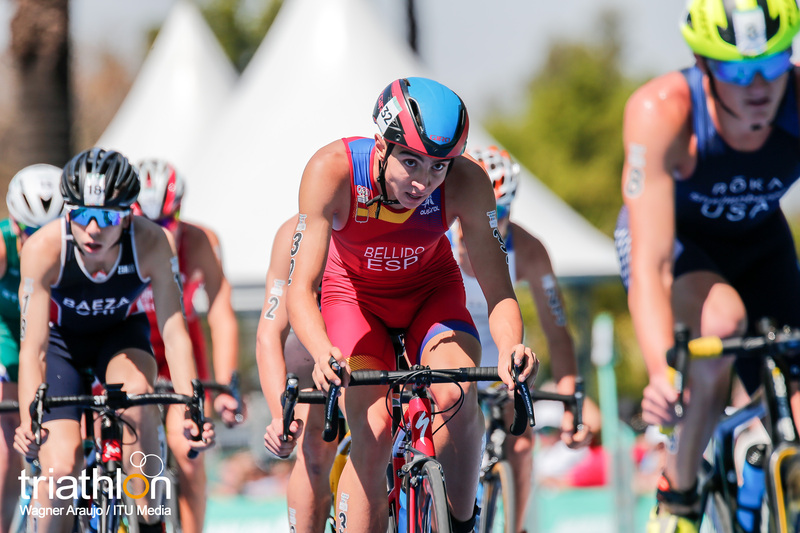 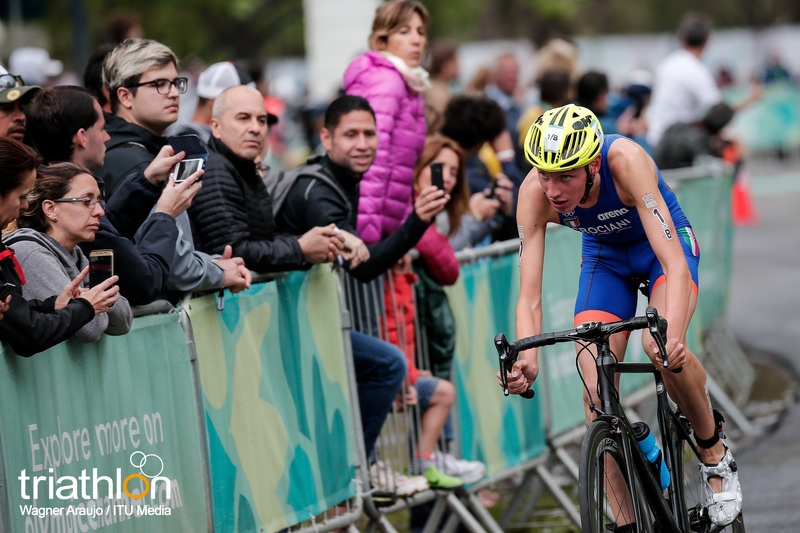 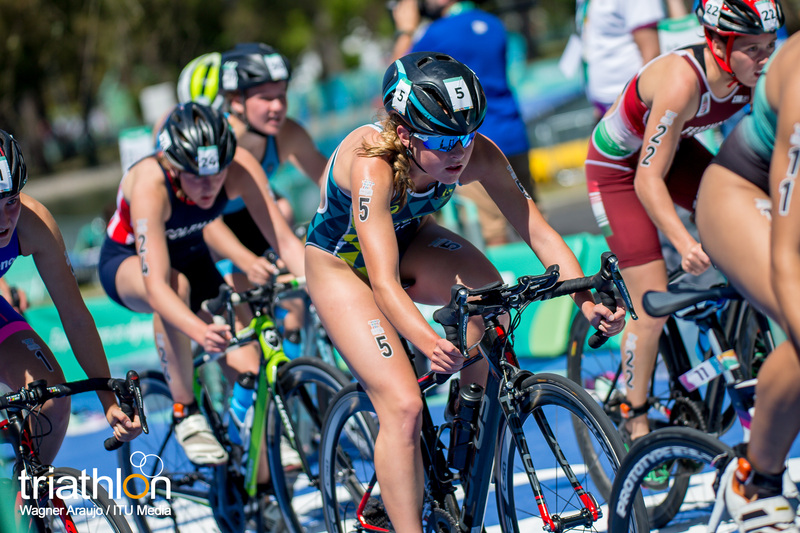 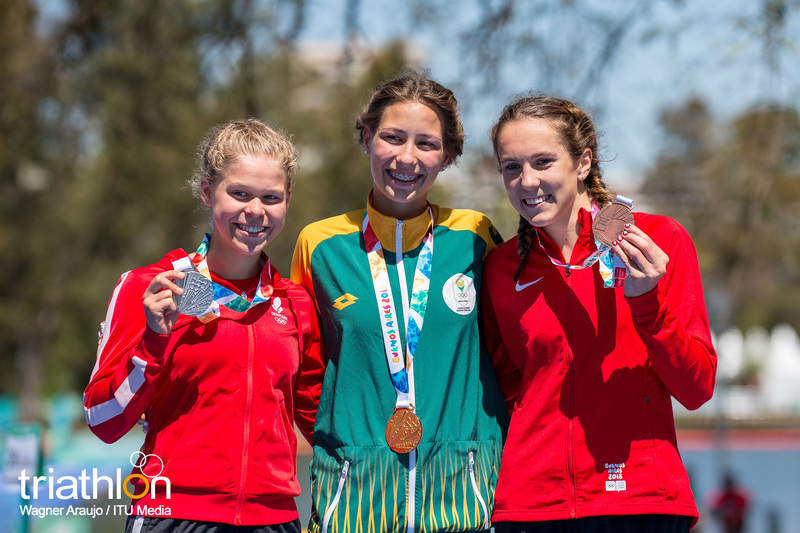 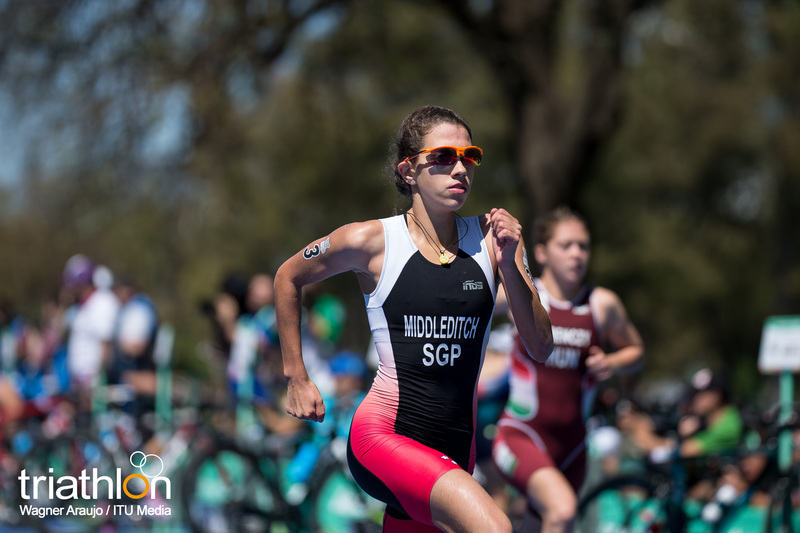 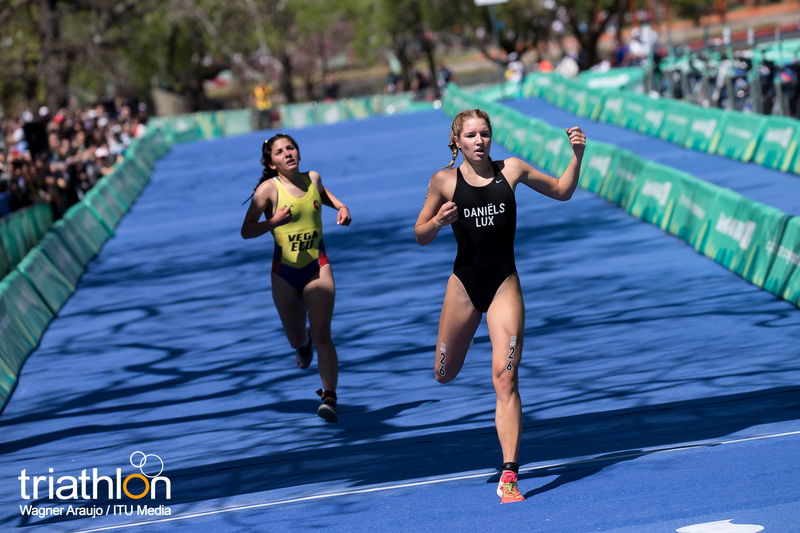 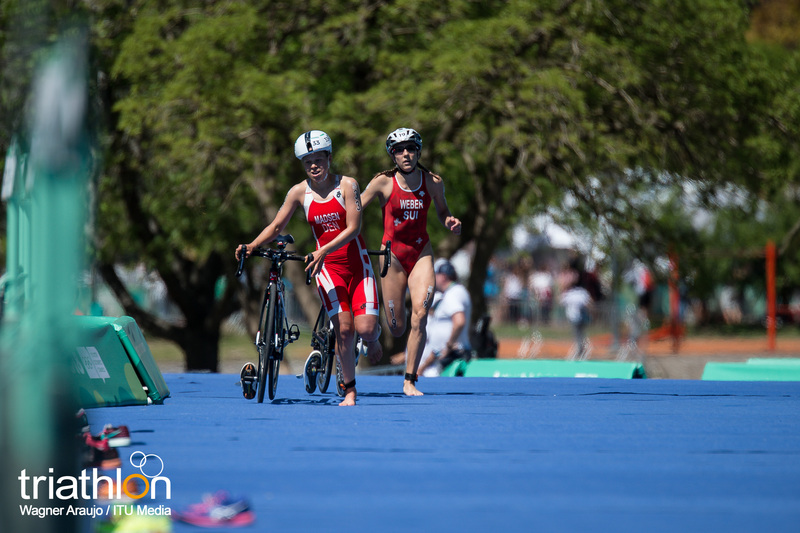 They were the stronger team on paper, and the four kids on Team Europe I performed exactly as it was expected, claiming the gold medal at the 2018 Buenos Aires Youth Olympic Games Mixed Relay. 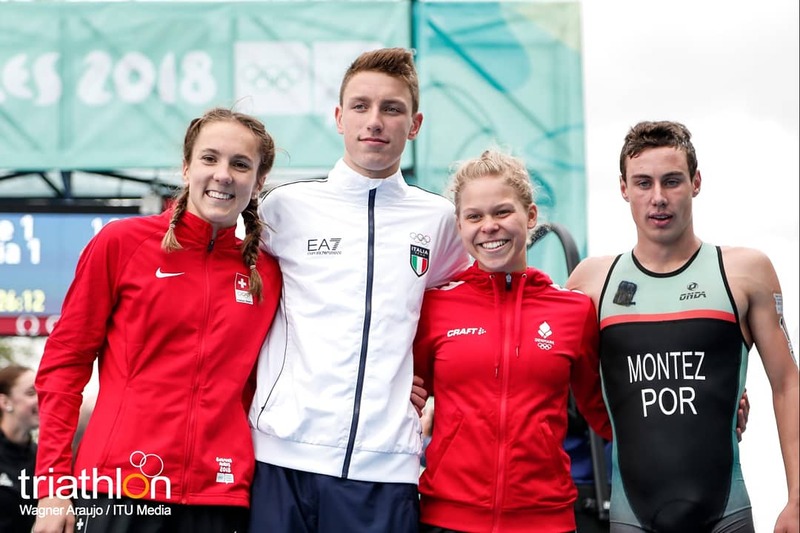 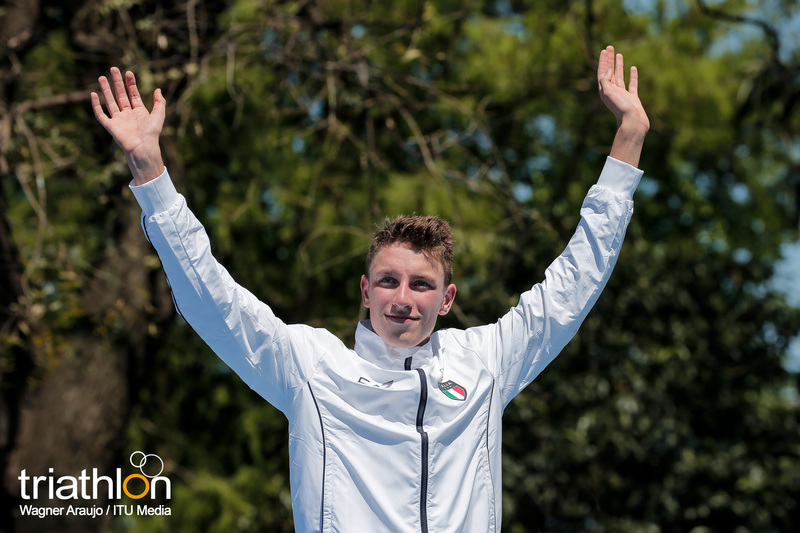 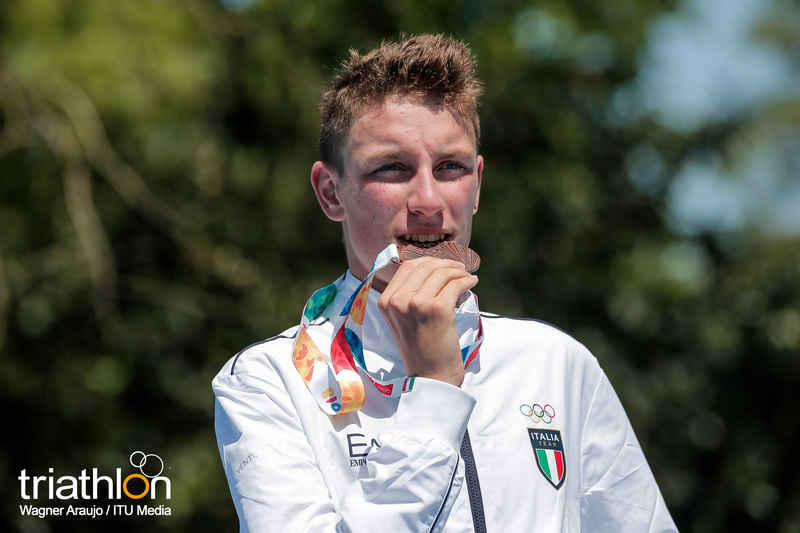 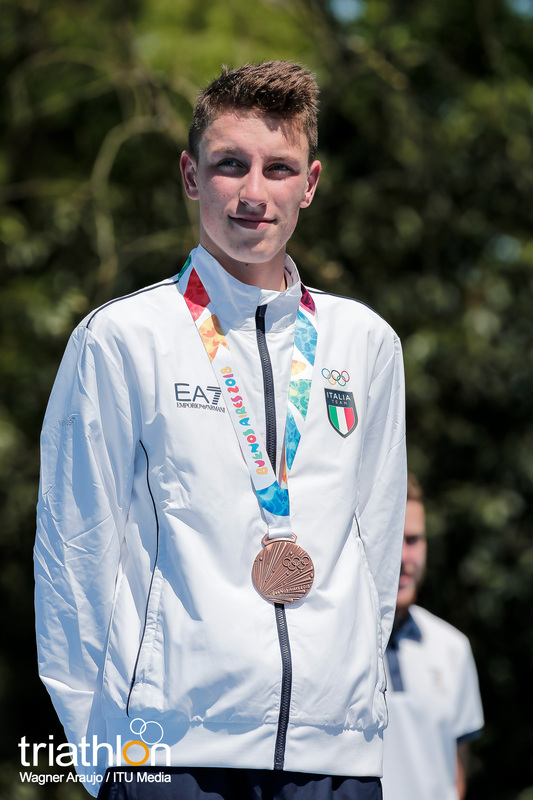 For Sif Bendix Madsen (DEN), Alessio Crociani (ITA), Anja Weber (SUI) and Alexandre Montez (POR) this is the second medal of this competition, although the first gold for all. 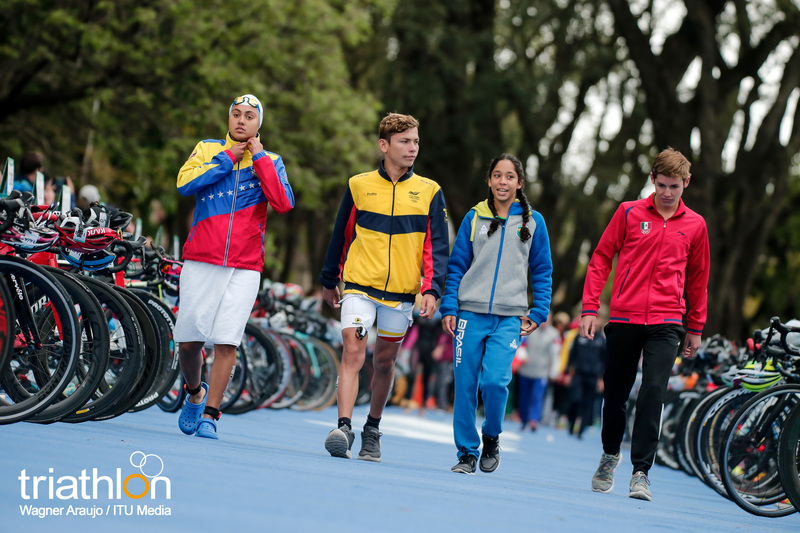 Team Oceania battled hard for the race but ended up in second place, while a strong performance of Spaniard Igor Bellido Mikhailova gave Team Europe III the third place. 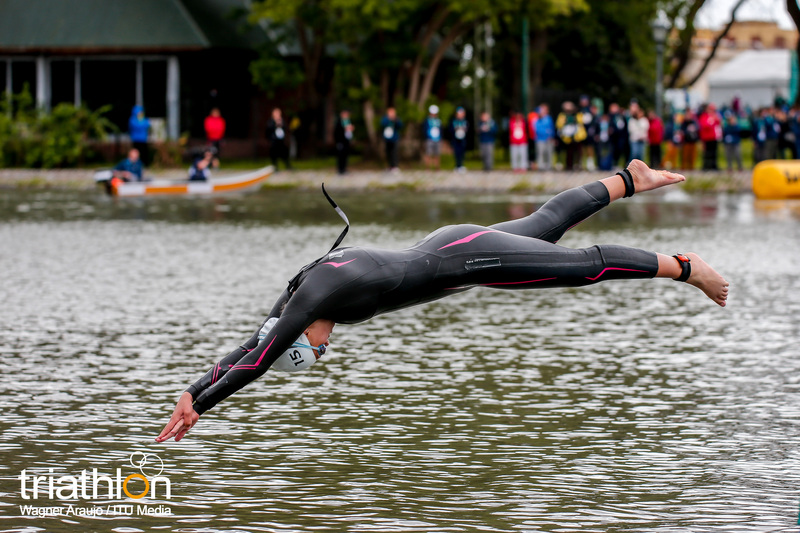 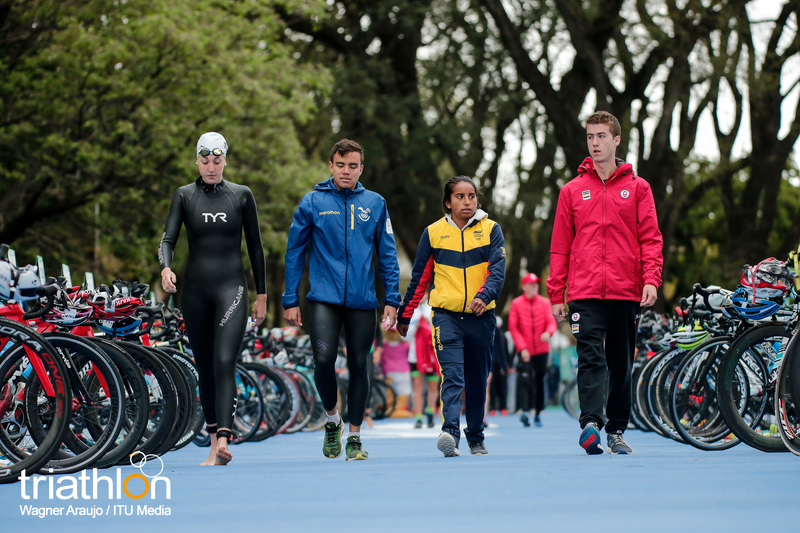 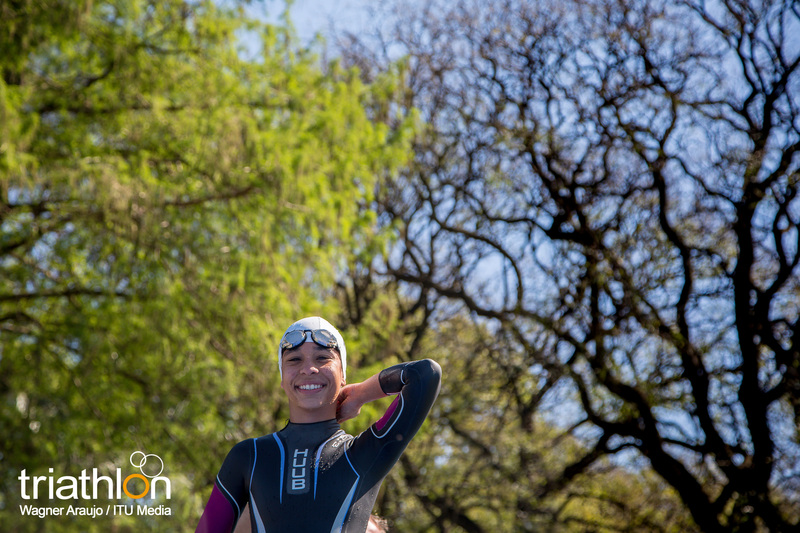 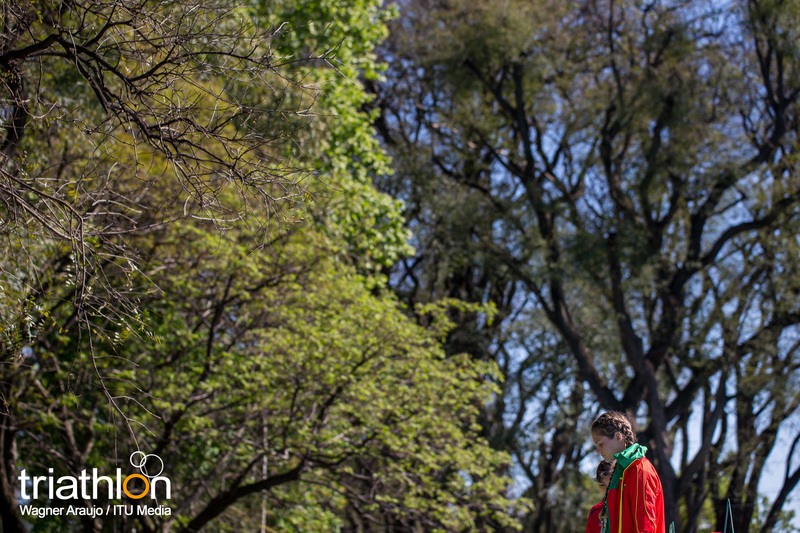 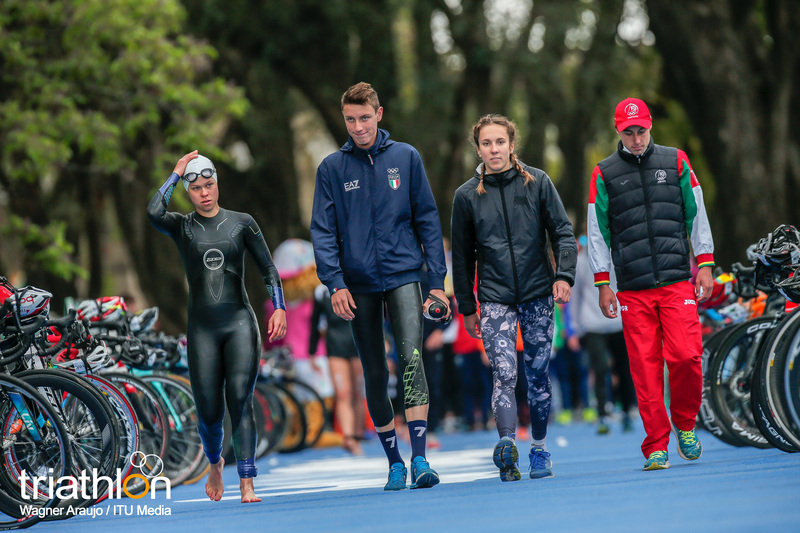 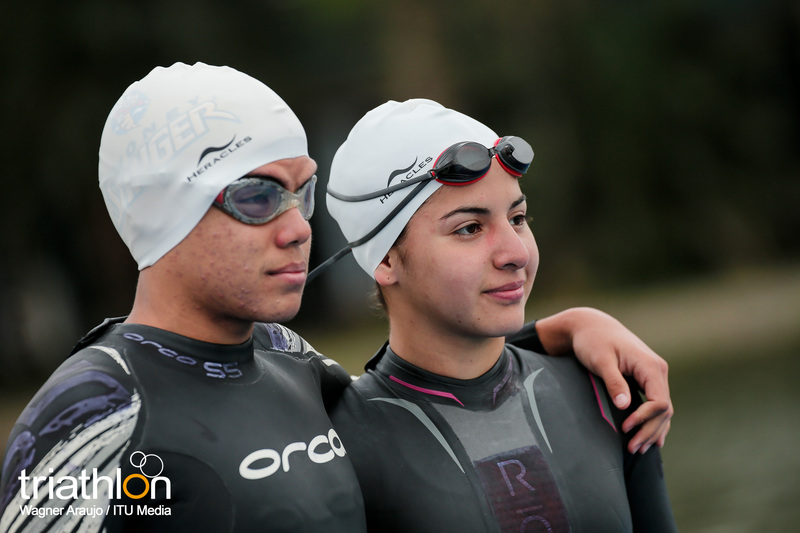 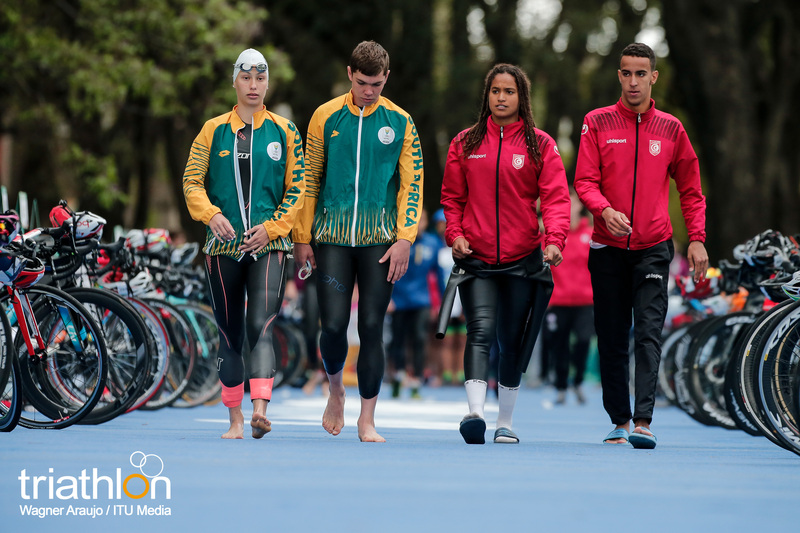 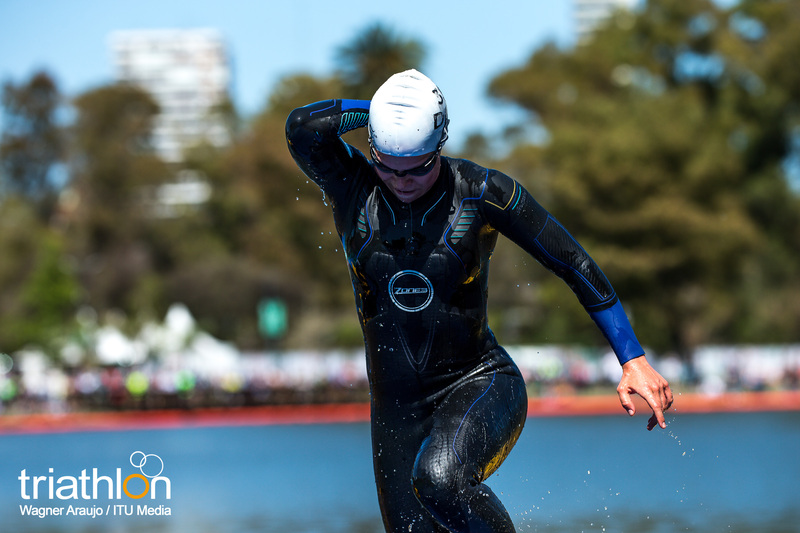 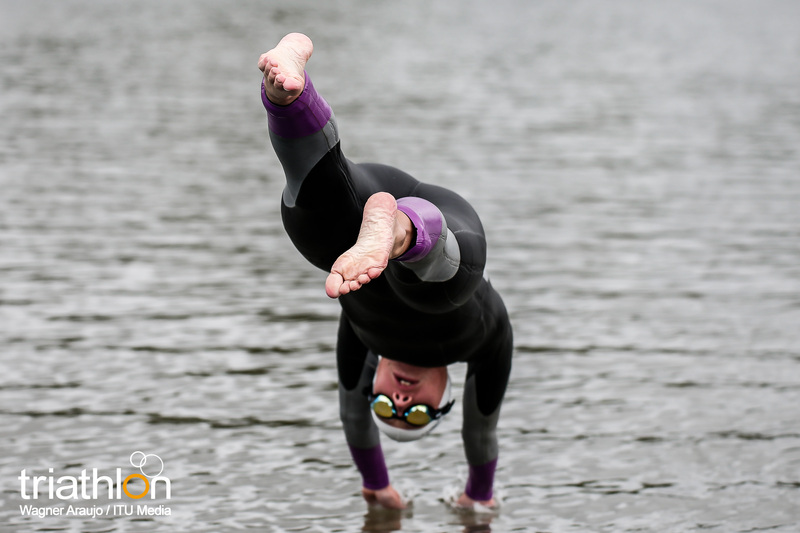 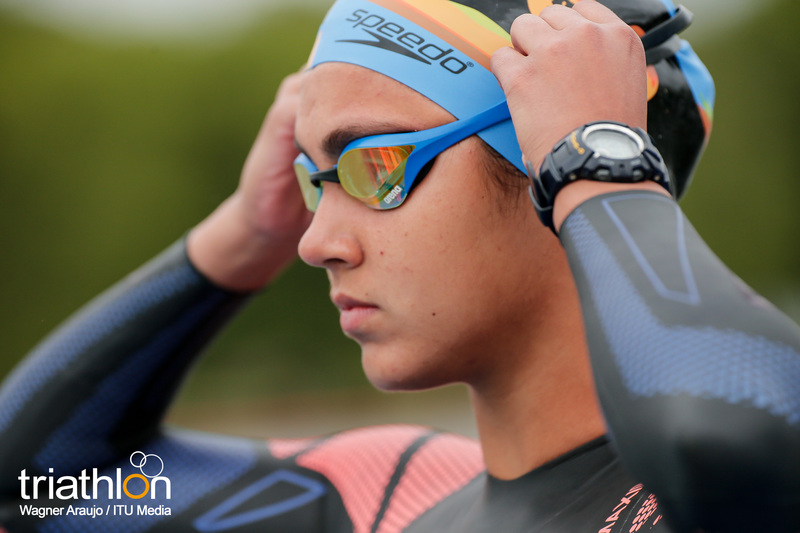 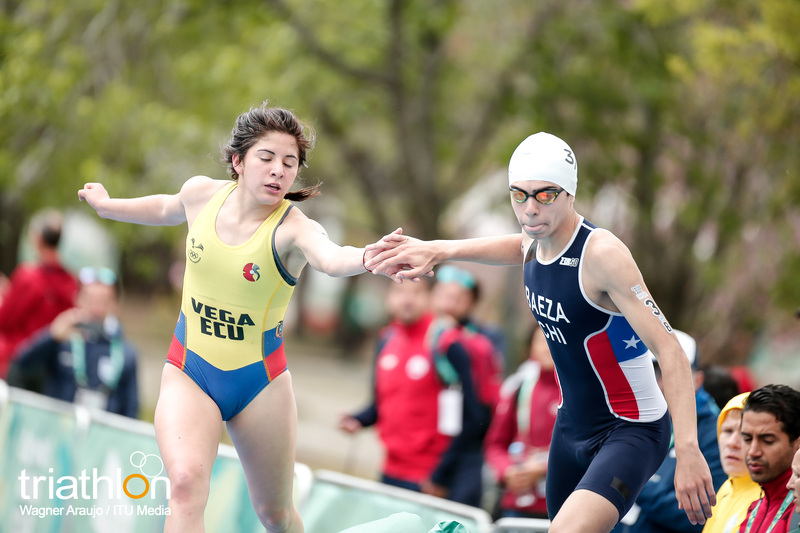 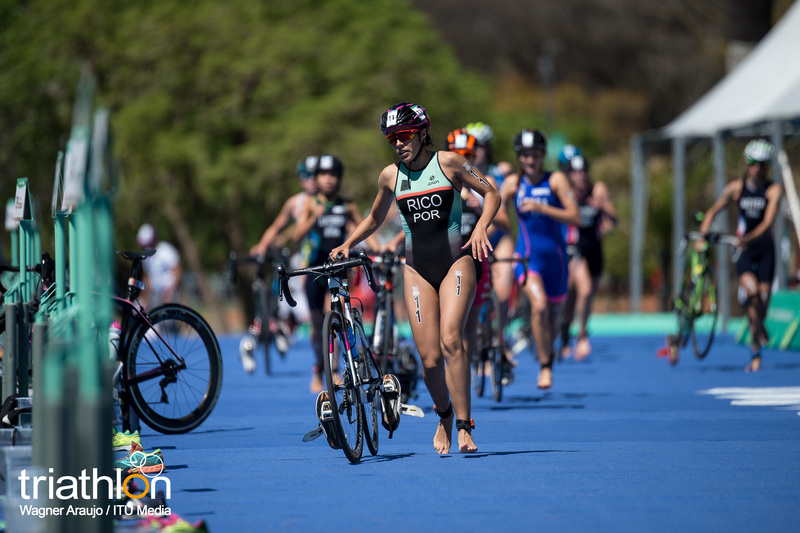 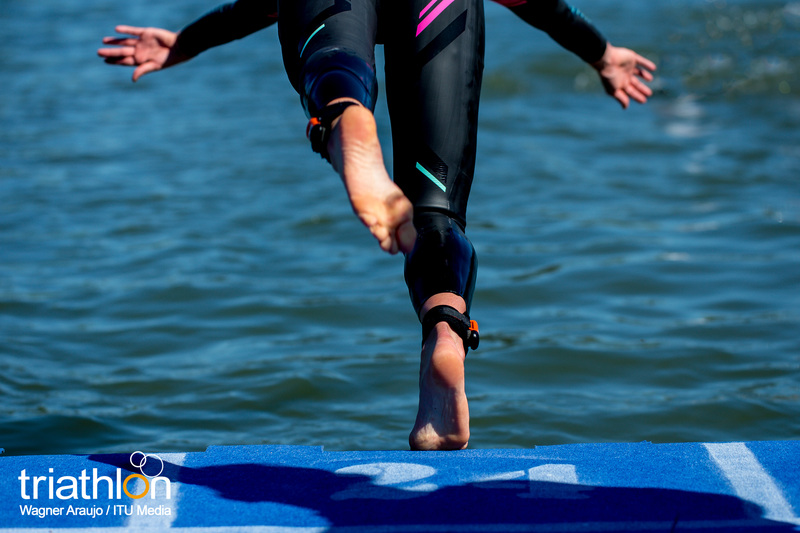 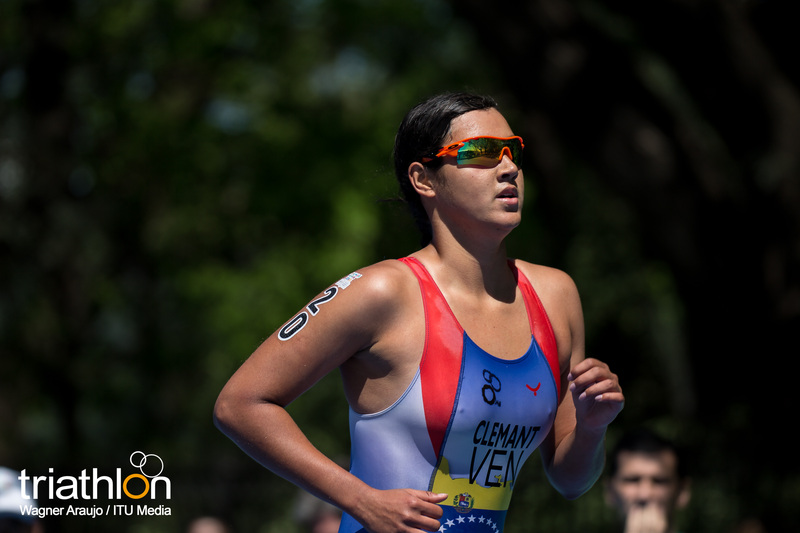 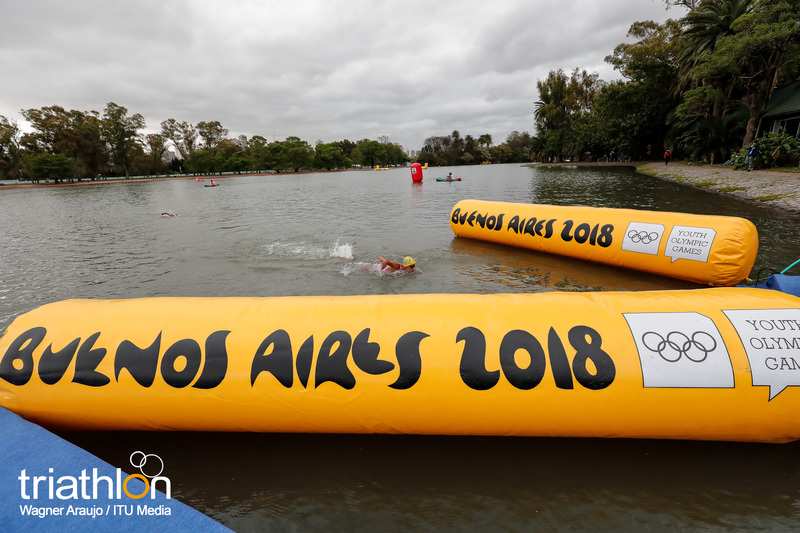 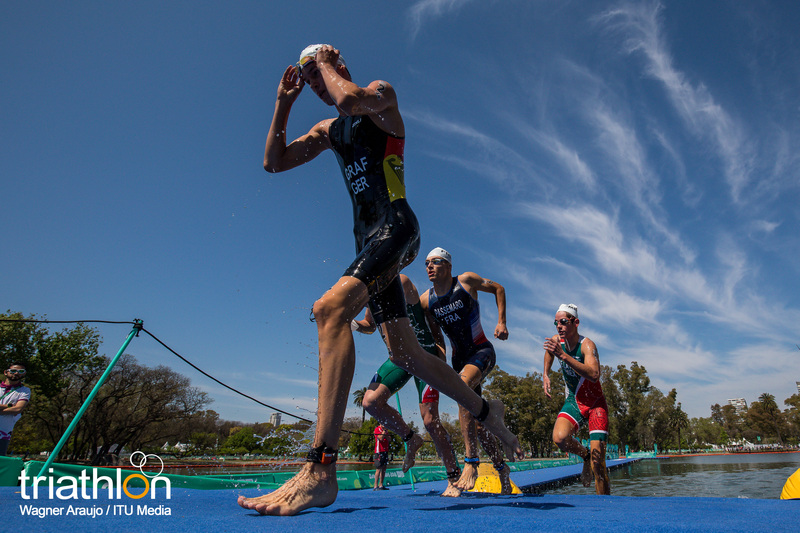 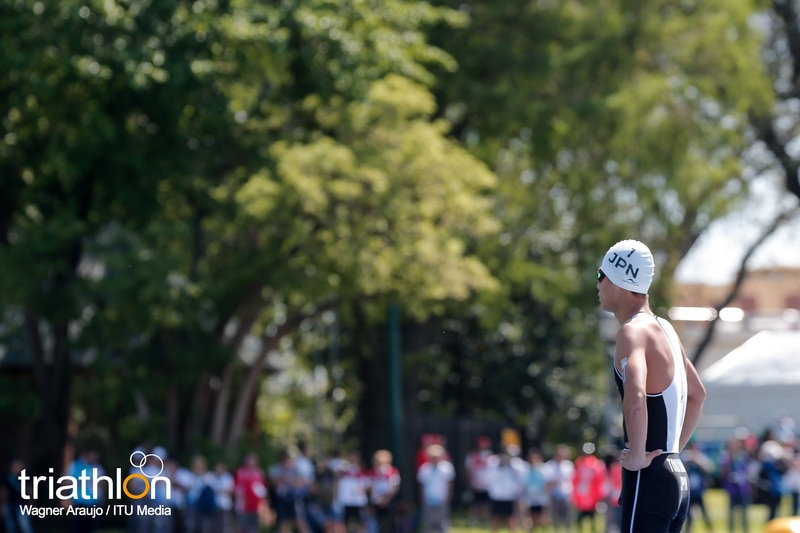 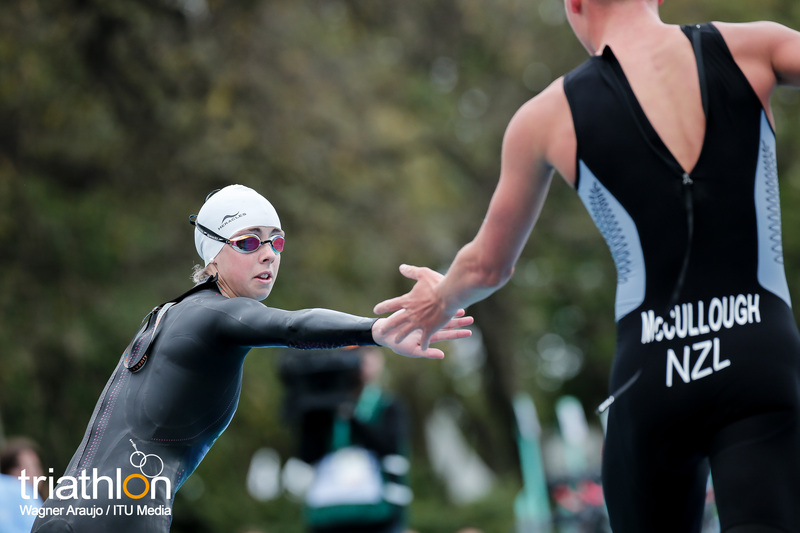 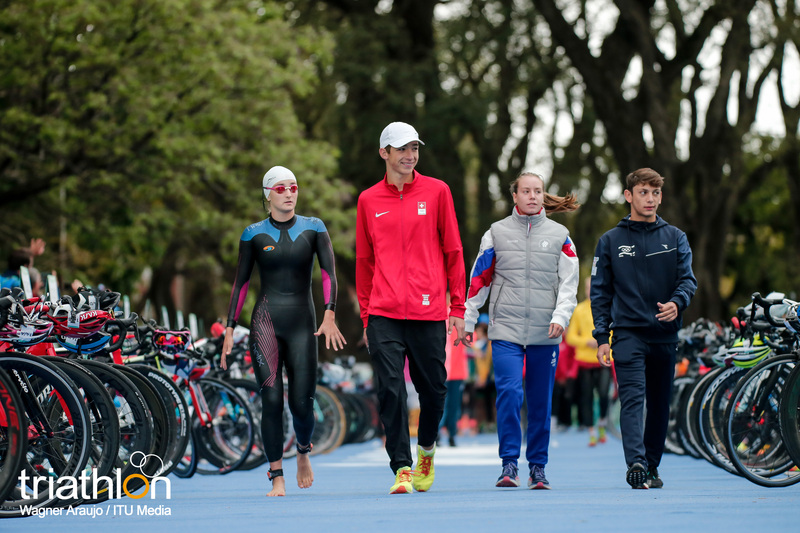 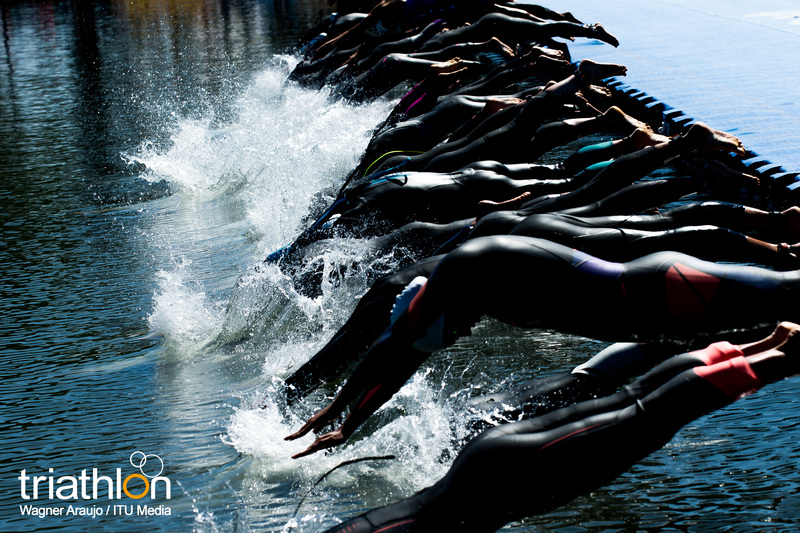 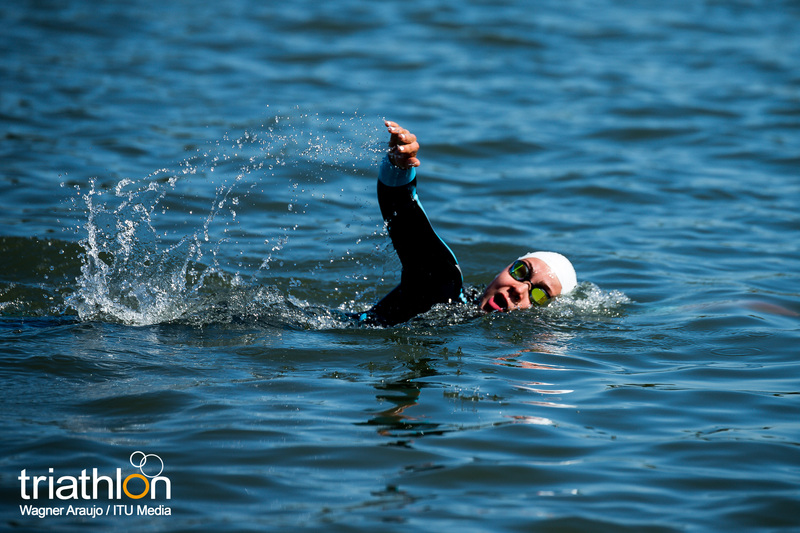 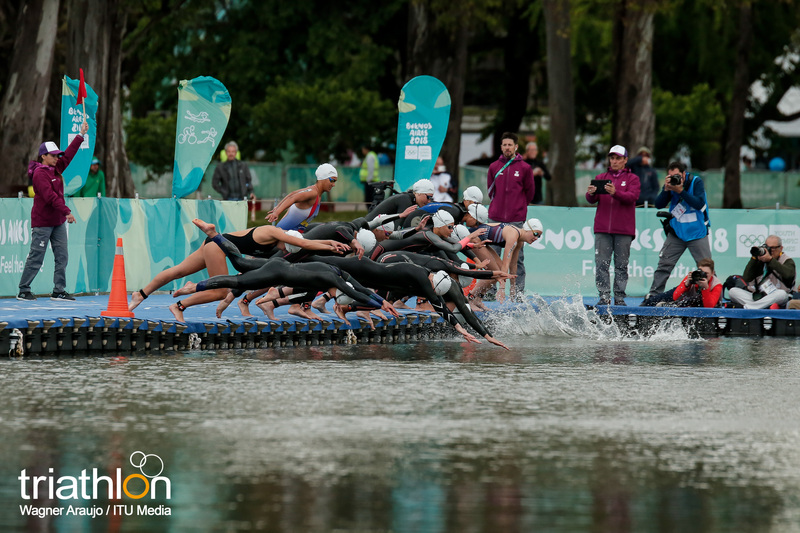 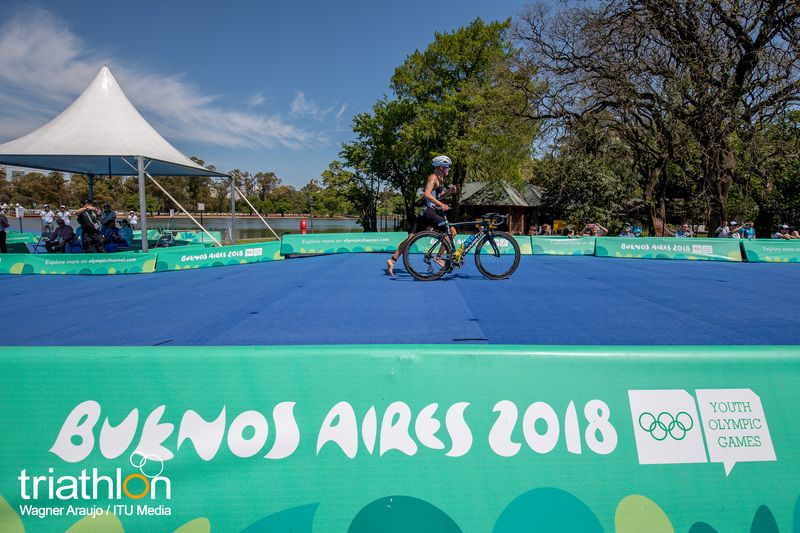 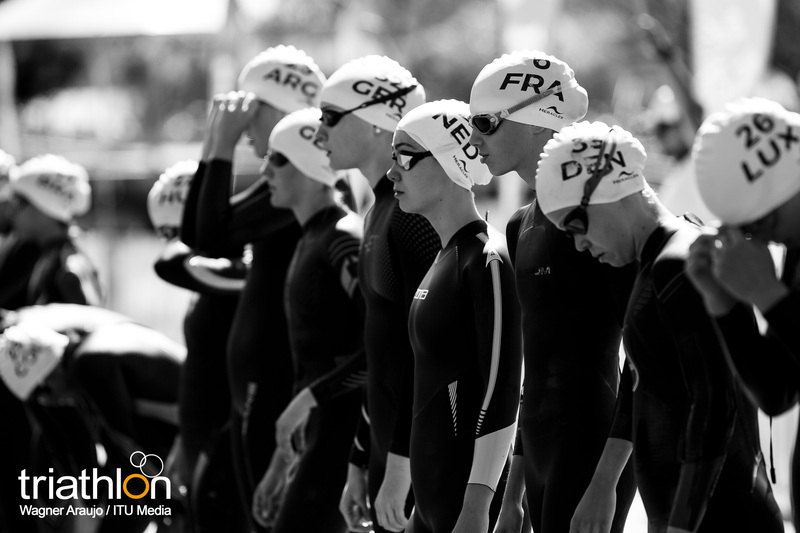 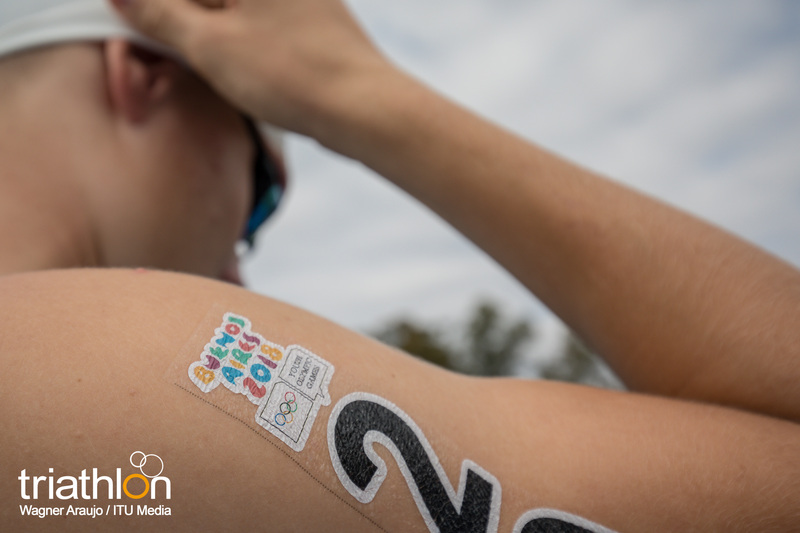 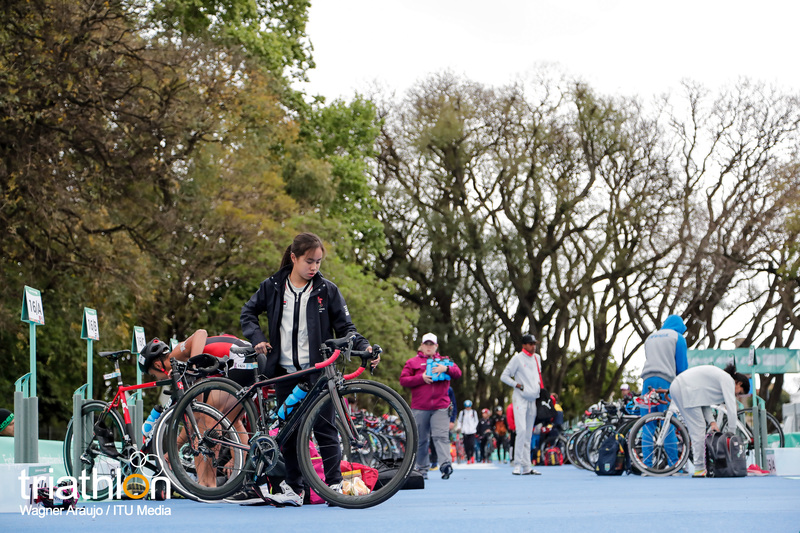 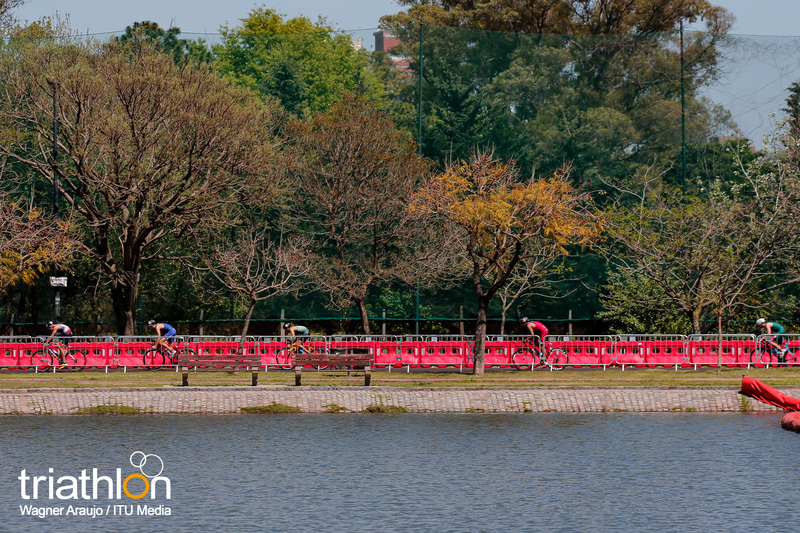 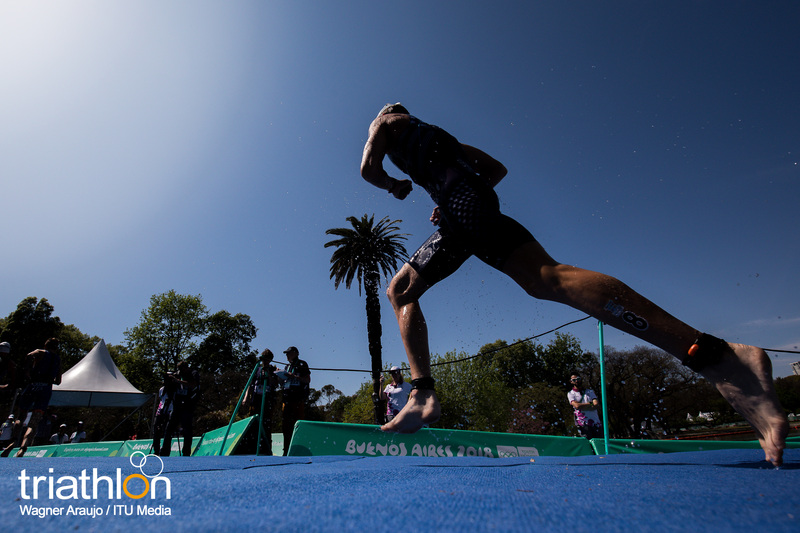 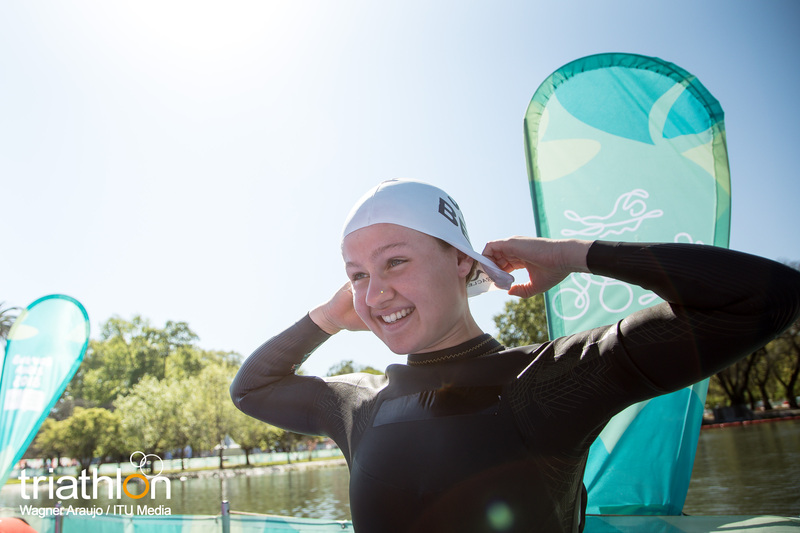 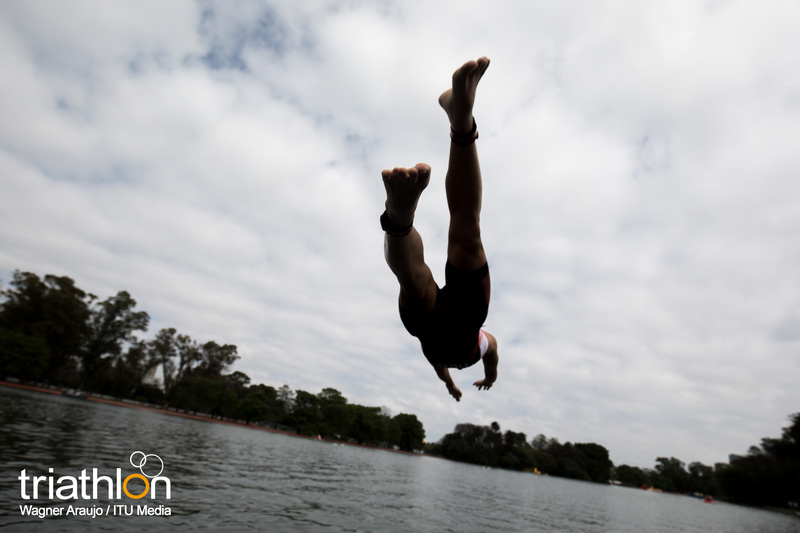 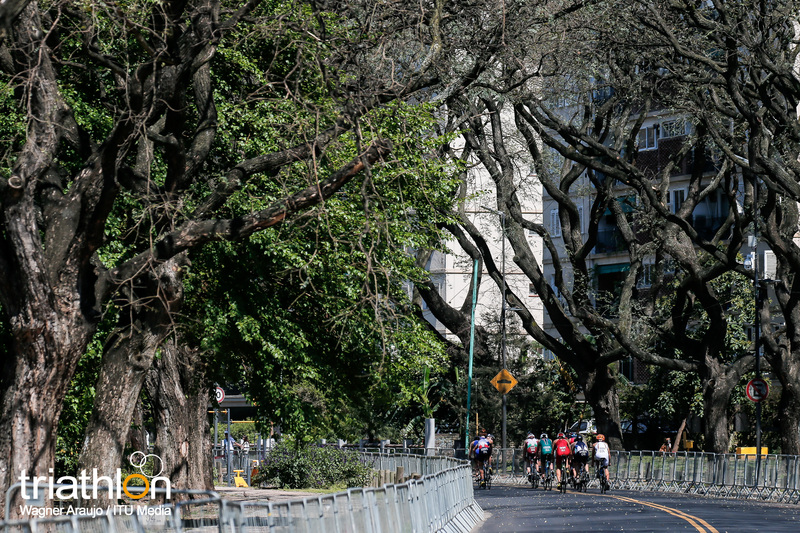 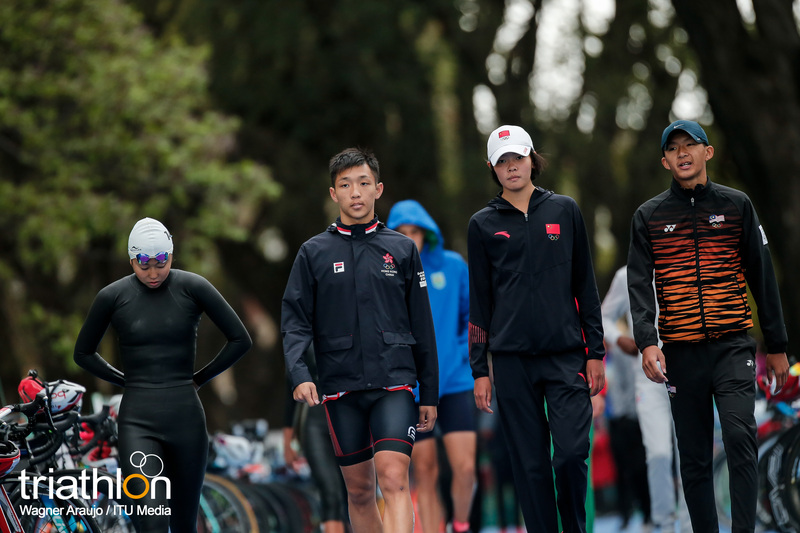 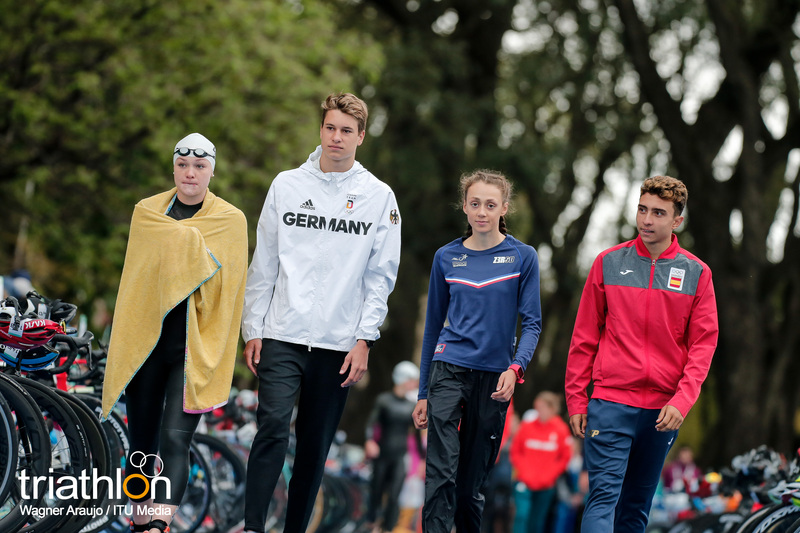 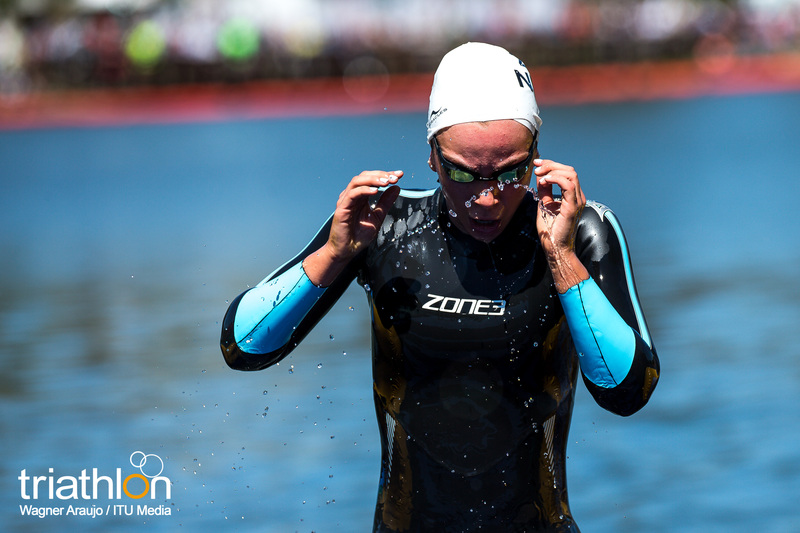 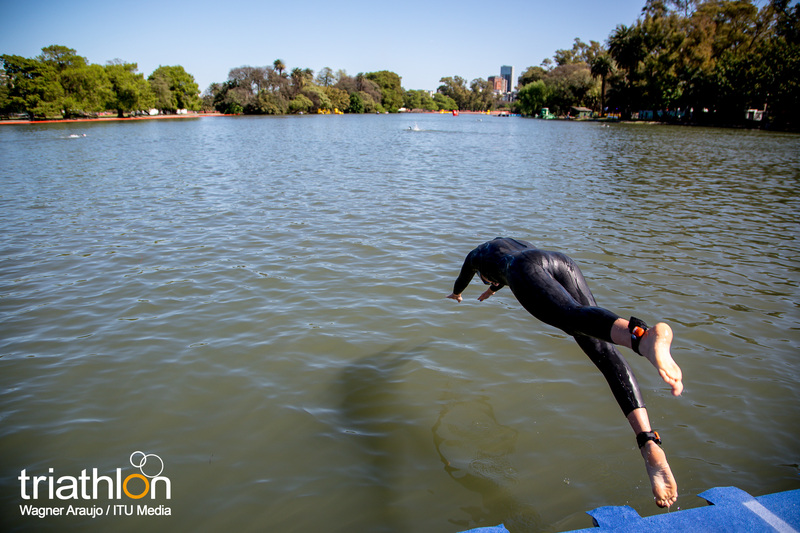 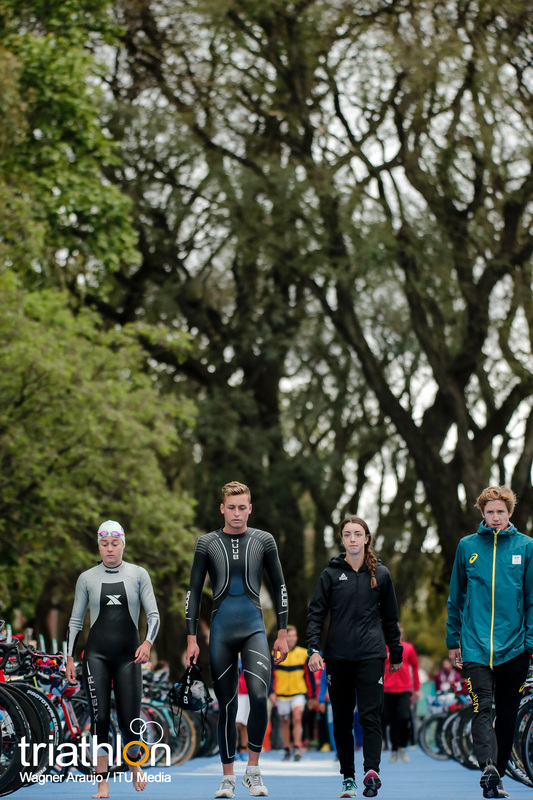 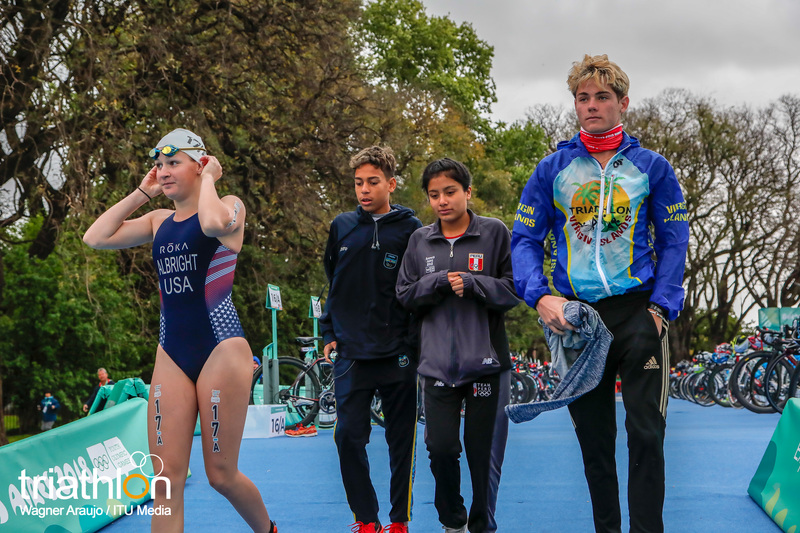 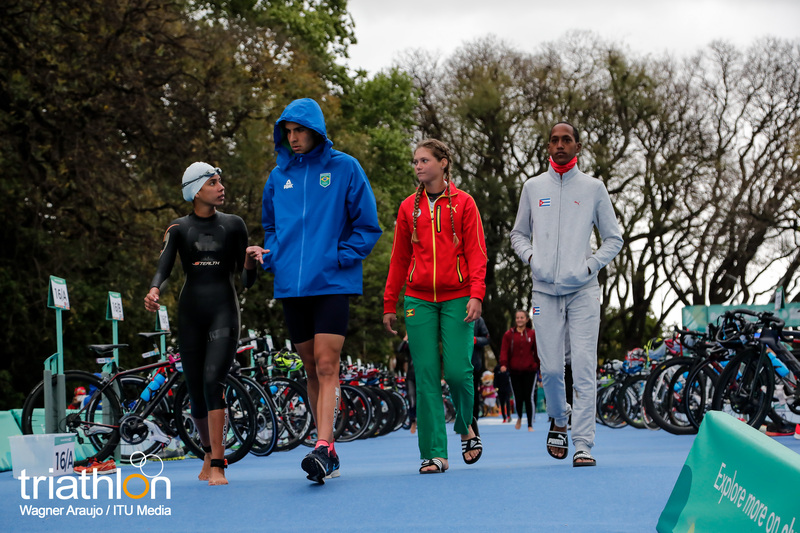 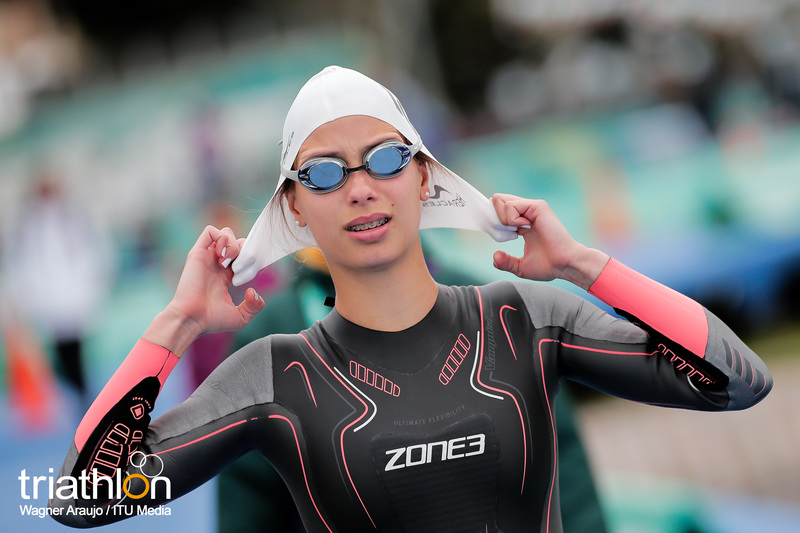 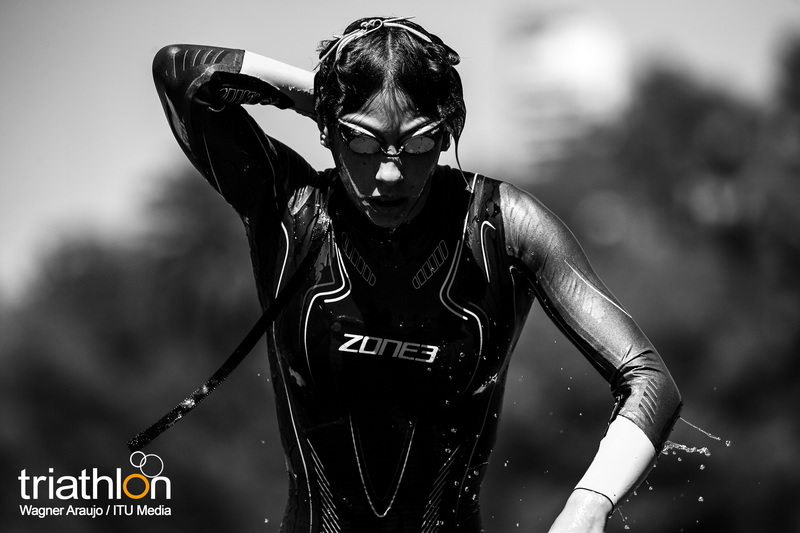 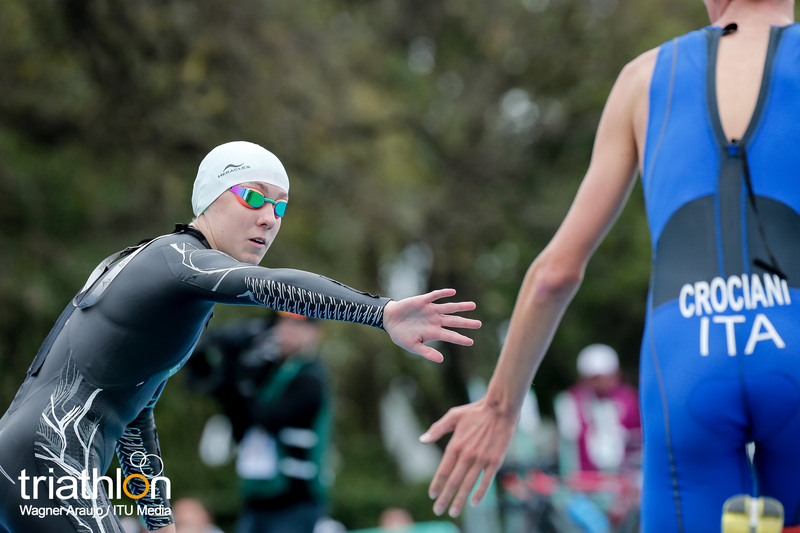 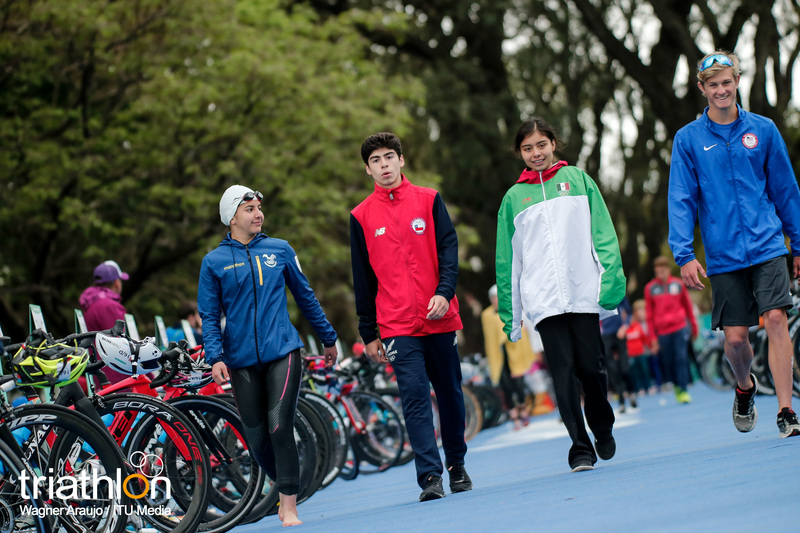 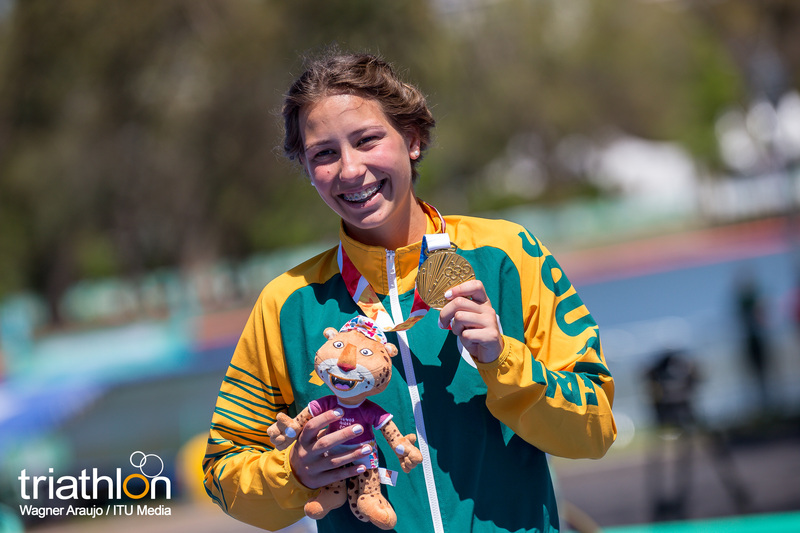 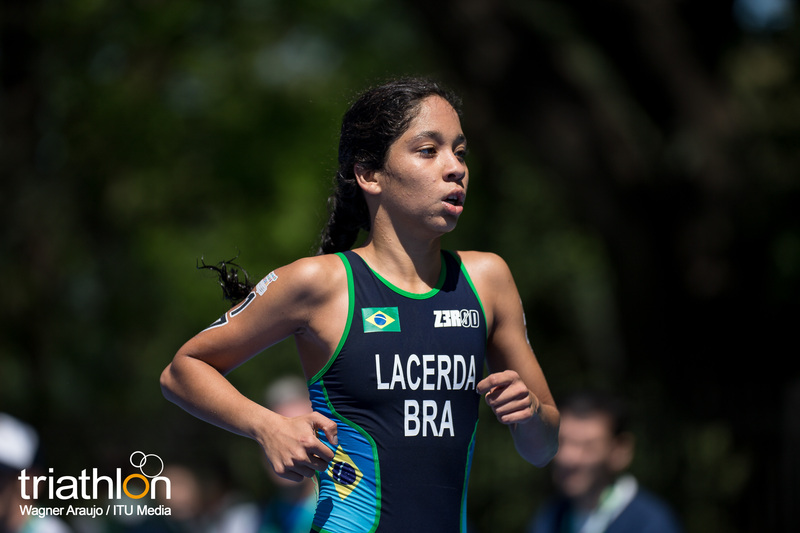 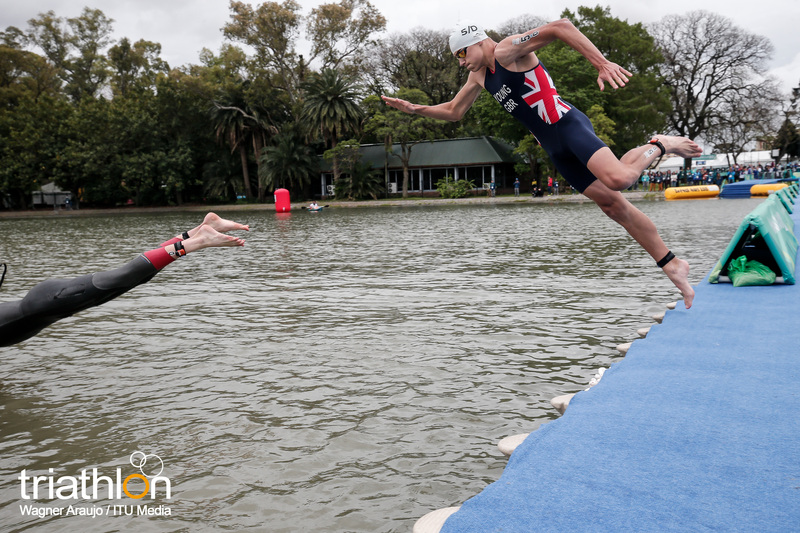 The morning was chilly in Buenos Aires for the Relay, with the water just above 19 degrees and most of the athletes deciding to wear a wetsuit for the 300 meters swim each one of the four members of the Team had to do in Regatas lake. 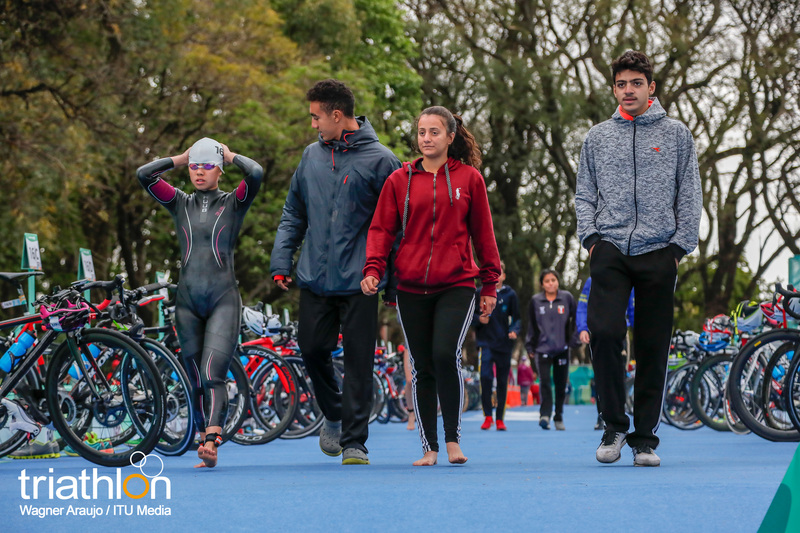 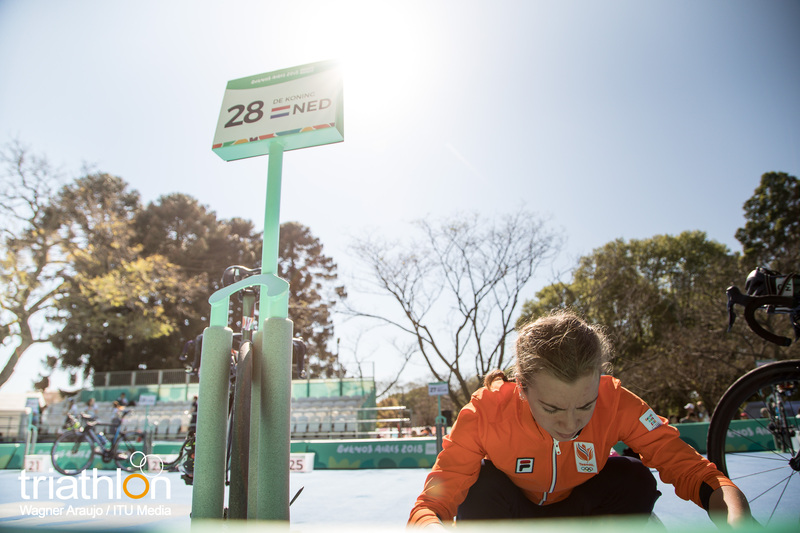 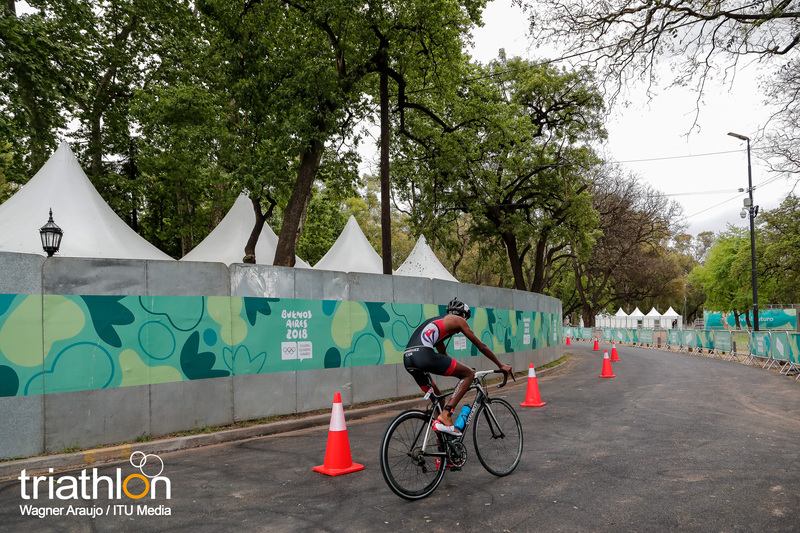 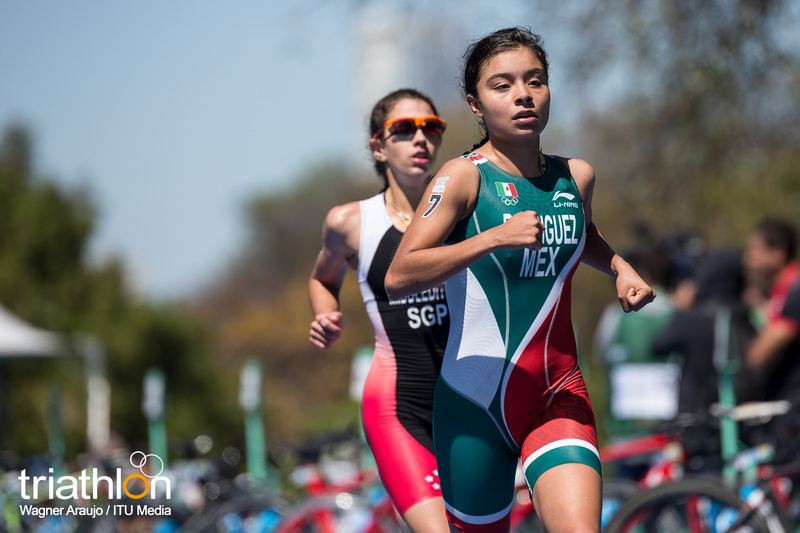 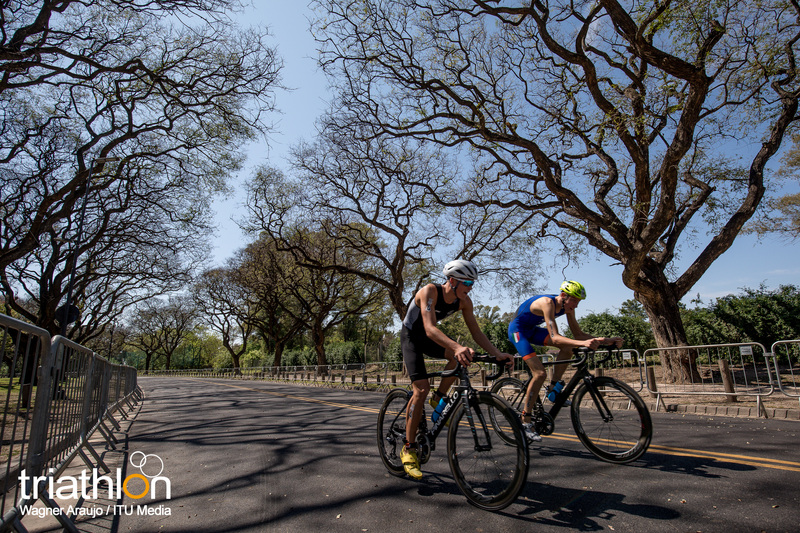 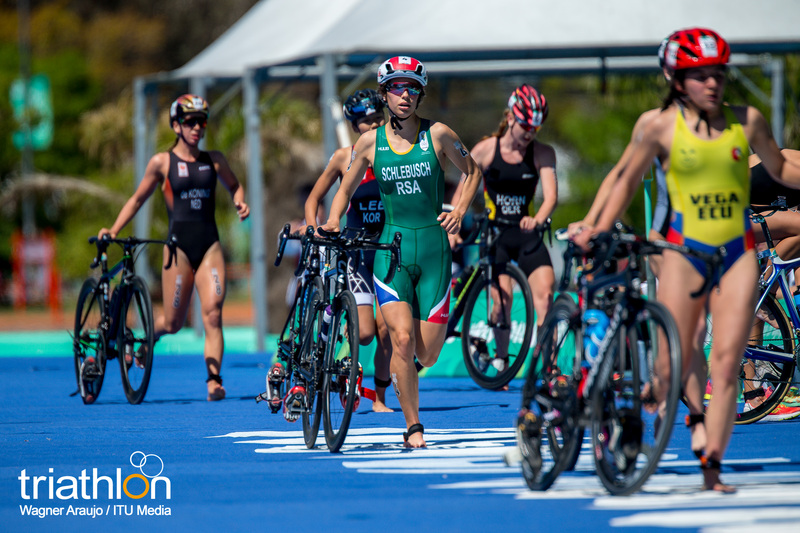 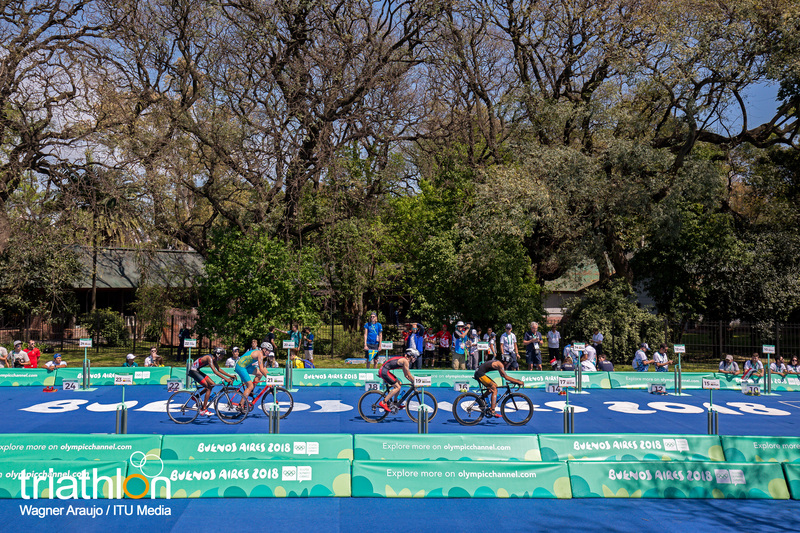 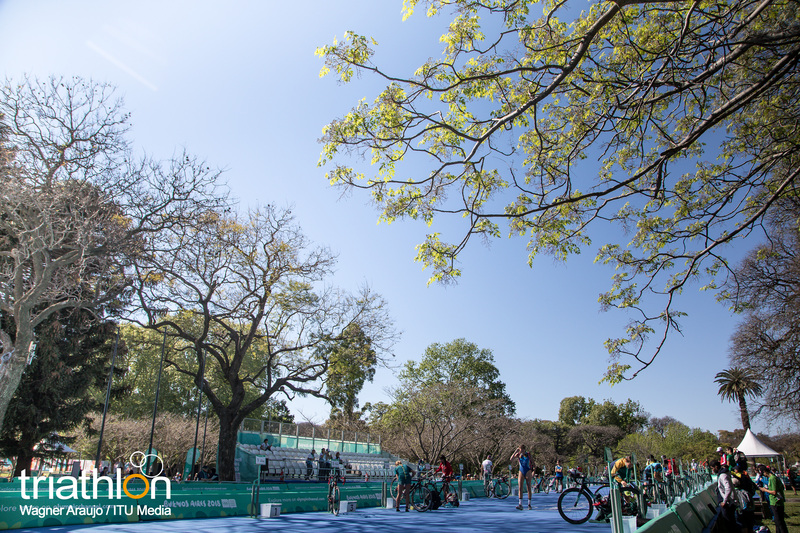 The 64 athletes participating at both individual races -32 men and 32 women- were paired up with teammates from their same continent, based on the results of the individual races, to have a total of 16 teams lining up for the start. 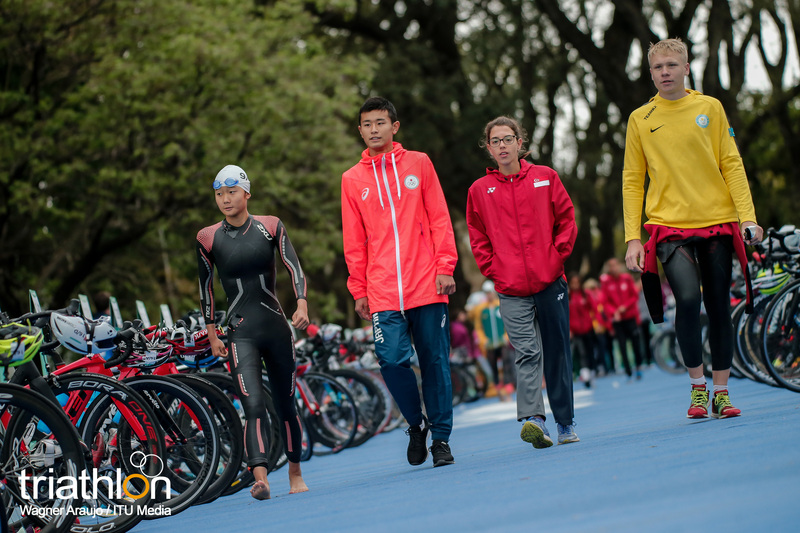 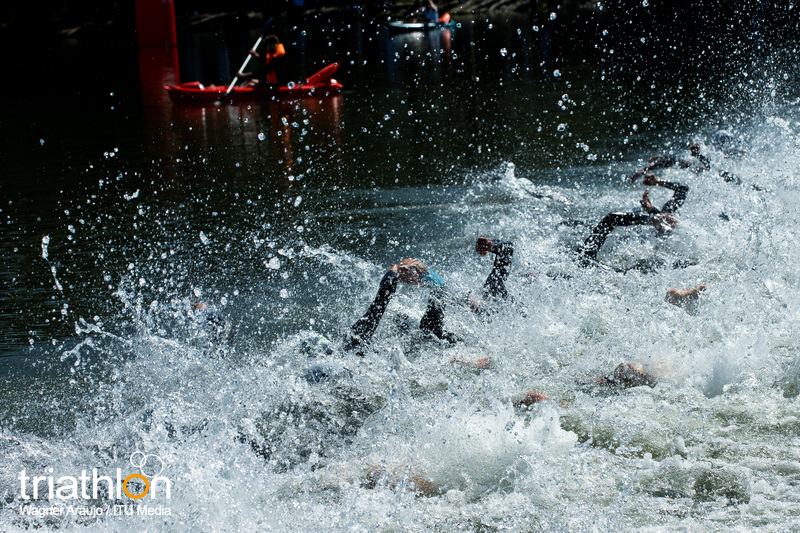 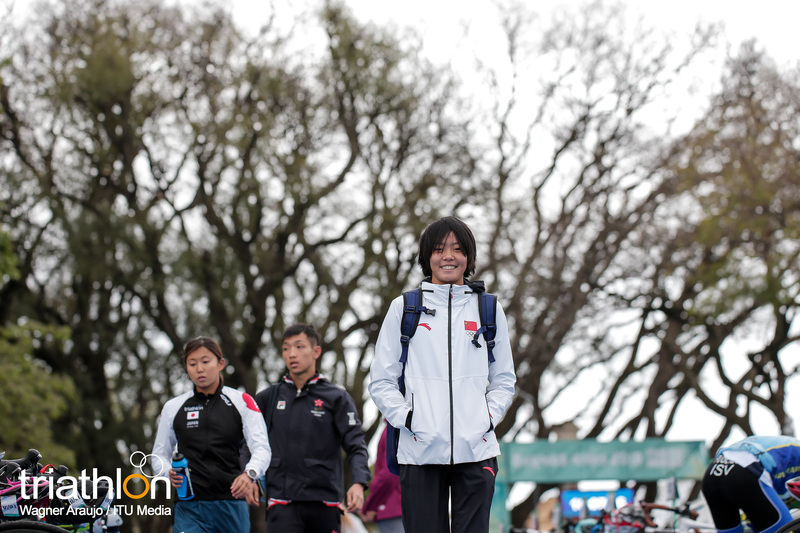 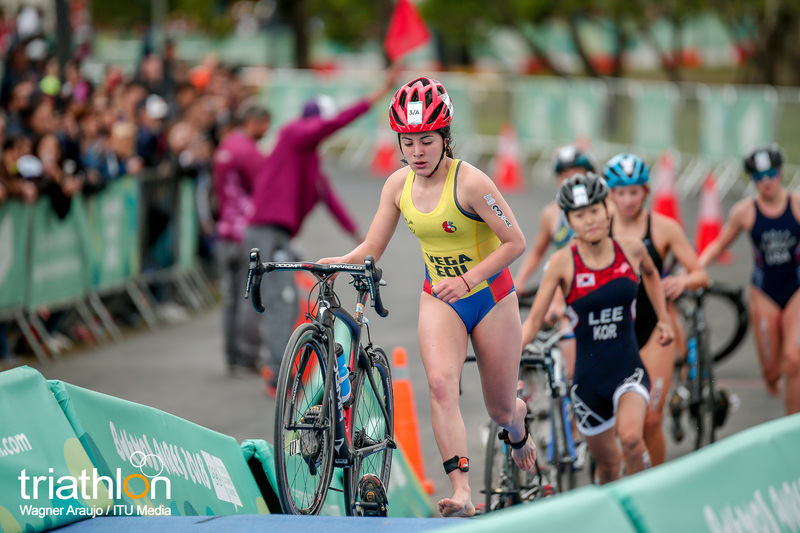 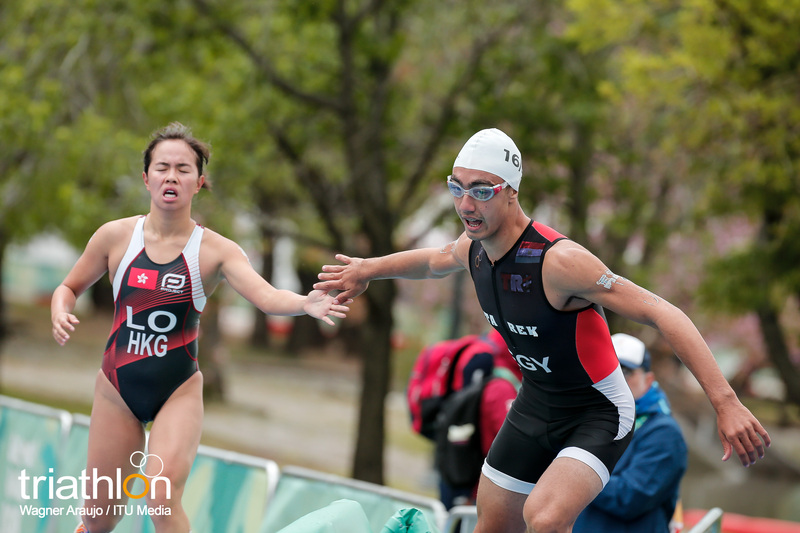 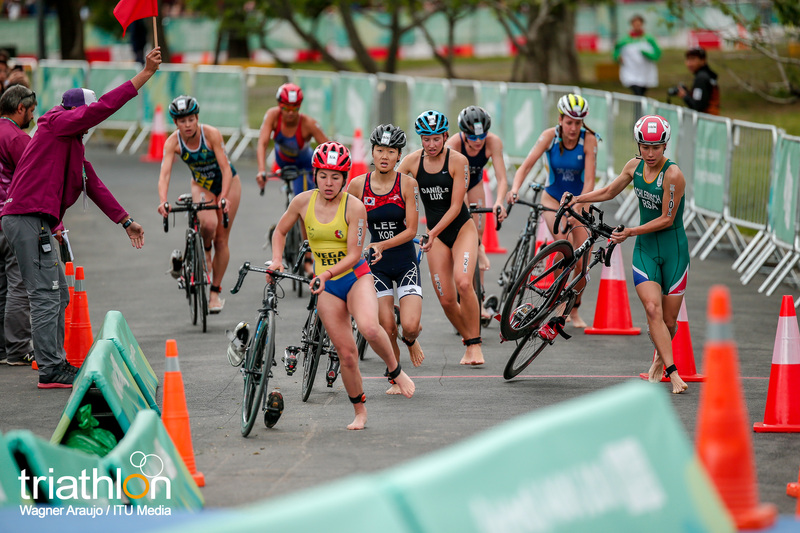 And in the first leg, it was again Maki Uchida, from Japan, in Asia II, who had a splendid swim, enough to take her out of the water in first place. 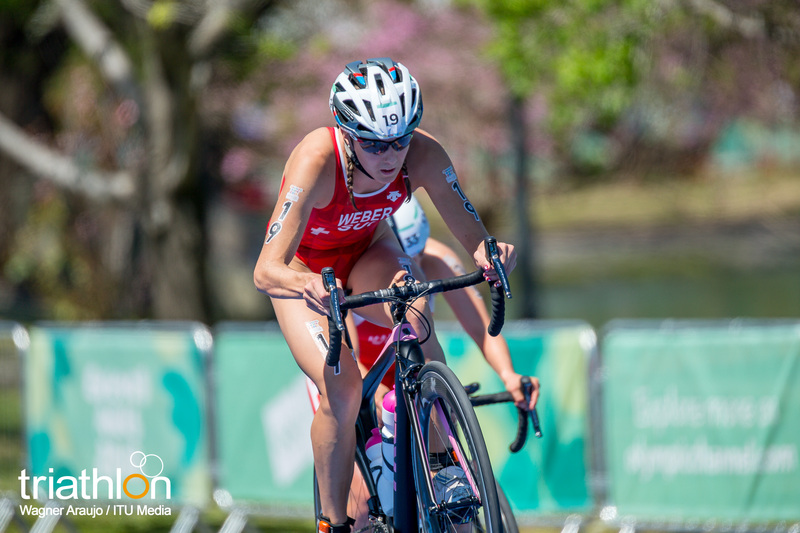 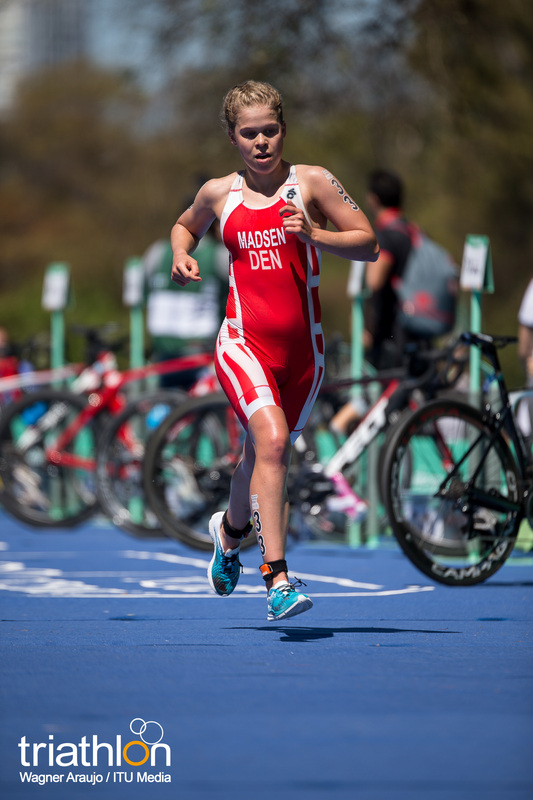 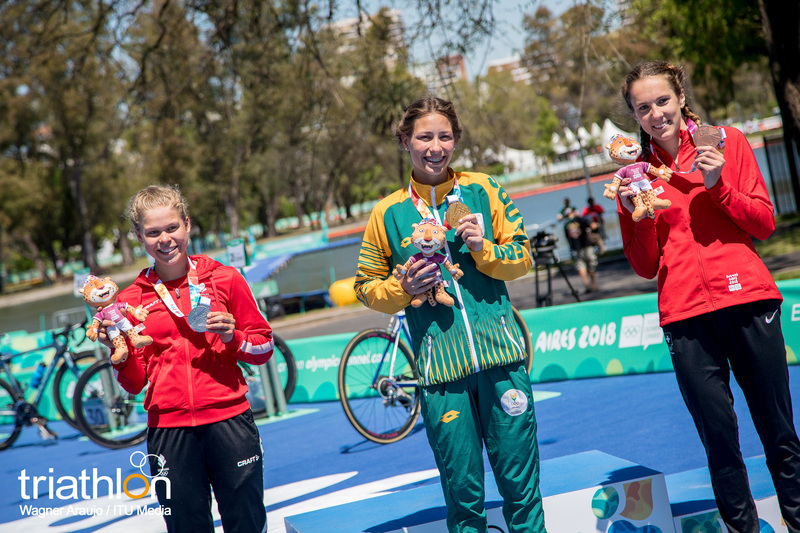 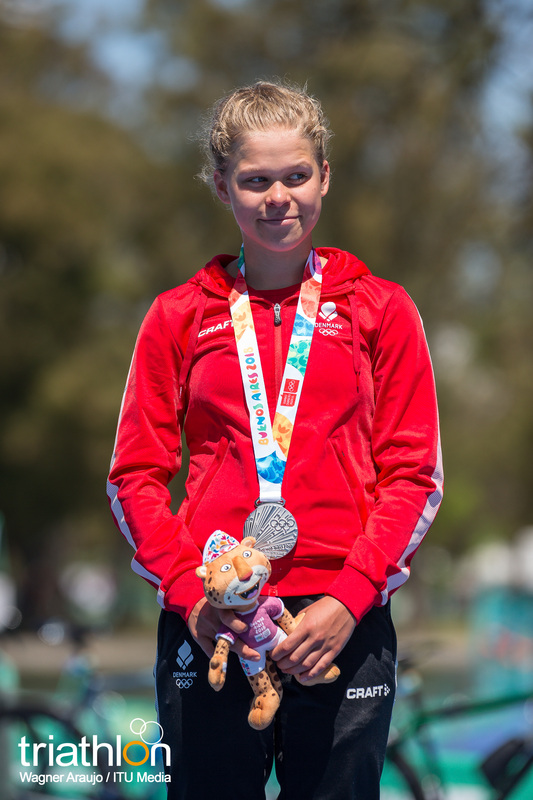 her lead didn’t last long, though, as Dannish and silver medallist in the individual race Sif Bendix, in Europe I, quickly passed all the athletes to open up a breach in the bike course that will continue for the rest of the day. 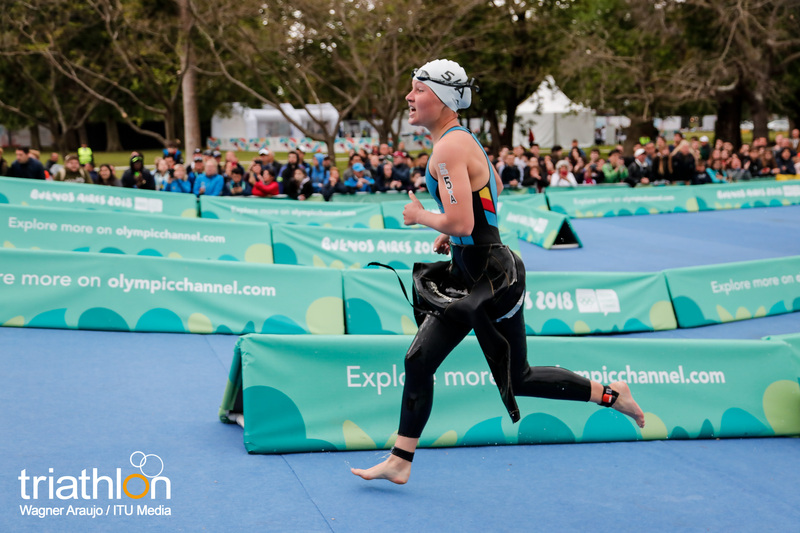 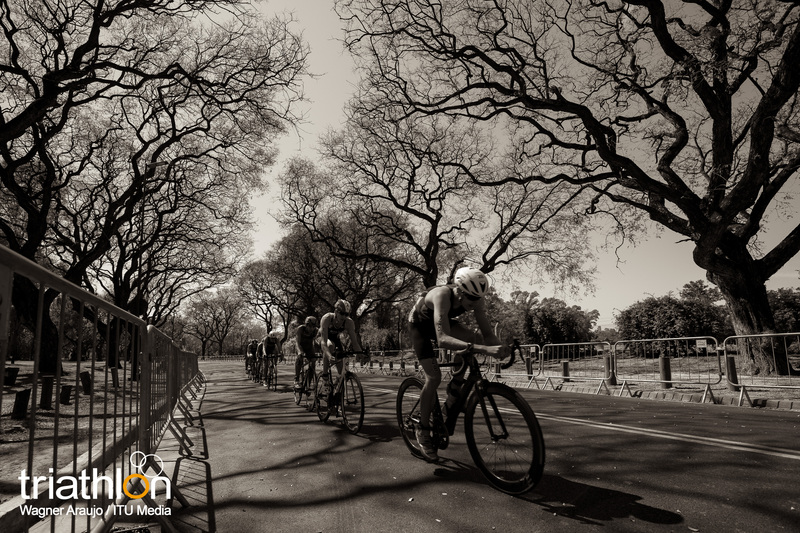 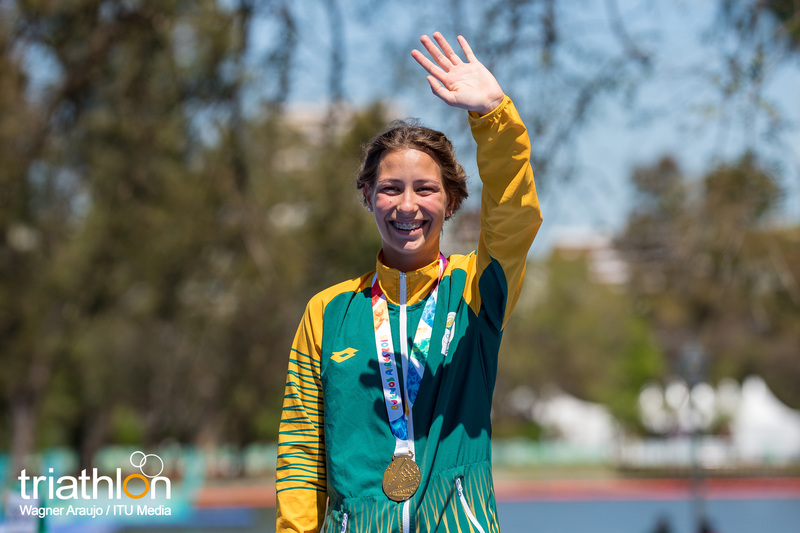 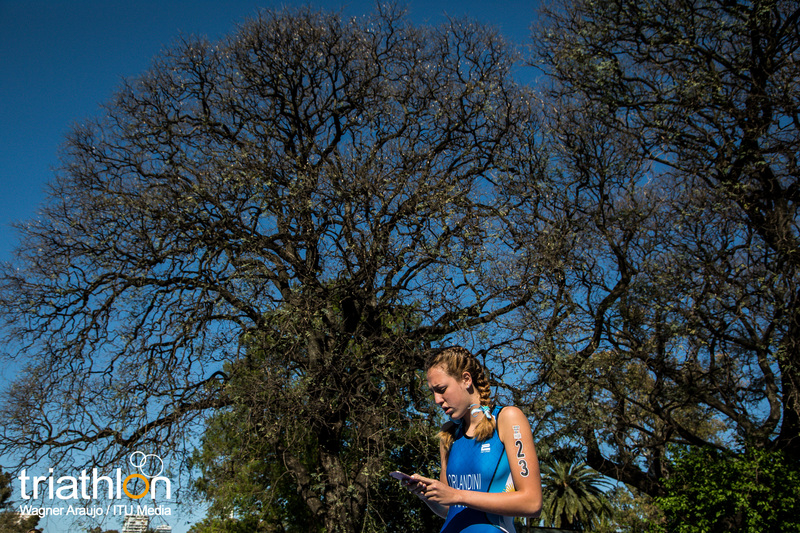 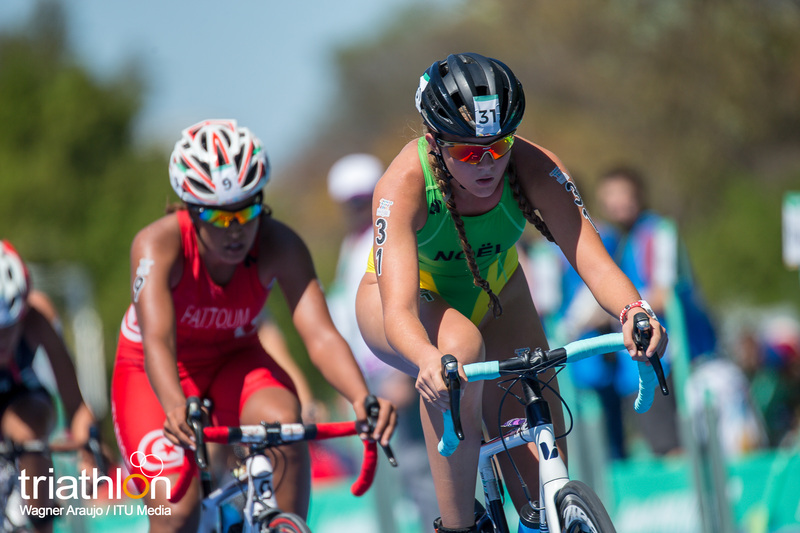 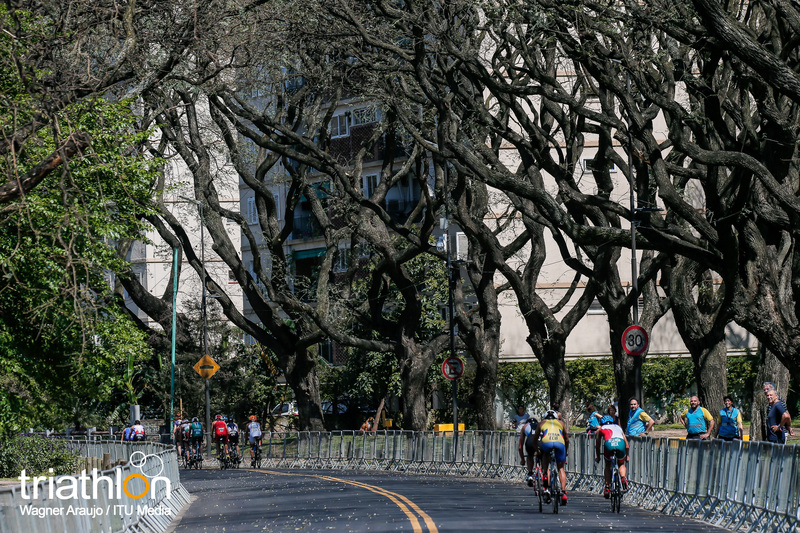 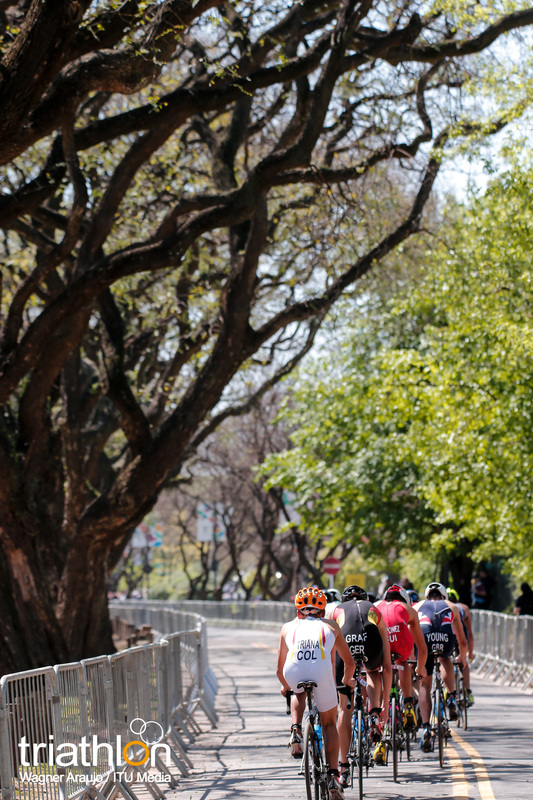 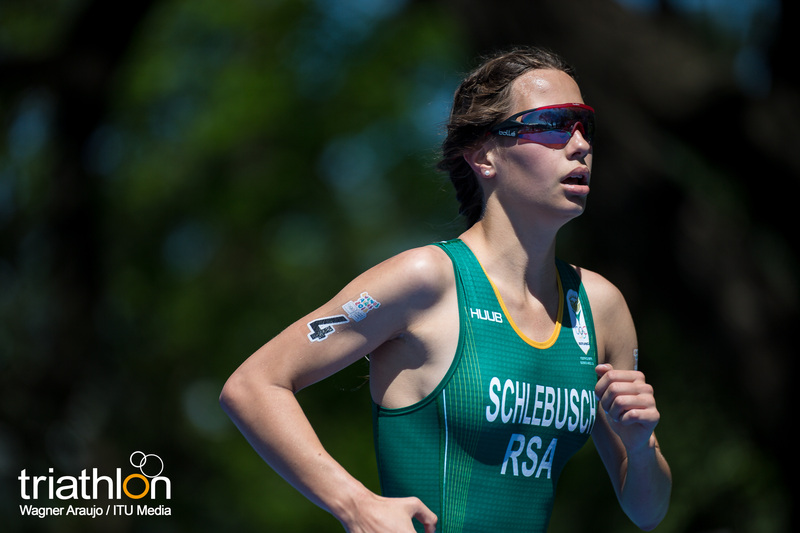 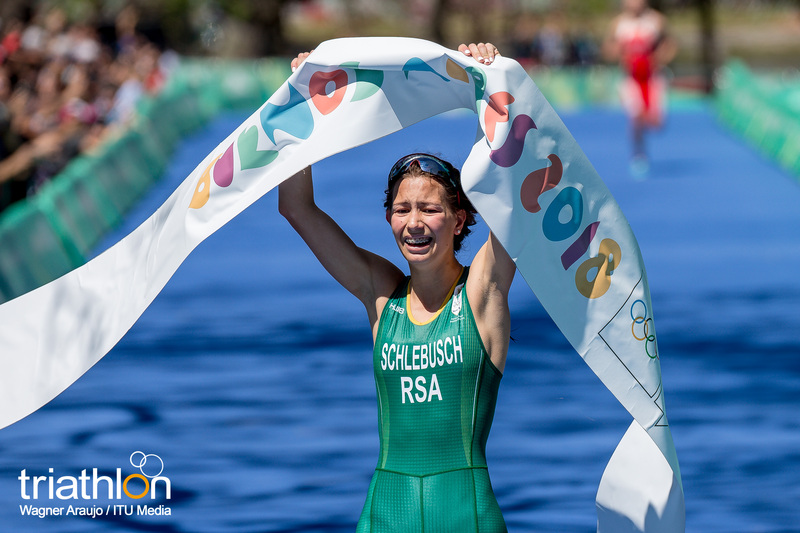 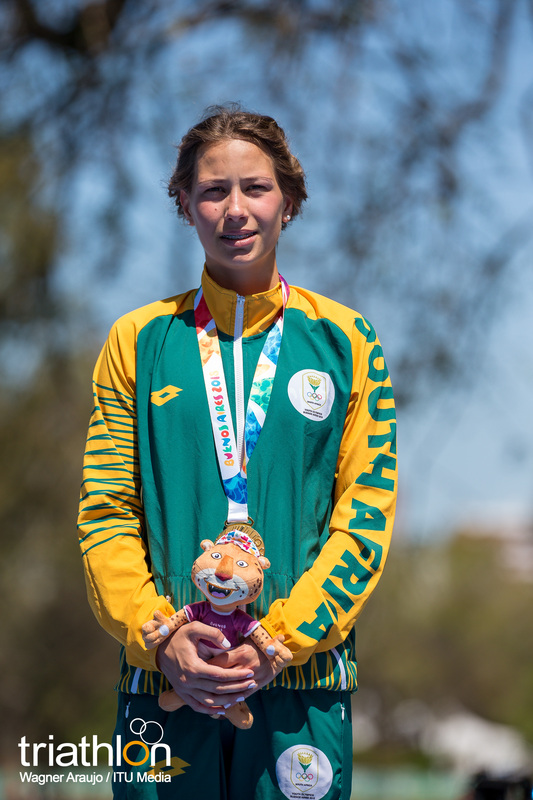 It was clear during the first kilometers that only Amber Schelembush (RSA), in Africa I, and Charlotte Derbyshire (AUS), in Oceania I, were able to follow her. 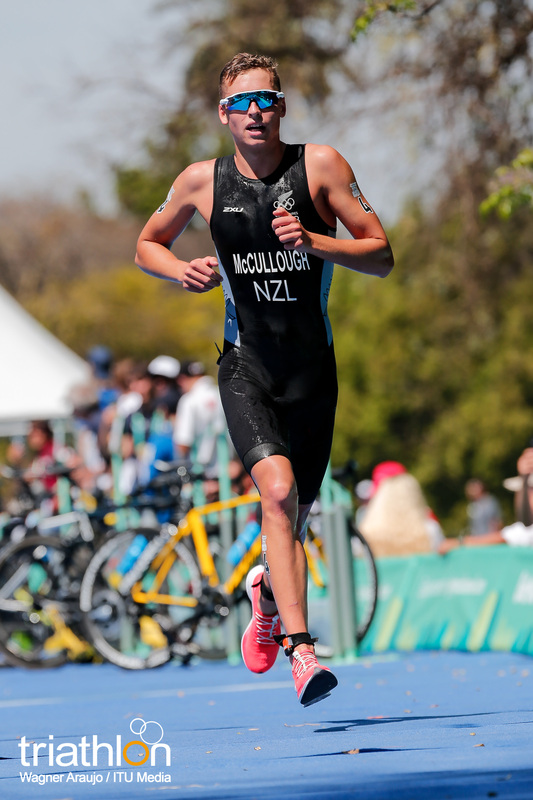 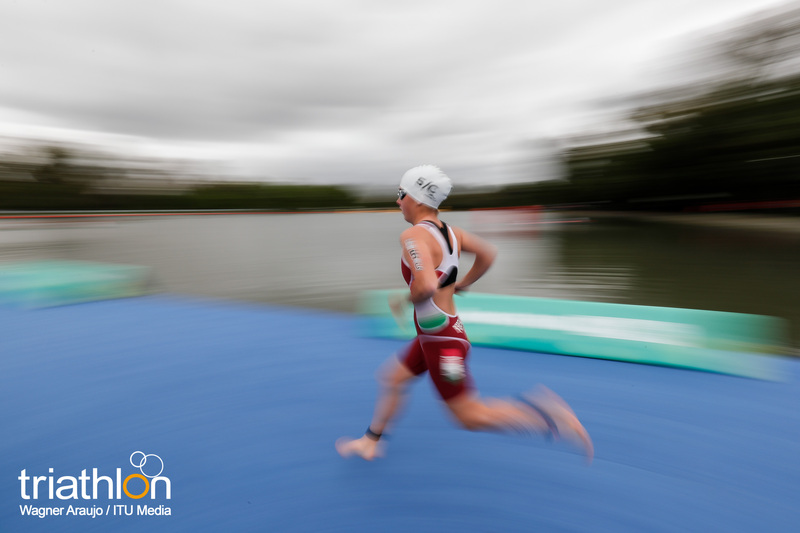 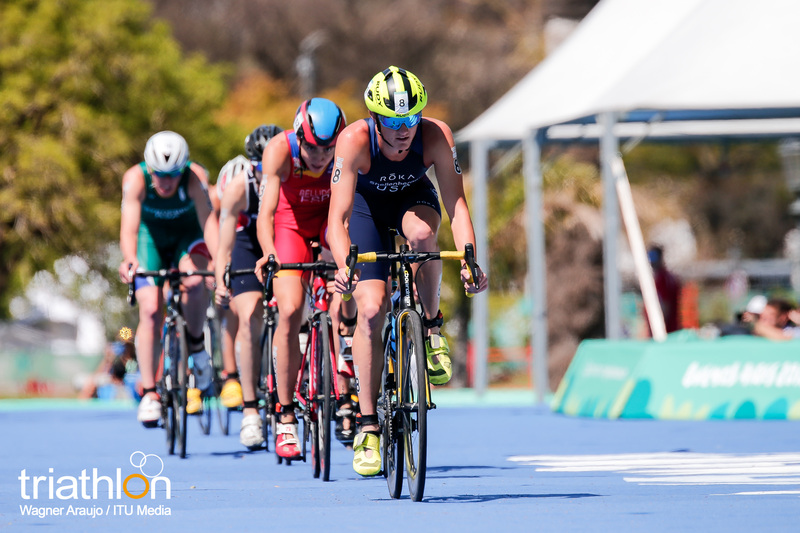 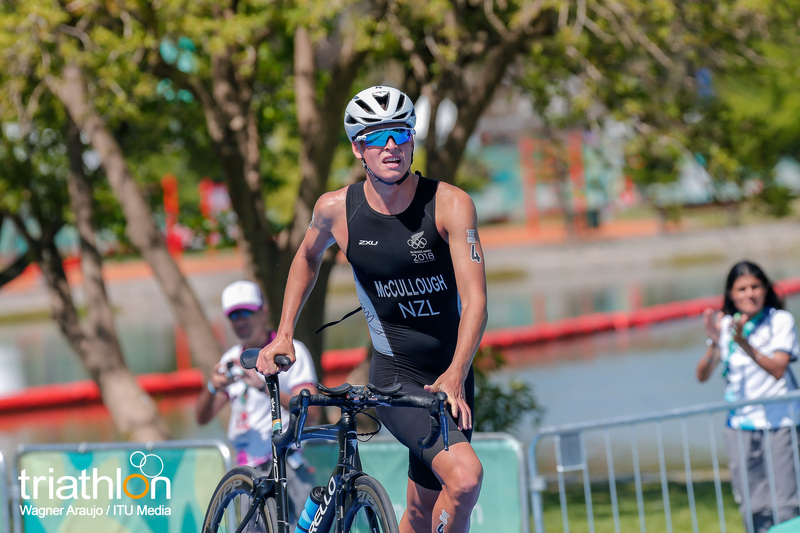 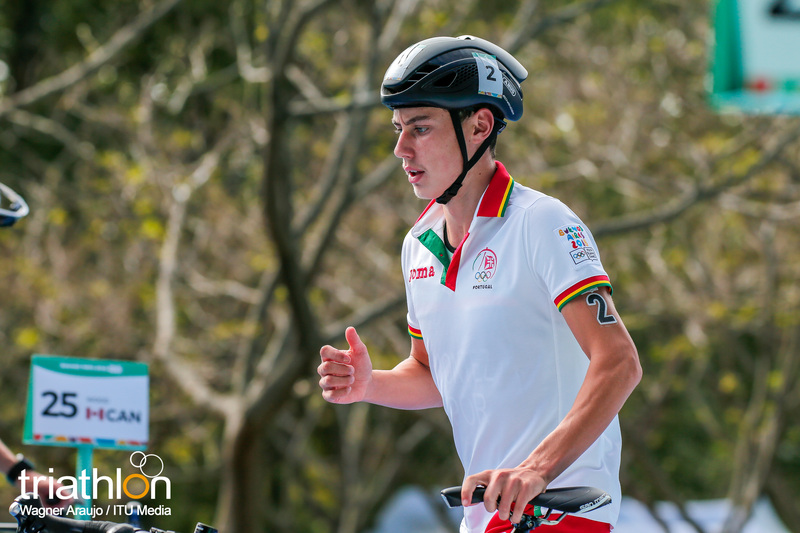 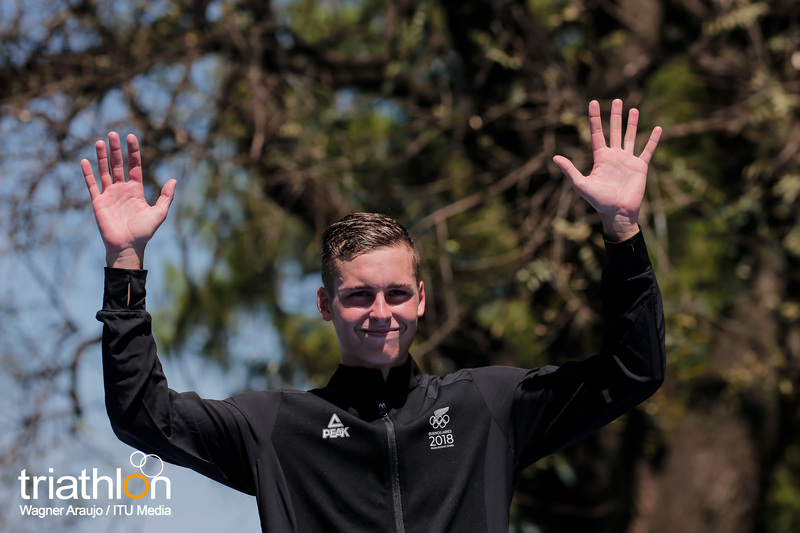 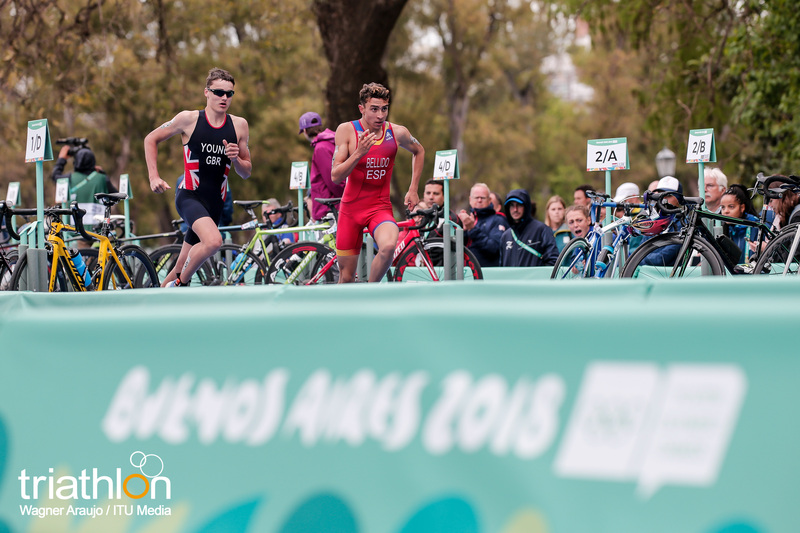 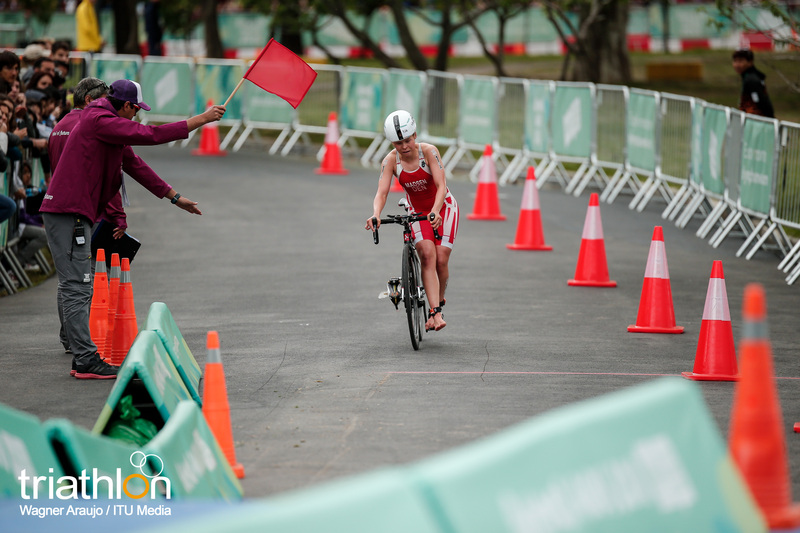 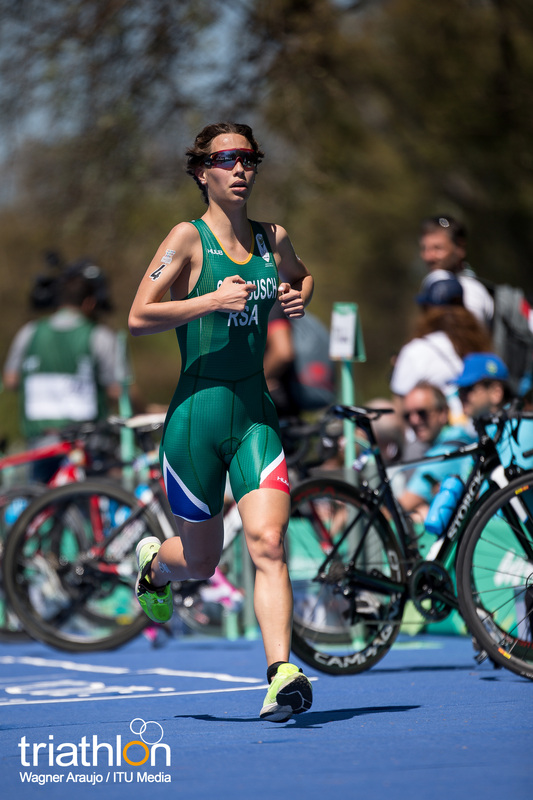 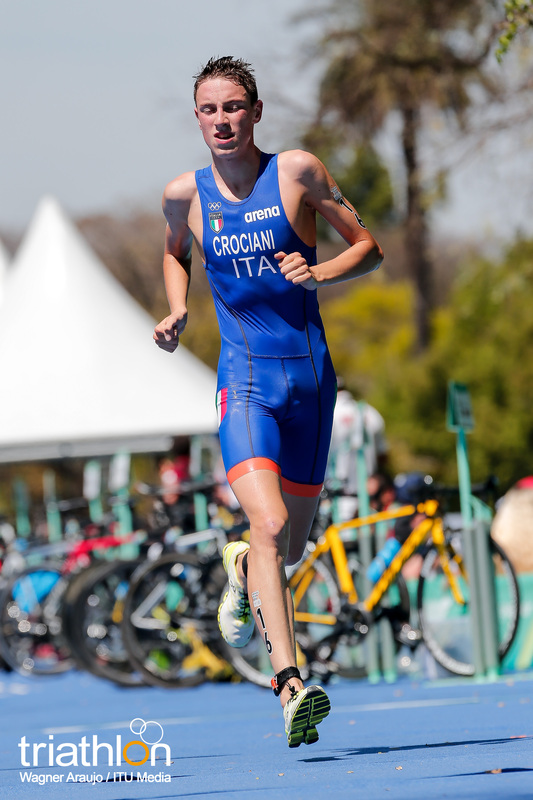 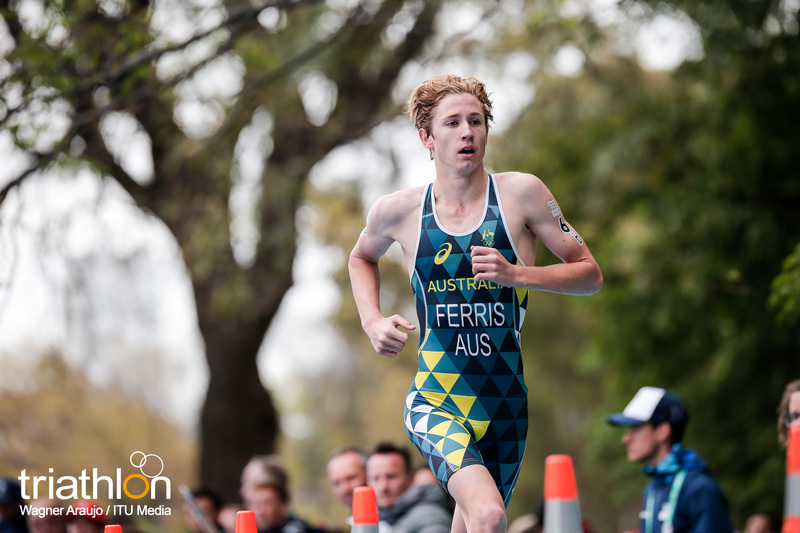 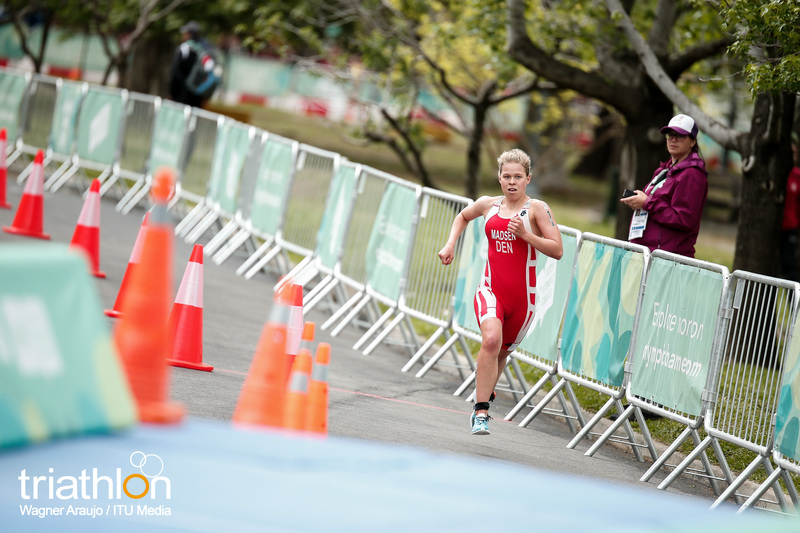 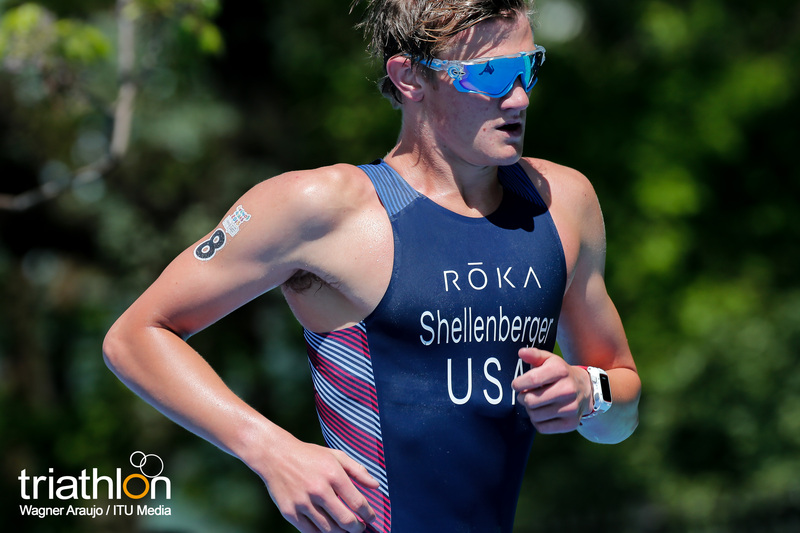 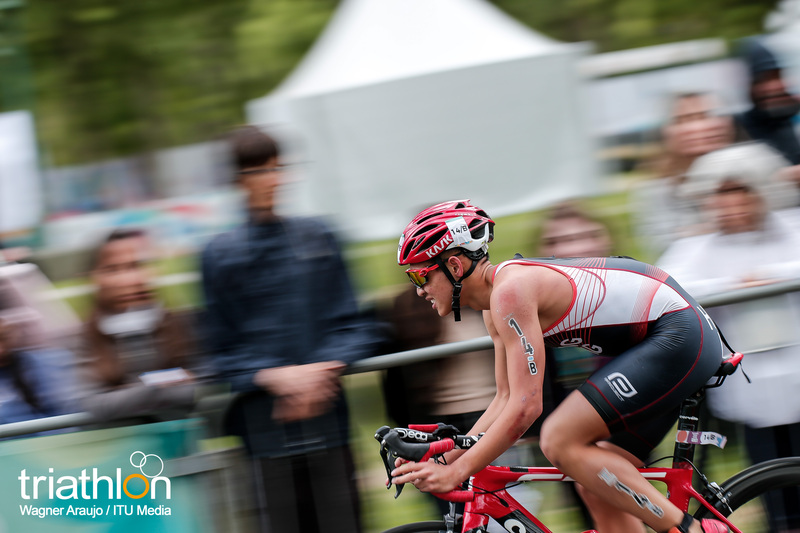 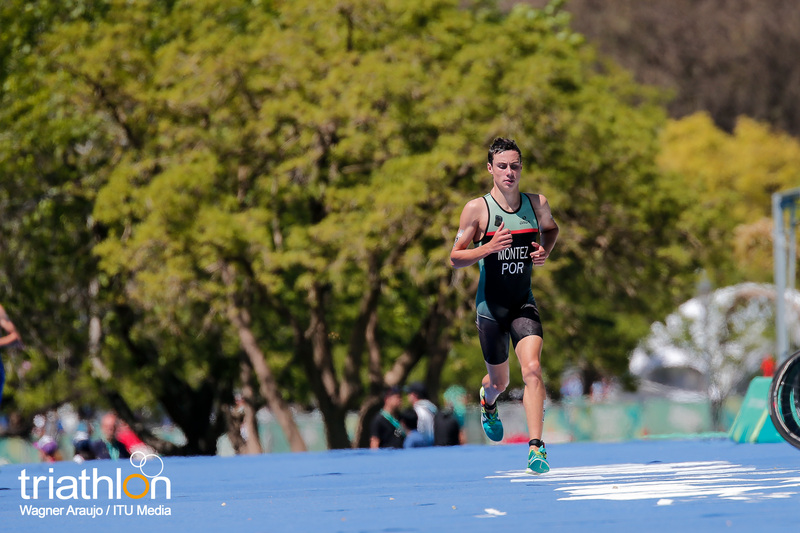 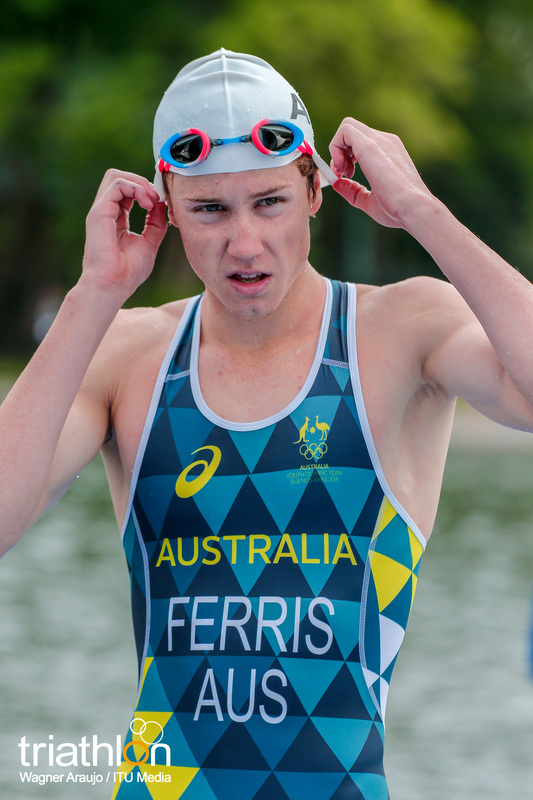 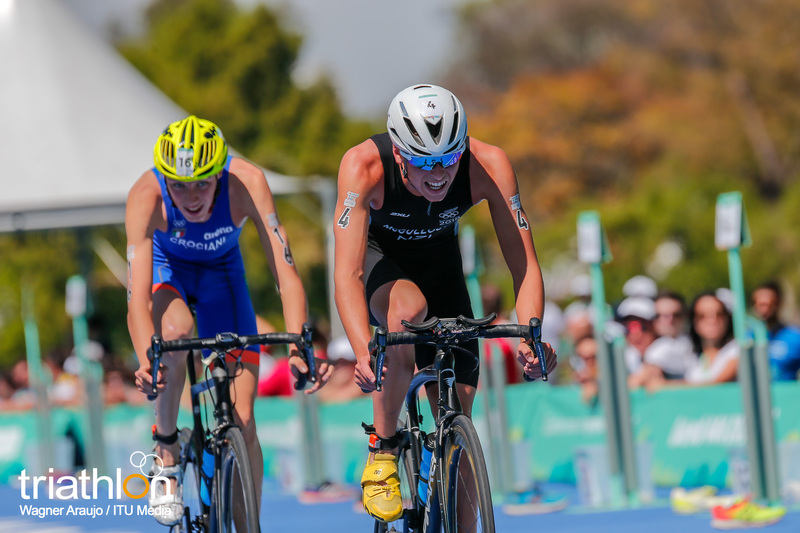 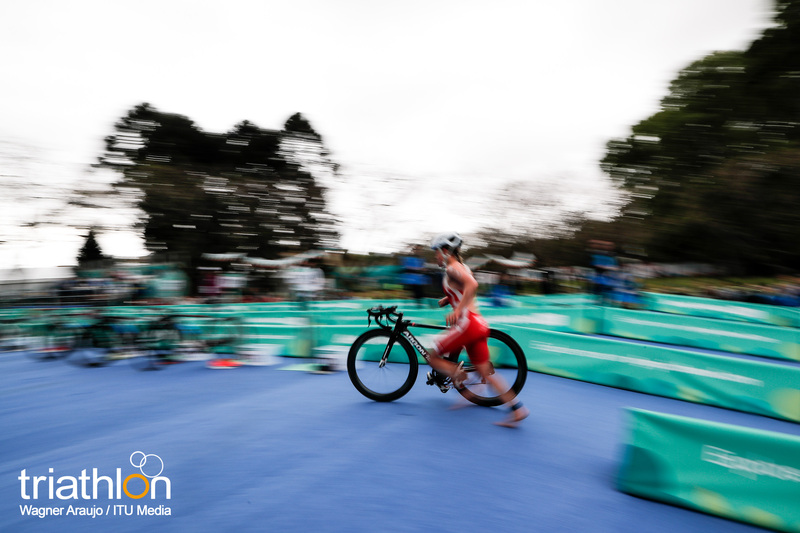 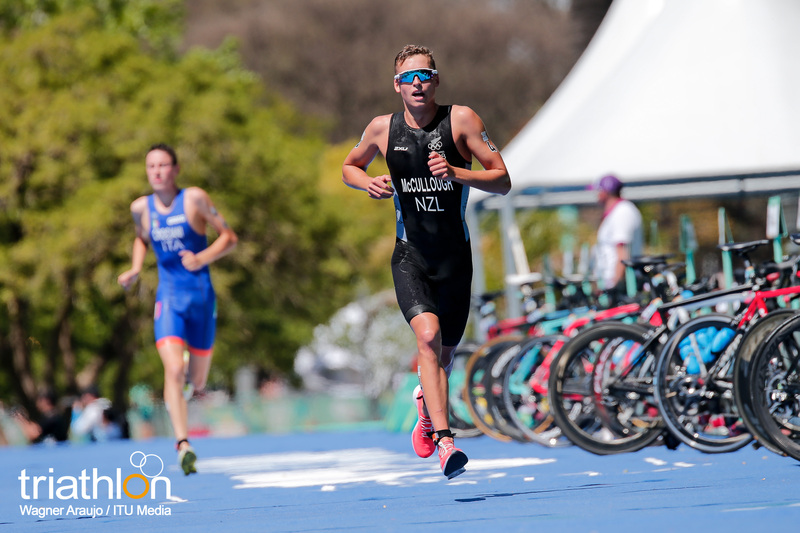 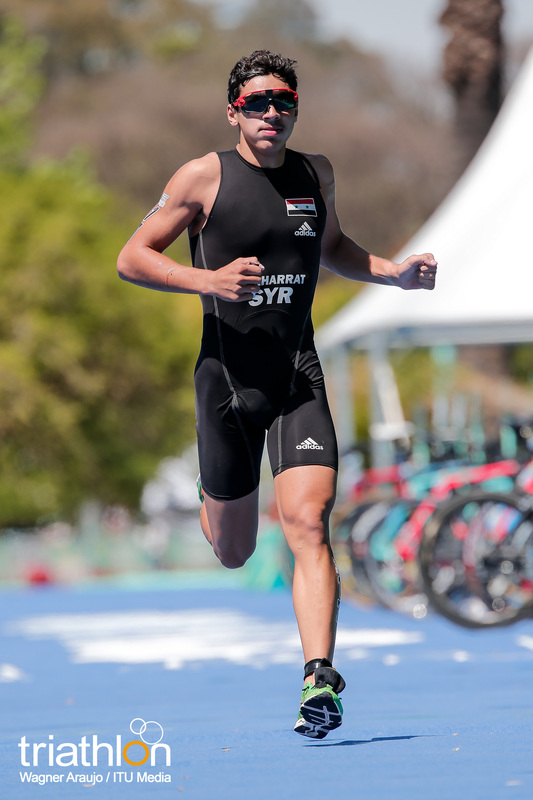 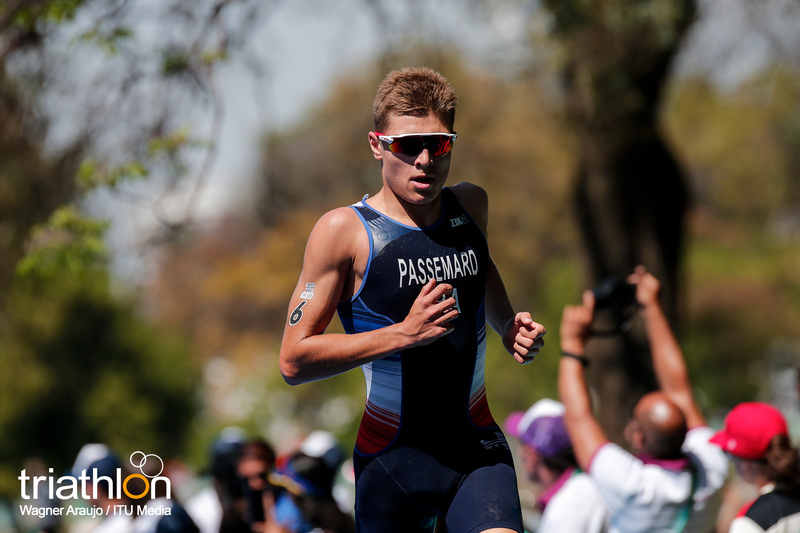 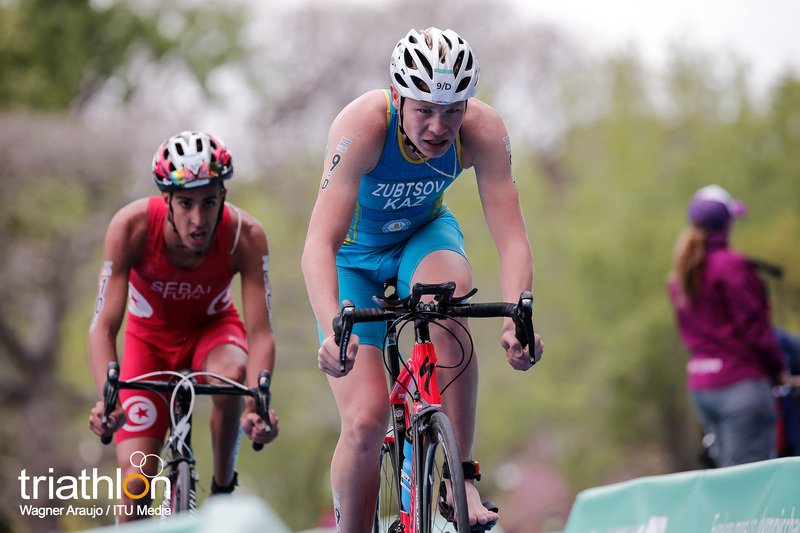 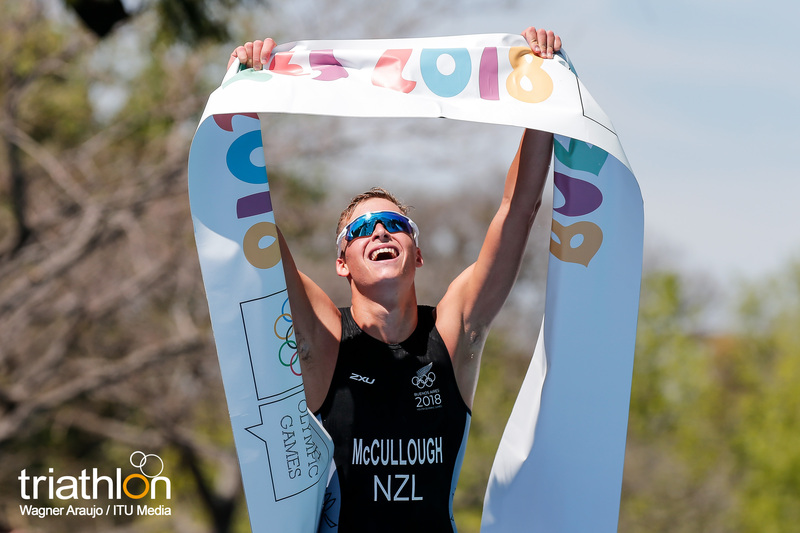 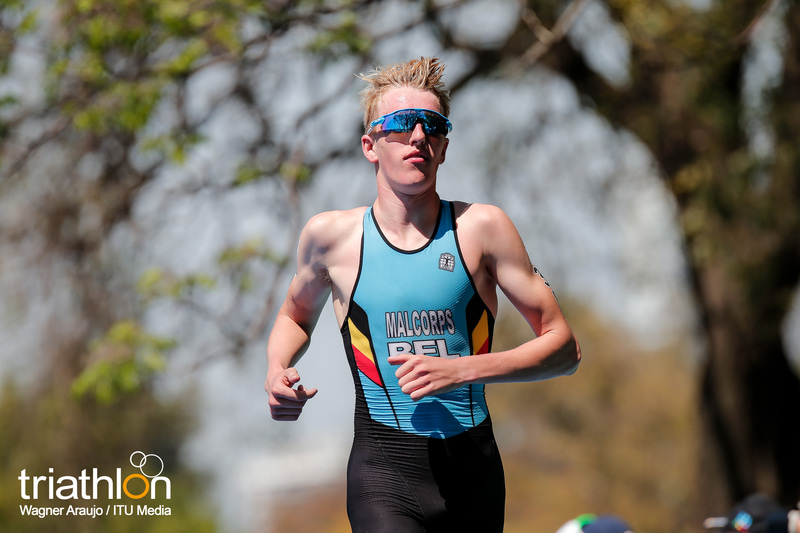 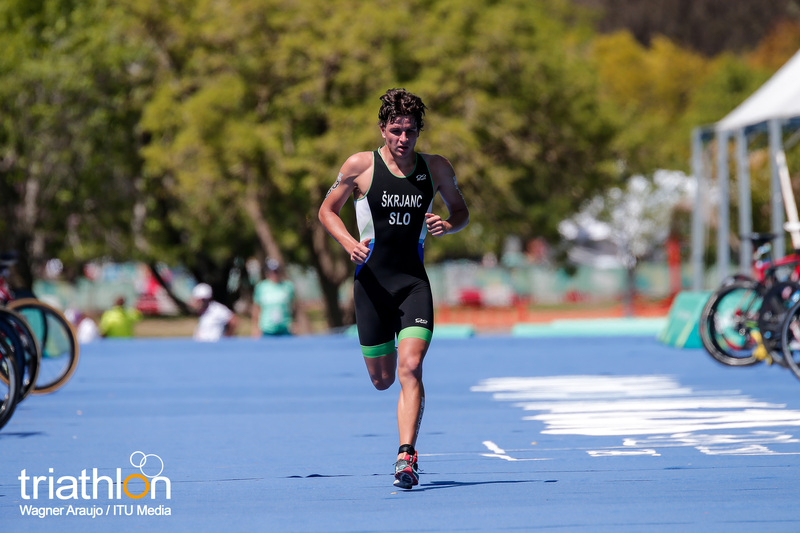 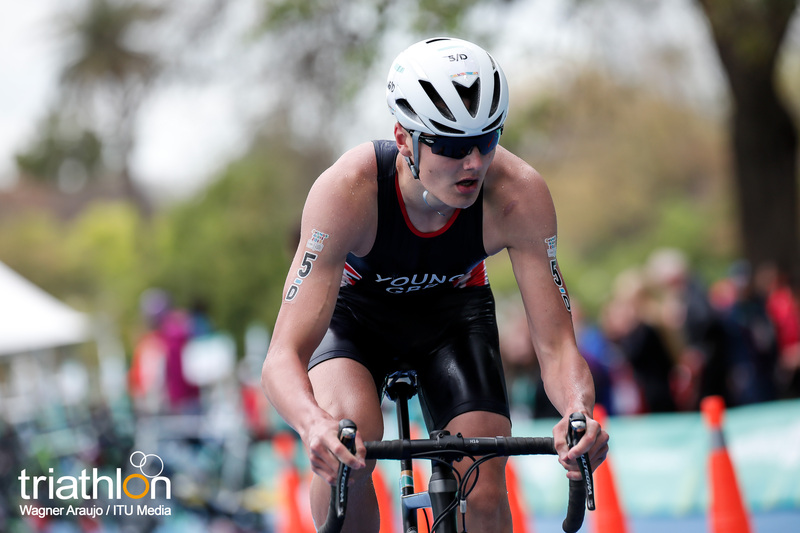 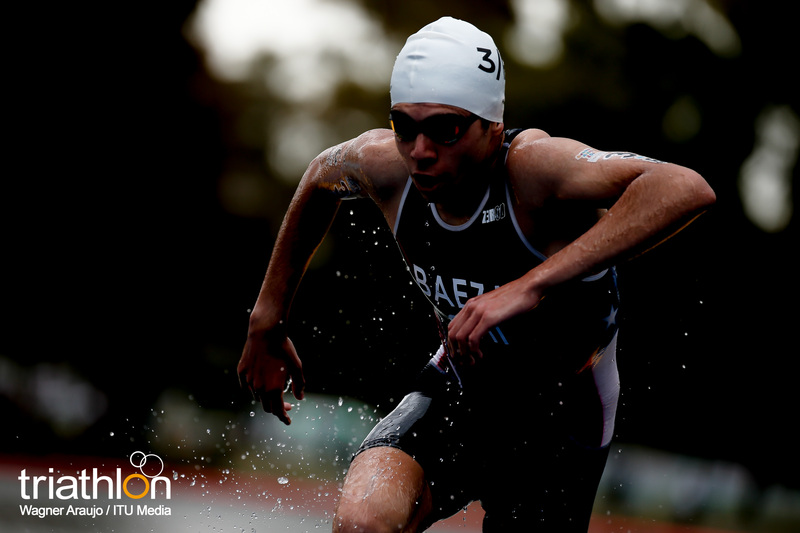 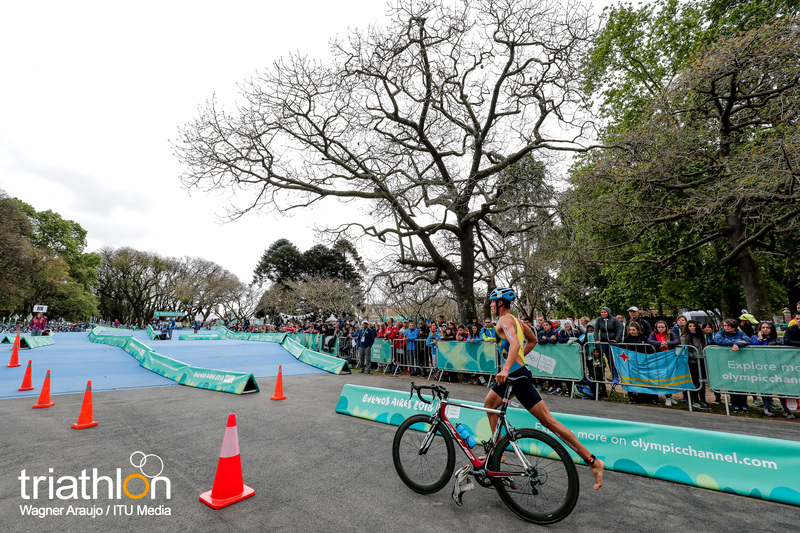 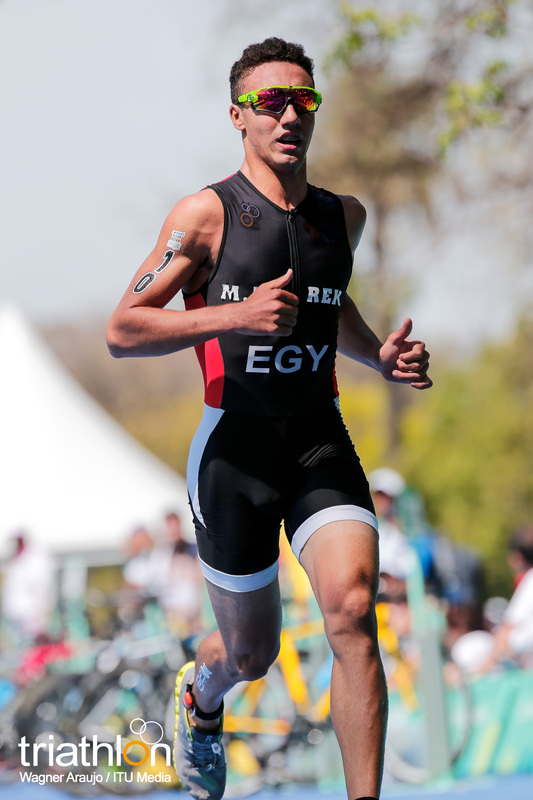 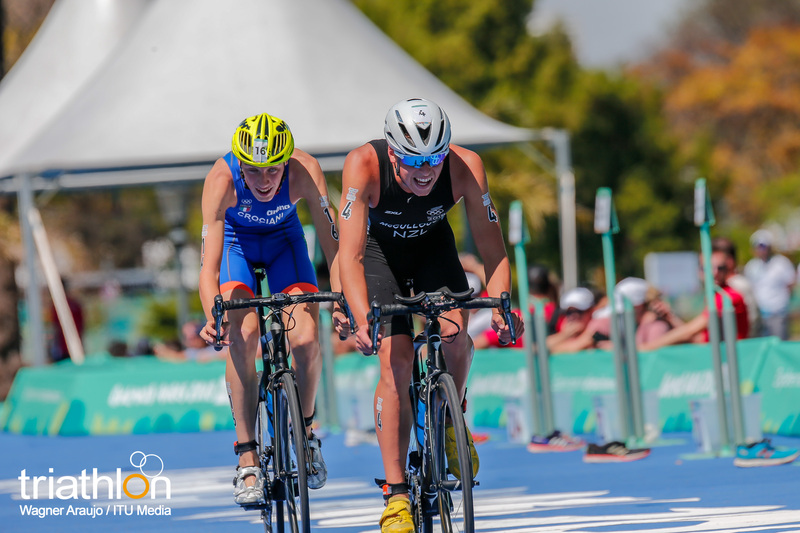 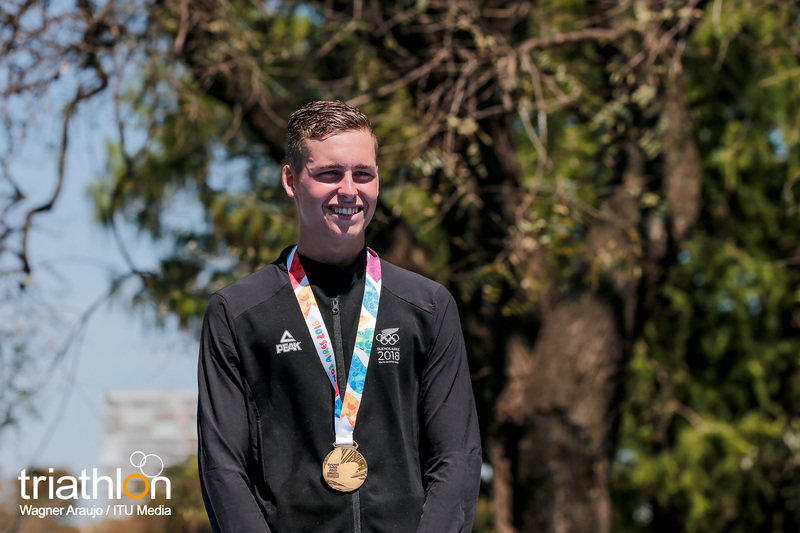 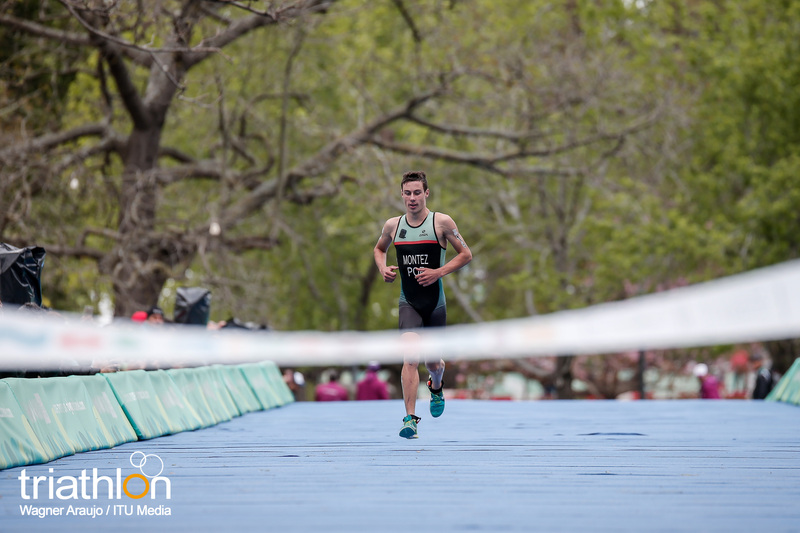 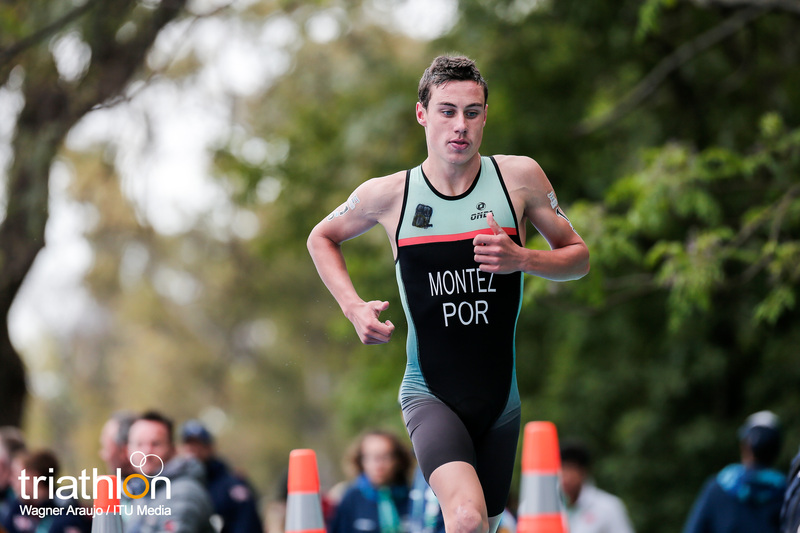 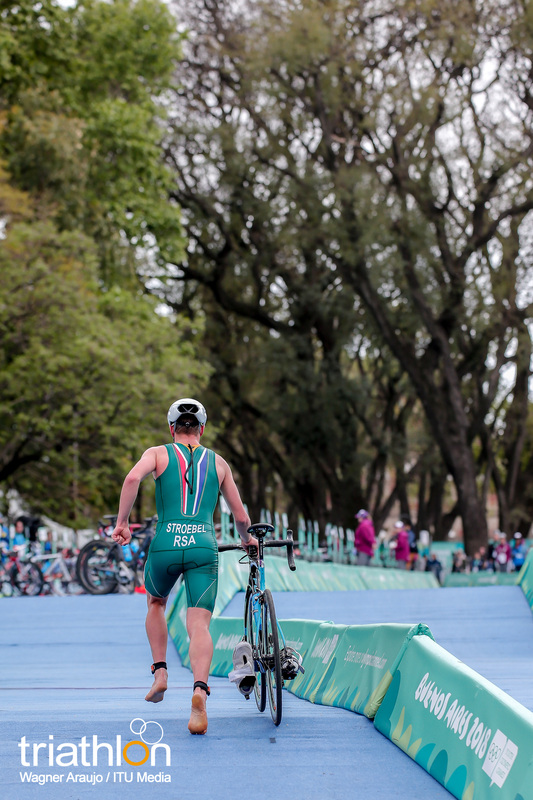 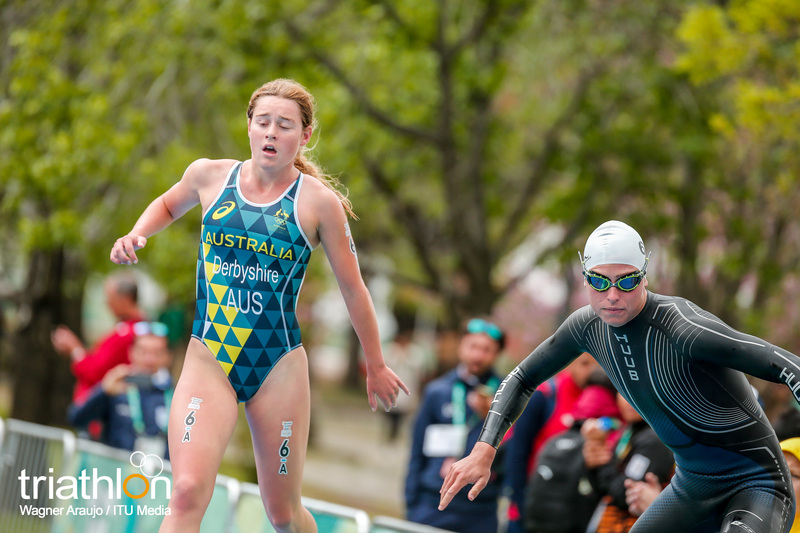 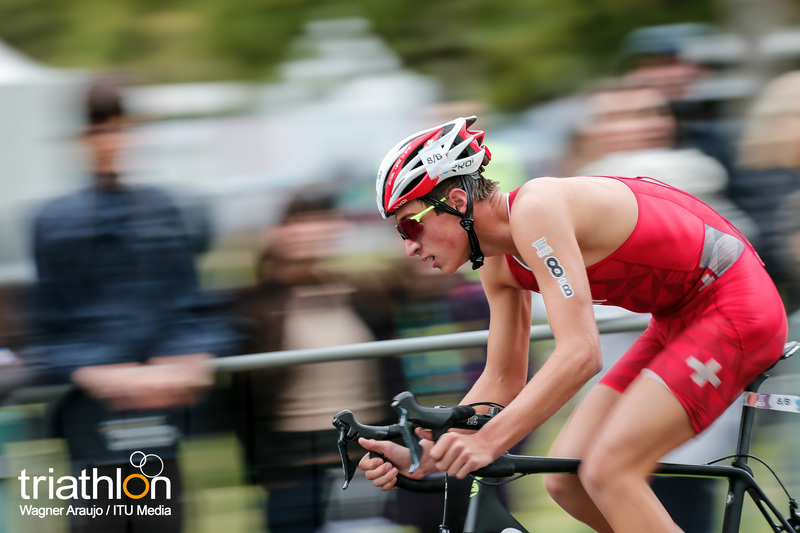 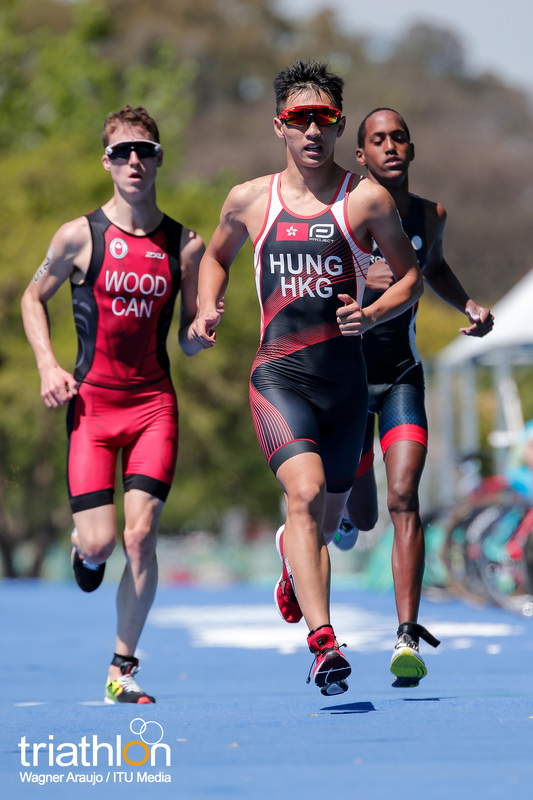 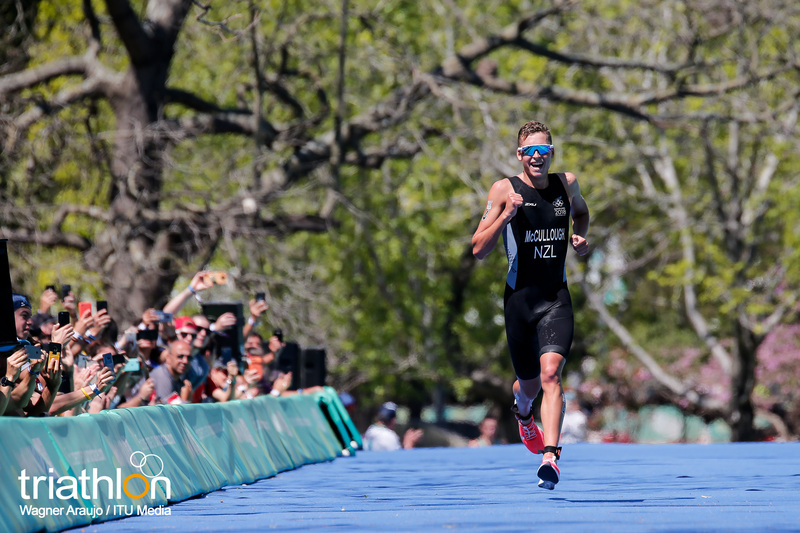 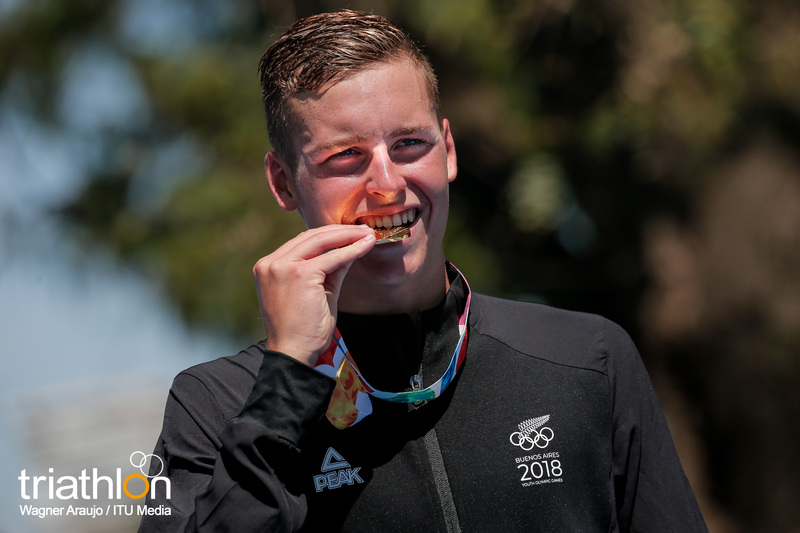 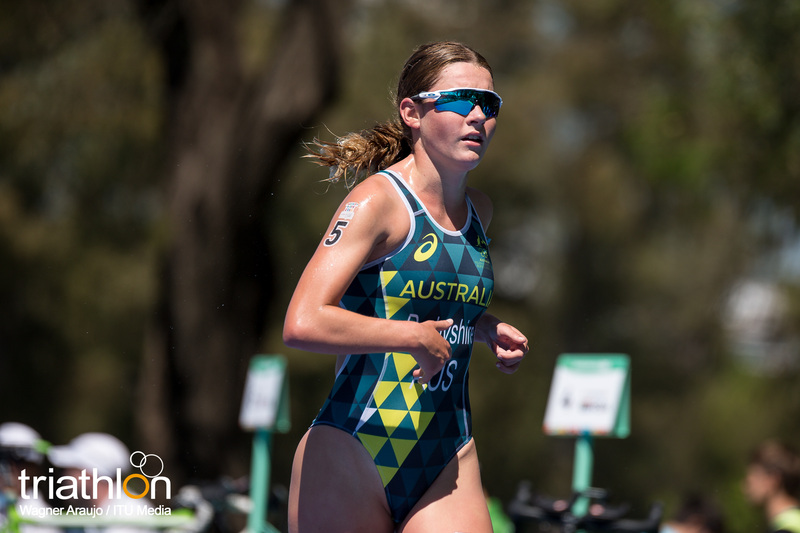 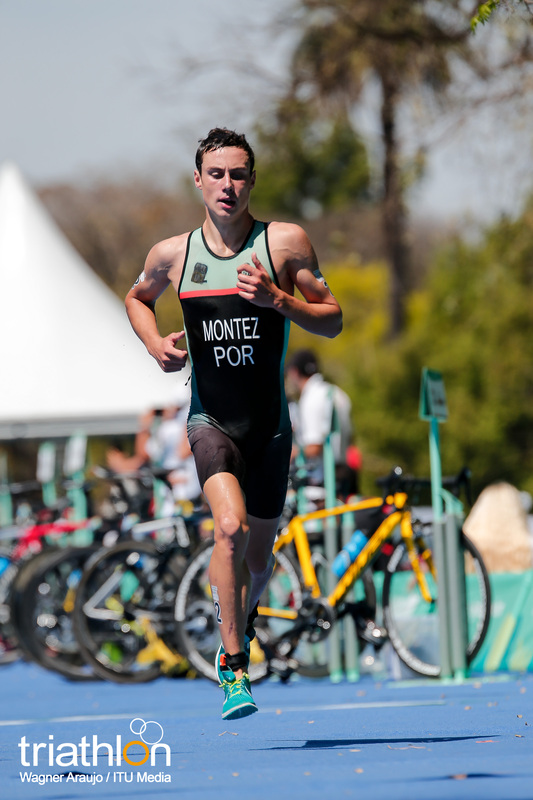 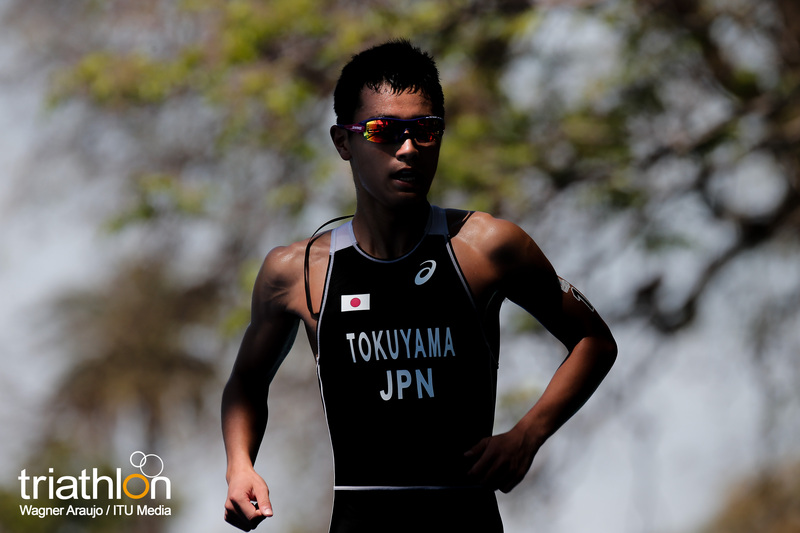 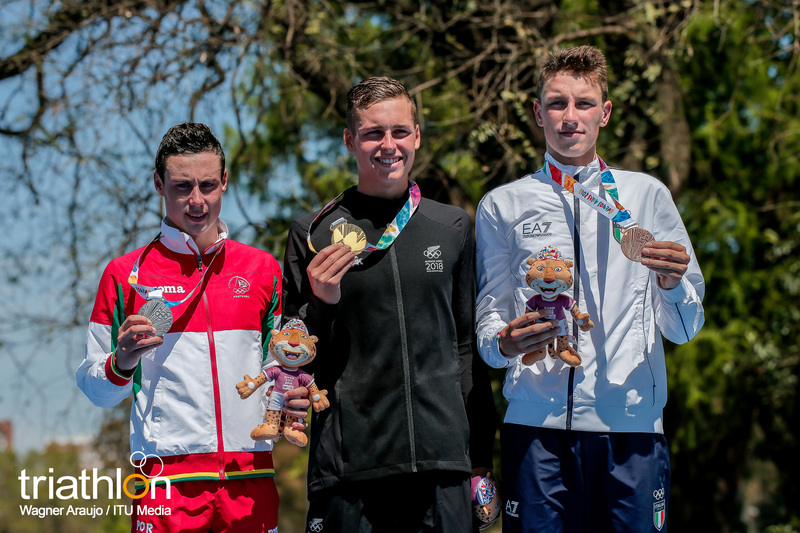 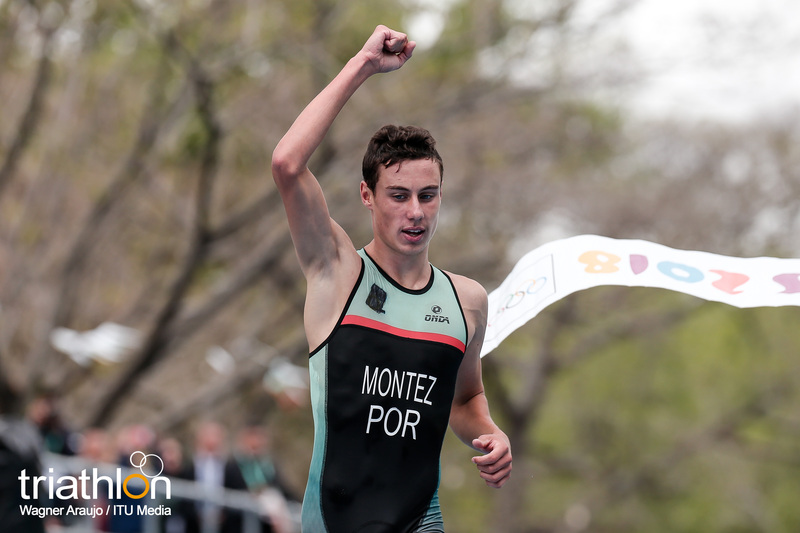 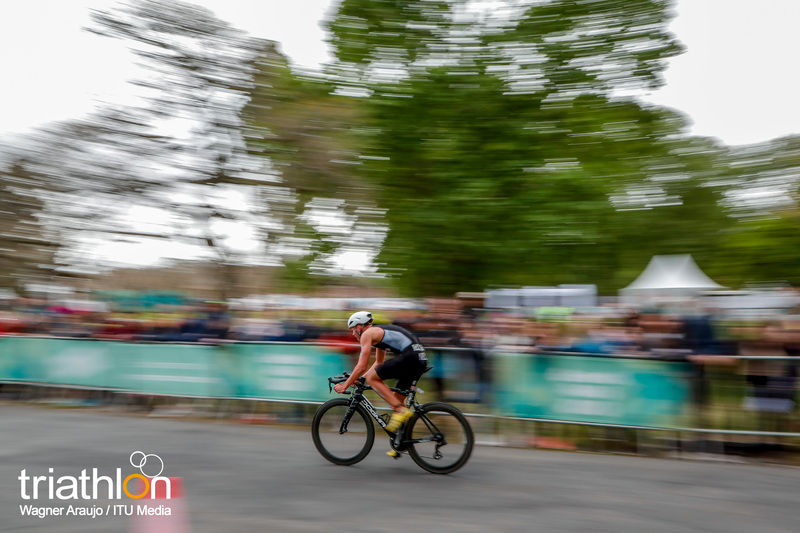 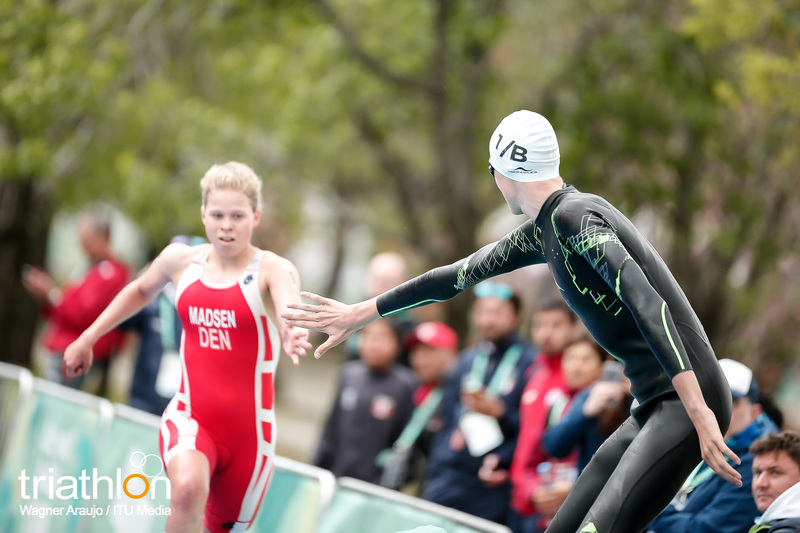 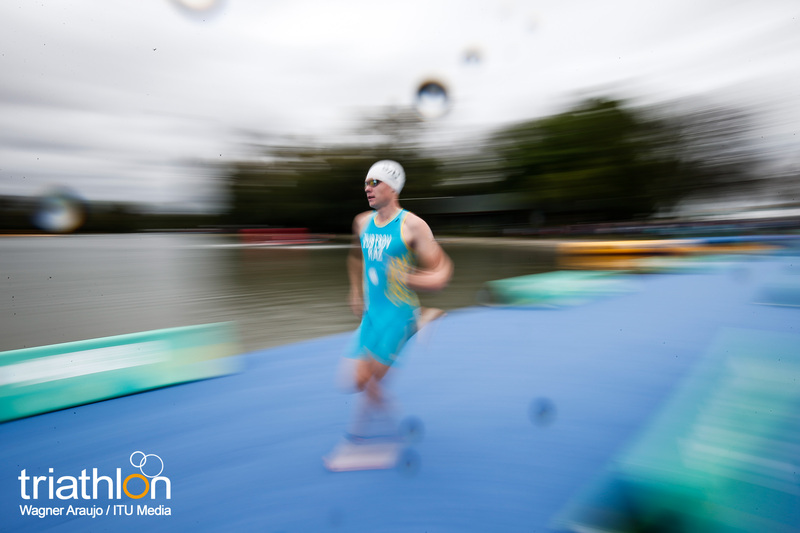 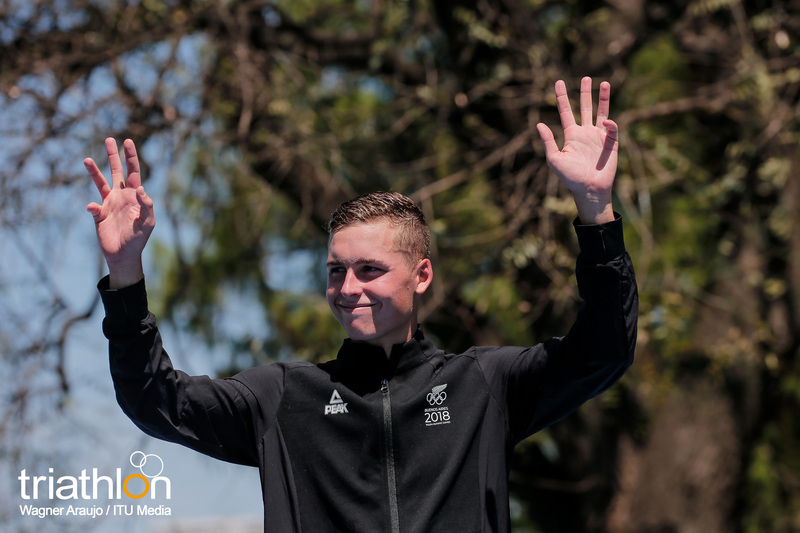 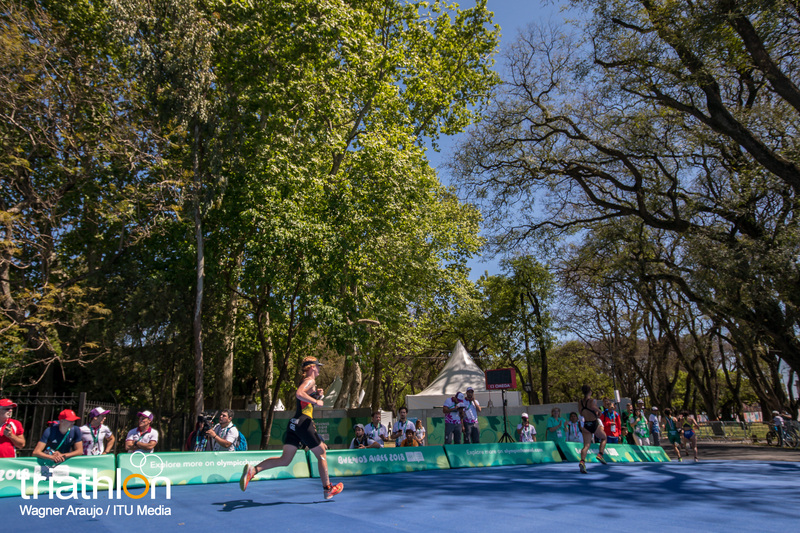 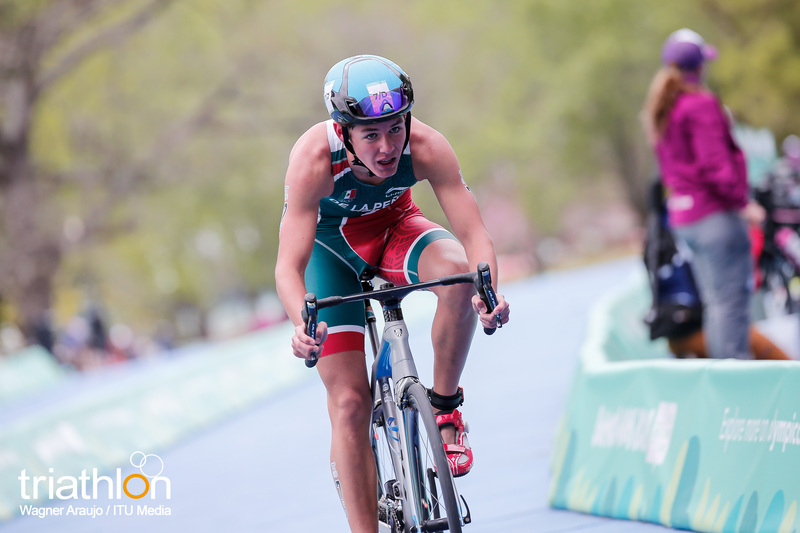 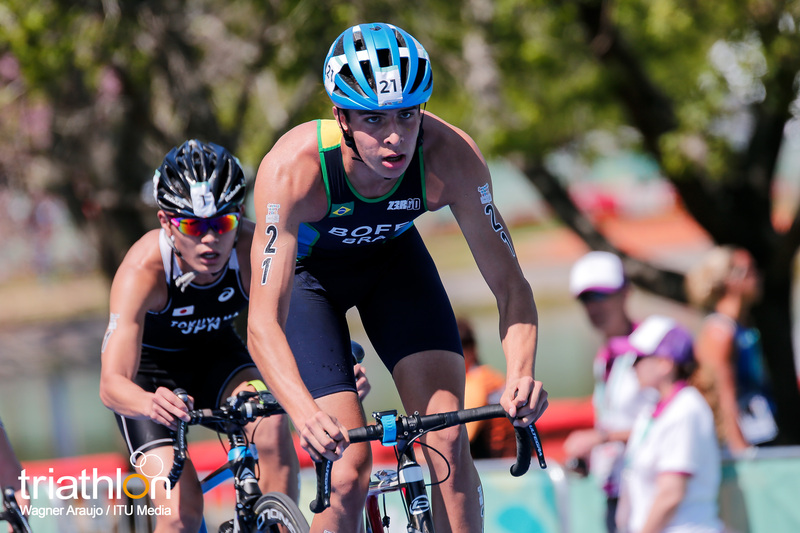 During the second leg, it was the turn of another Kiwi, Dylan McCullough, gold medallist in the individual event, who managed to get Team Oceania I in first place, with a super consistent swim, bike and run. 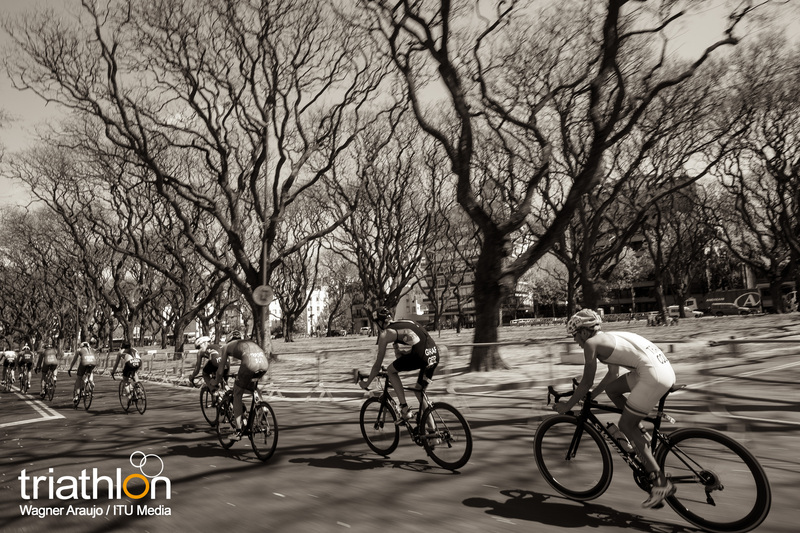 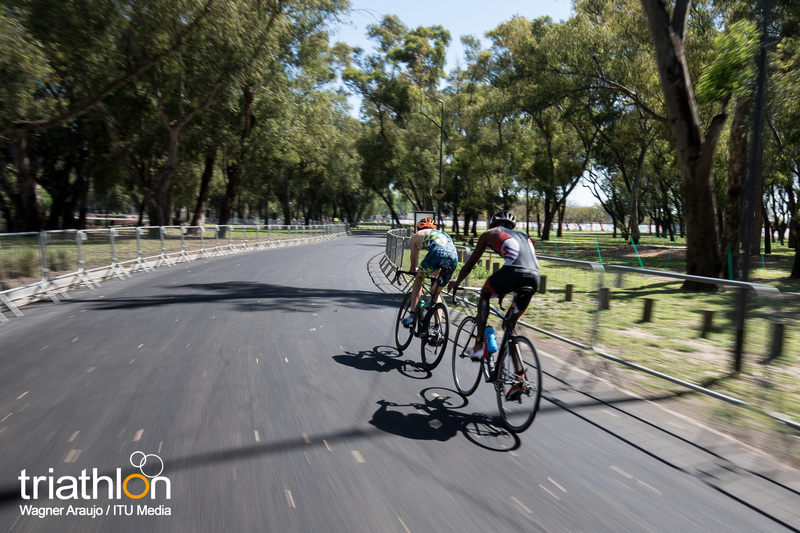 He was able to catch Team Europe I while Africa I, with Christiaan Stroebel (RSA) was trying to keep up. 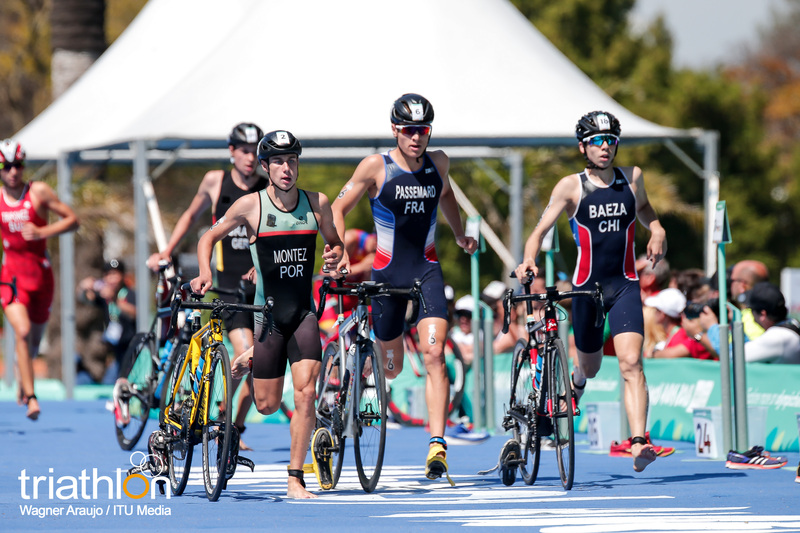 Behind those two teams, that had almost a minute over the rest of the field, the battle started to unfold between three European teams and two American teams, until Cristobal Baeza Muñoz (CHI) had a bike crash that took his team out the race. 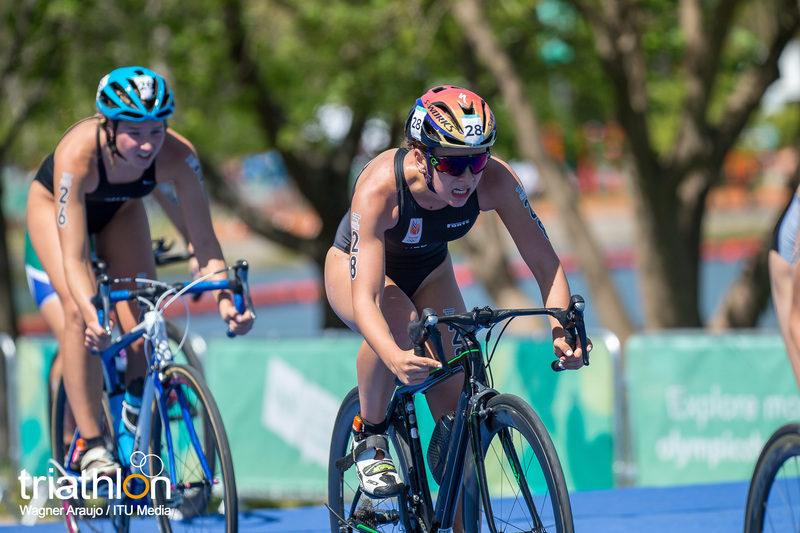 With Oceania and Europe I still leading with a significant gap, Anja Weber (SUI) and Brea Roderick (NZL) trying to maintain the difference during the whole third segment. 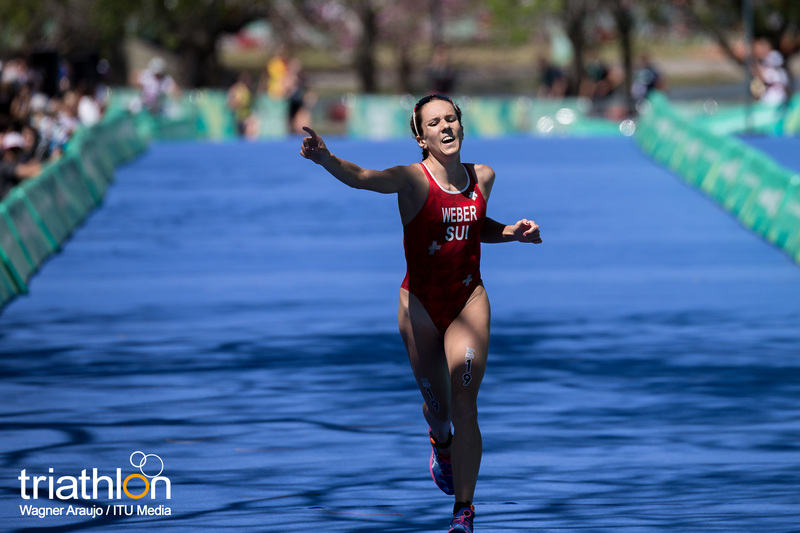 And behind them, a splendid run from France’s Emilie Moyer, Nikolett Ferenczi (HUN) and Libby Coleman (GBR) put the three teams in a position to fight for the bronze medal, a fight that the three European teams kept until the end. 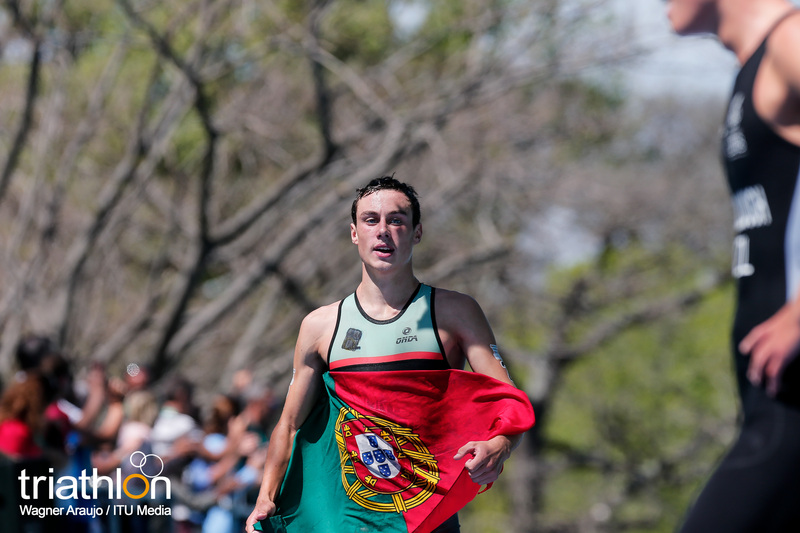 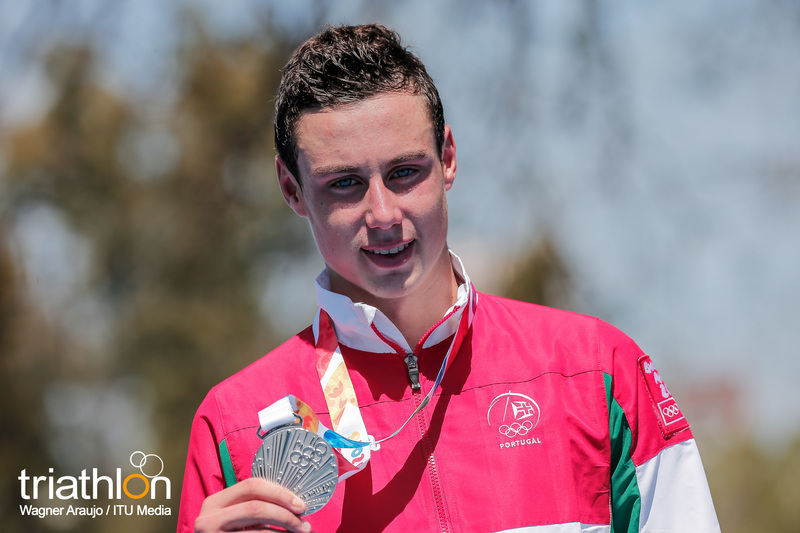 Europe I played well their cards and placed the silver medallist, Portugal’s Alexandre Montez, in the last leg, knowing that he will be stronger than the Aussie, and Montez pushed hard to open a break in the last meters to claim the gold medal, exactly the same place where the first European team finished back in 2014 at the Nanjing Youth Olympics. 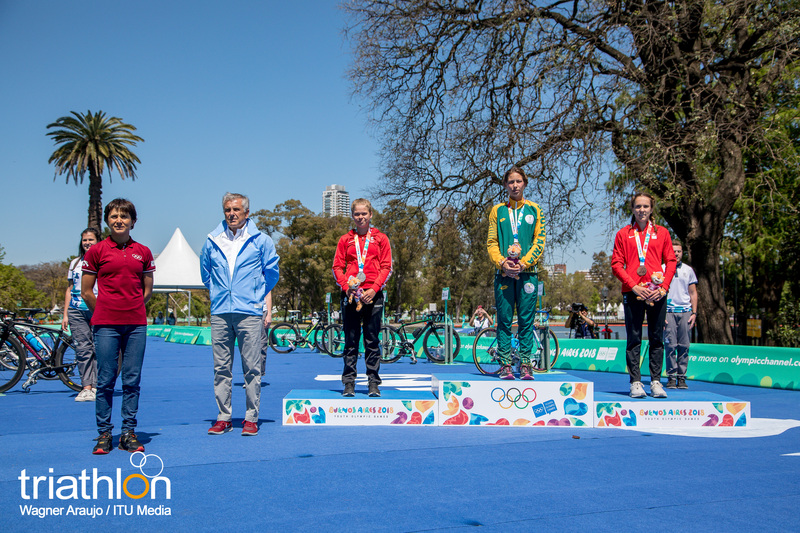 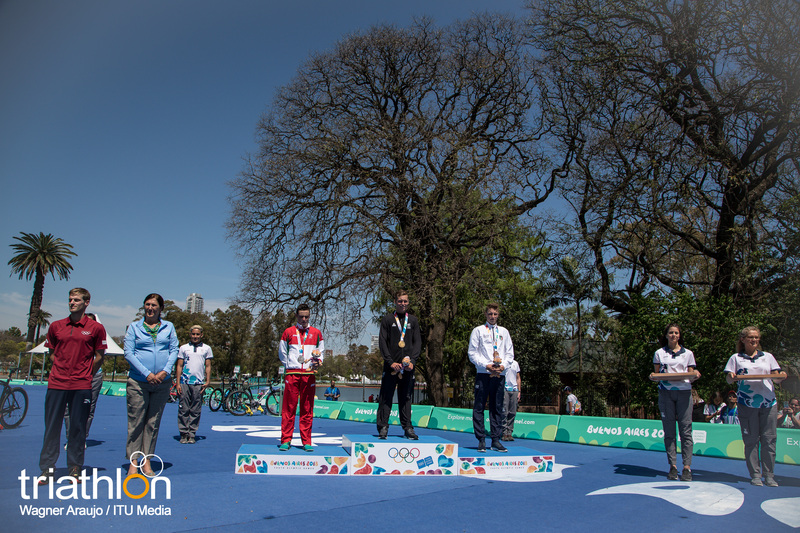 Behind them, Aussie Joshua Ferris gave Team Oceania the silver medal. 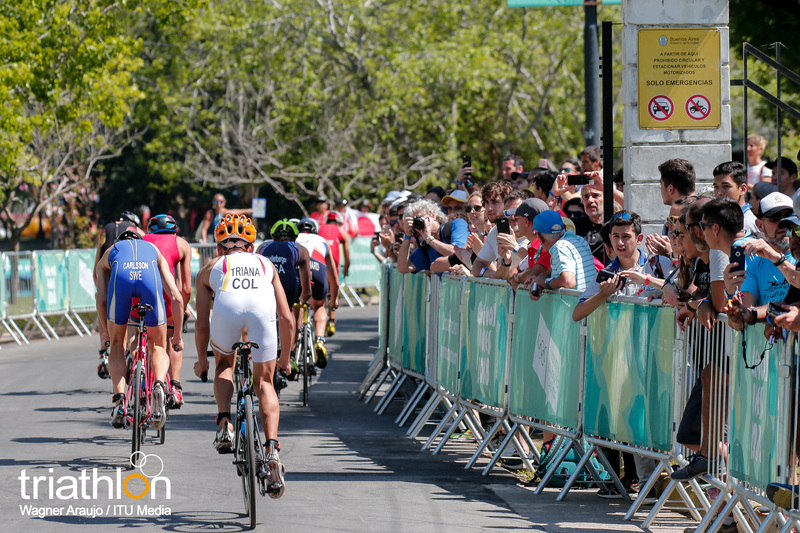 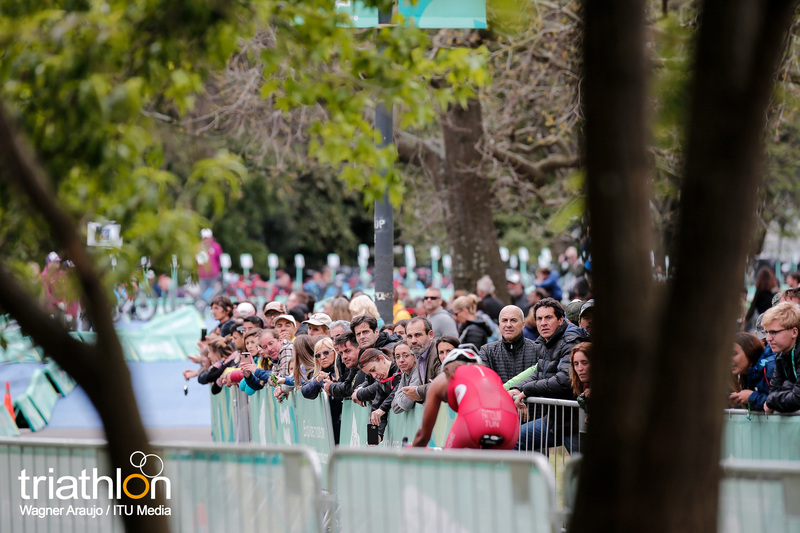 In the fight for the third place, it was Spaniard Igor Bellido who finally pushed hard enough to leave British Calum Young and cross the finish line, all smiles, in the third place. 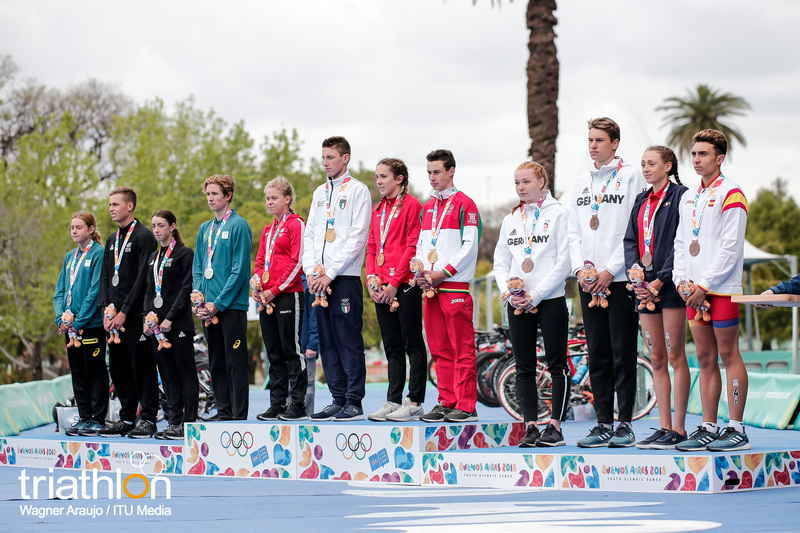 The other two European teams, IV and V, finished in fourth and fifth place respectively, while America II and America III performed in their level to finish in the 6th and 7th place, followed by Africa in 8th.